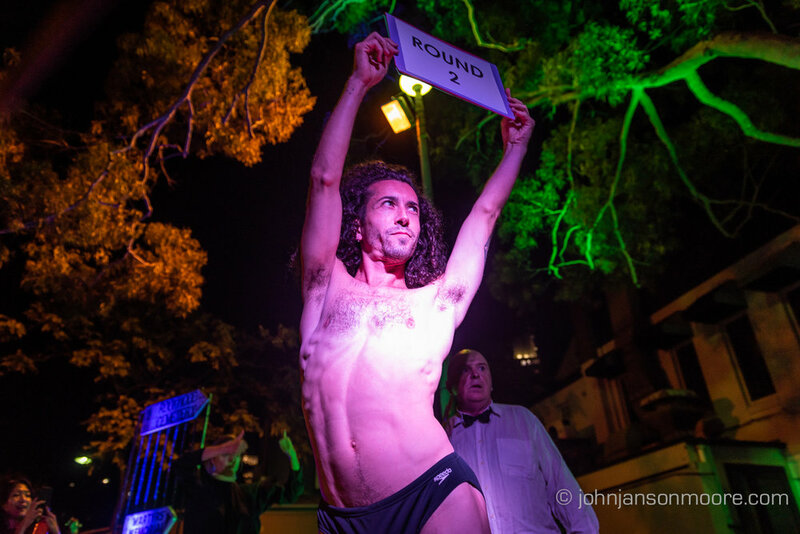 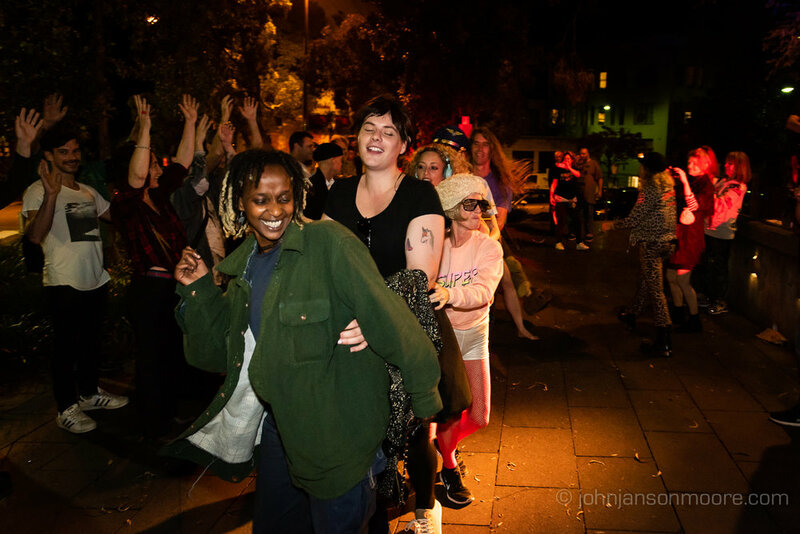 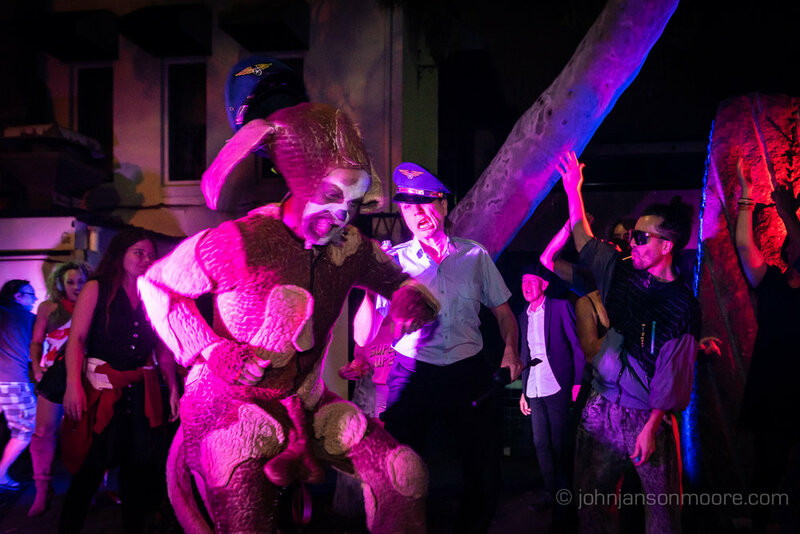 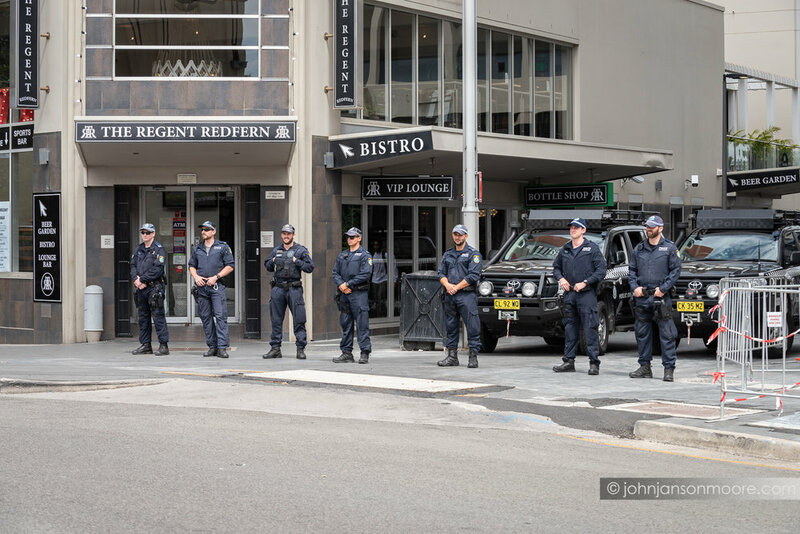 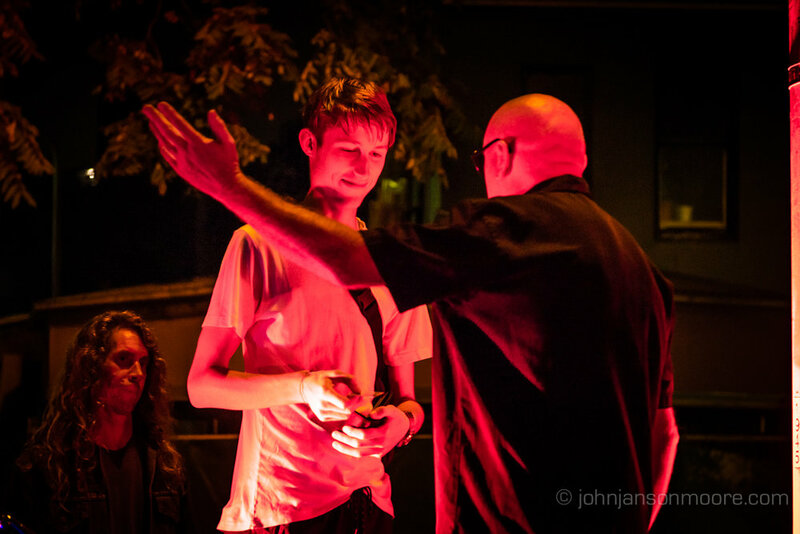 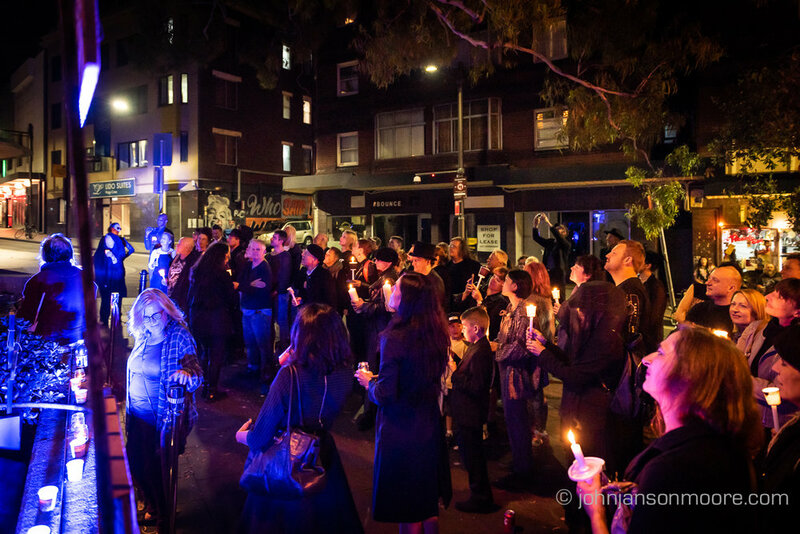 Photos from the 4th in a series of silent street theatre performances produced by Vashti Hughes, critiquing Sydney’s draconian lockout laws and policing regimes which have impacted on cultural expression, night life and quality of life. 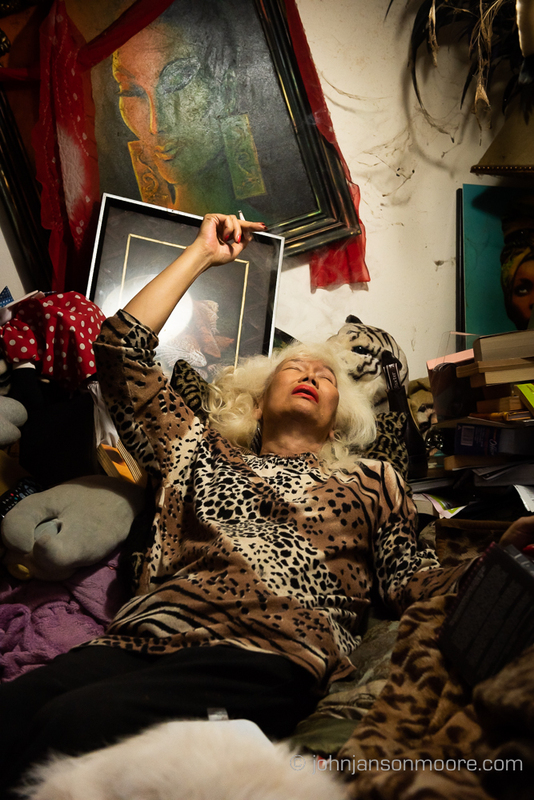 Legendary drag performer, long-time Les Girls member and Kings Cross identity, Ayesha. 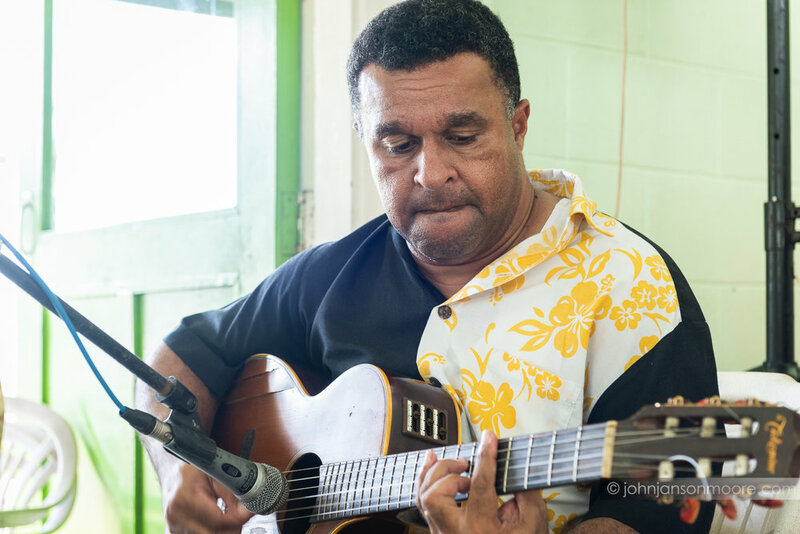 Images taken in the studio and at home. 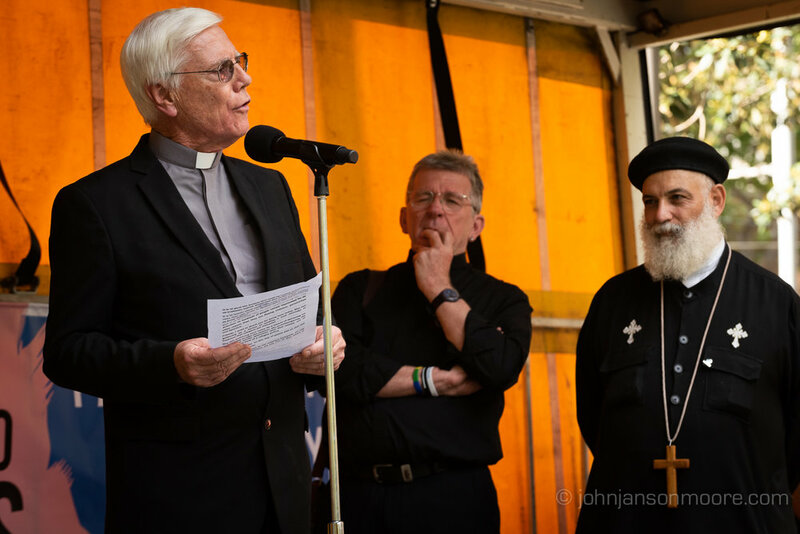 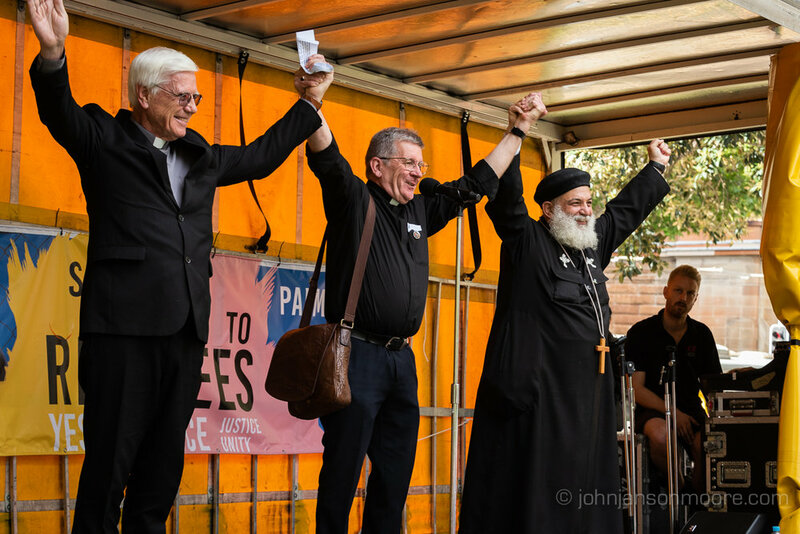 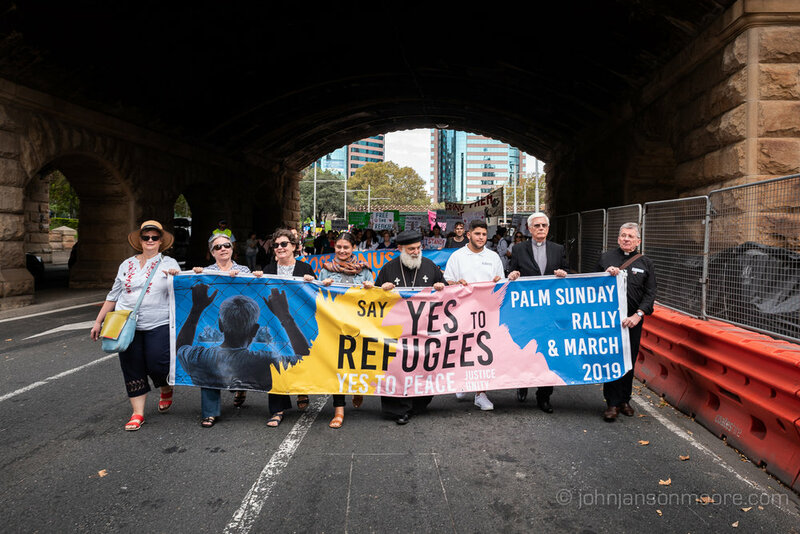 Images from the annual Palm Sunday Rally. 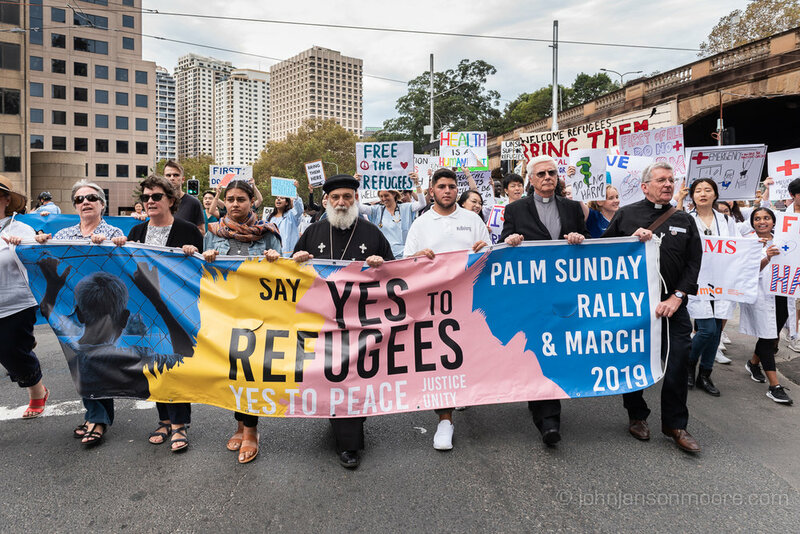 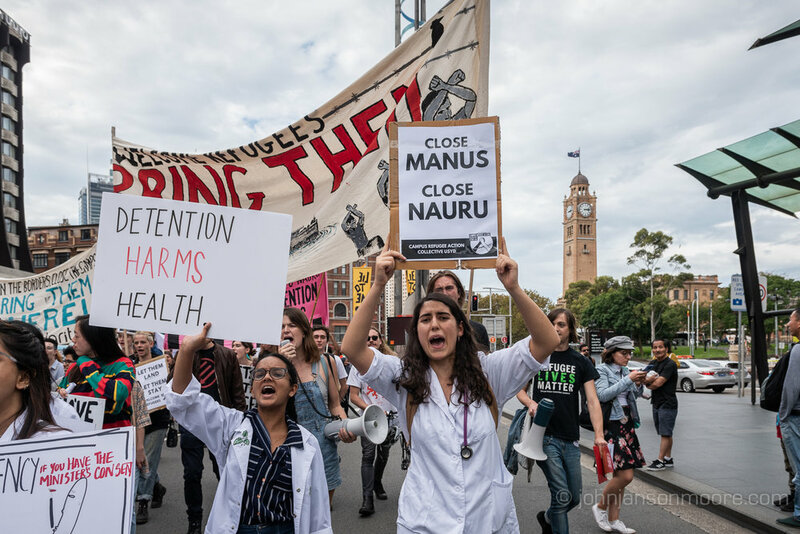 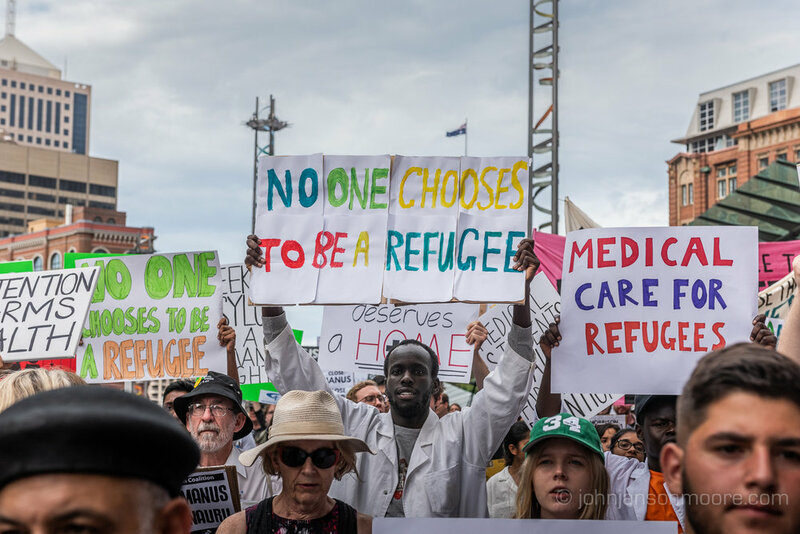 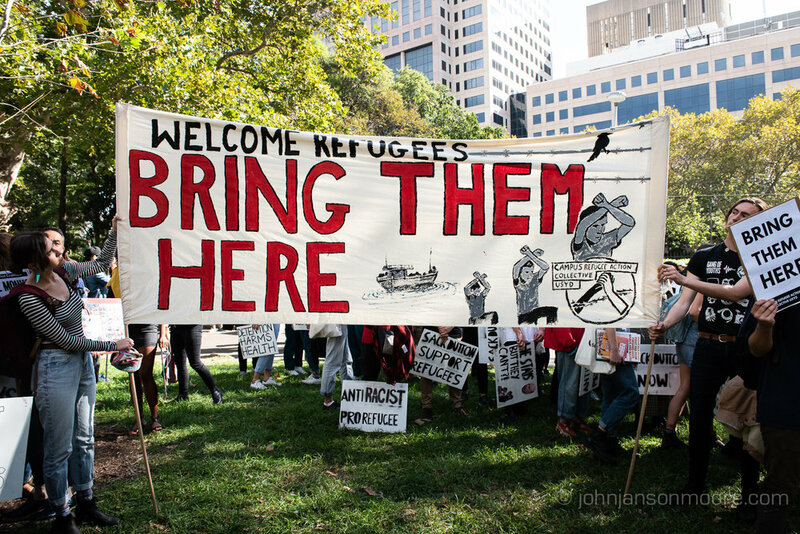 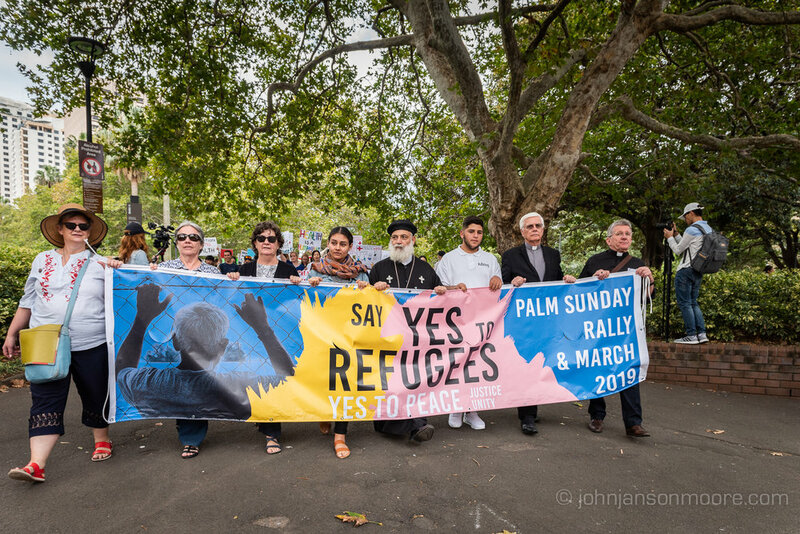 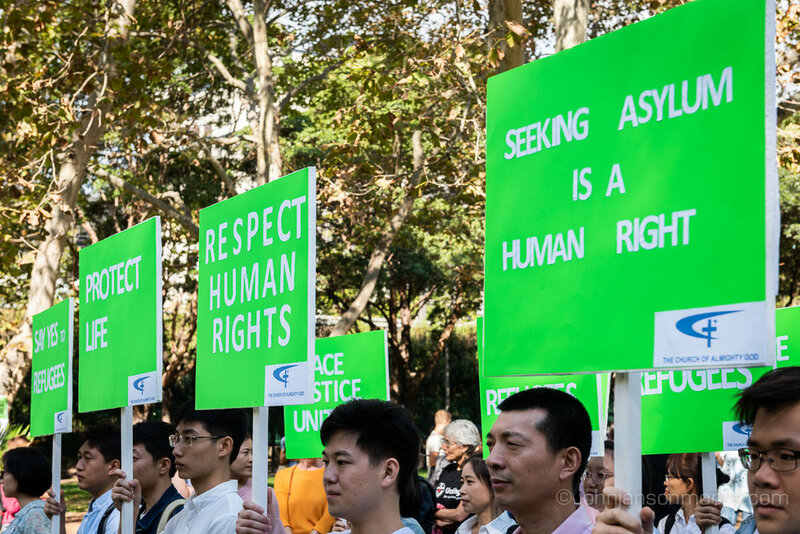 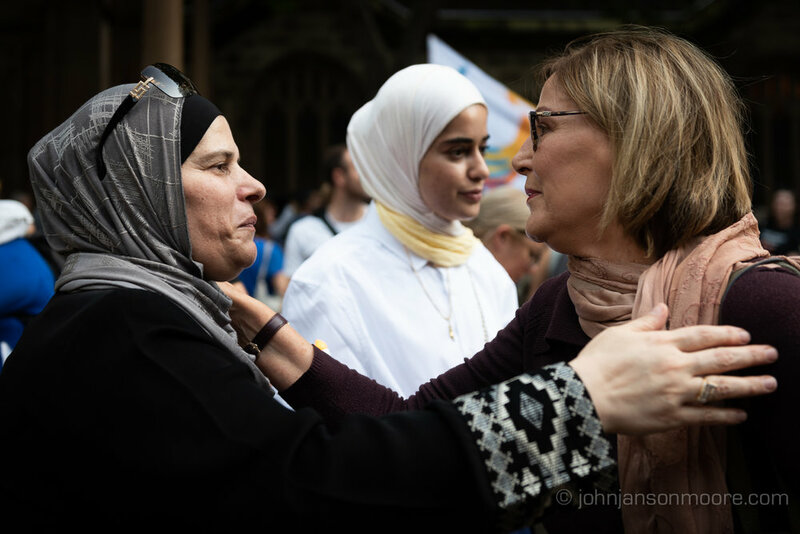 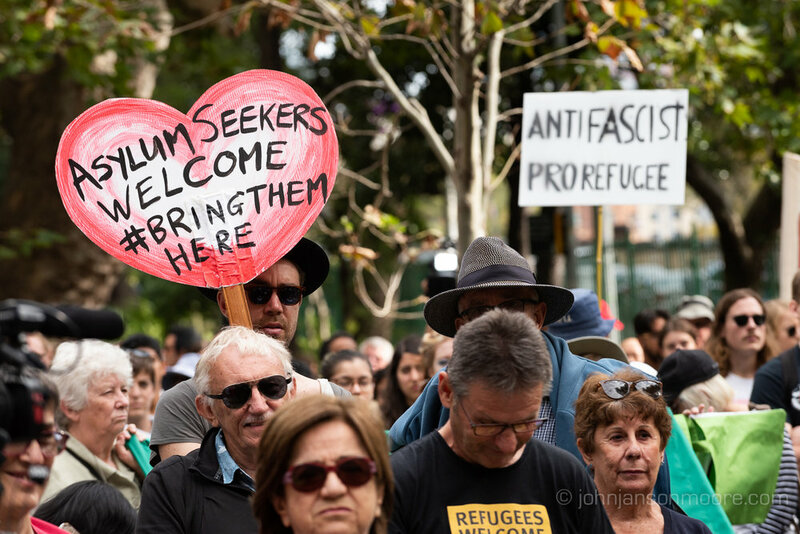 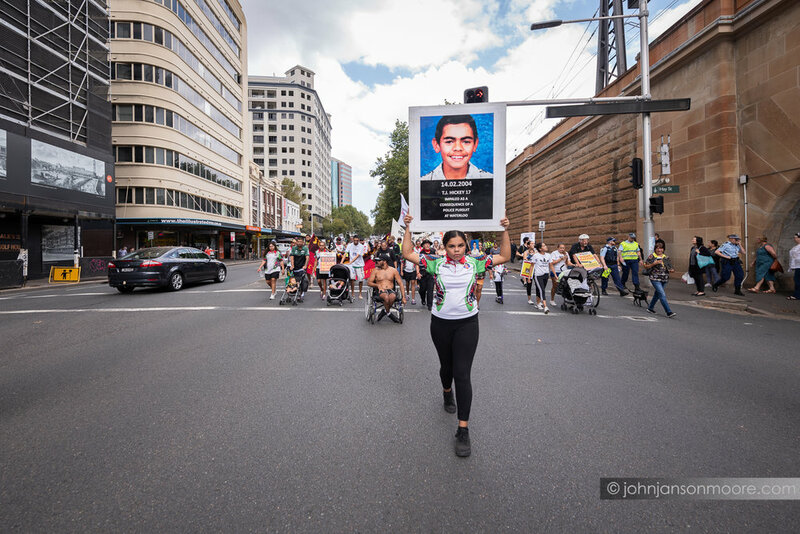 This year the plight of refugees was again the focus of the march, with condemnation of both Coalition and Labor party policies. 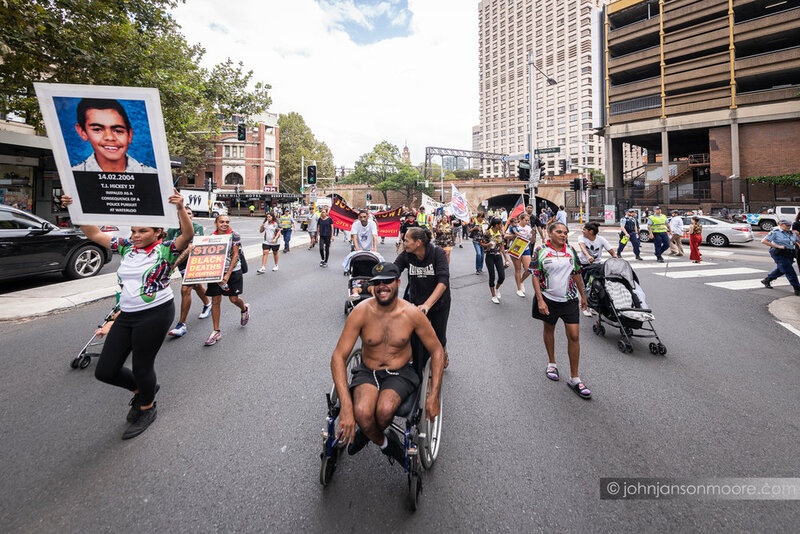 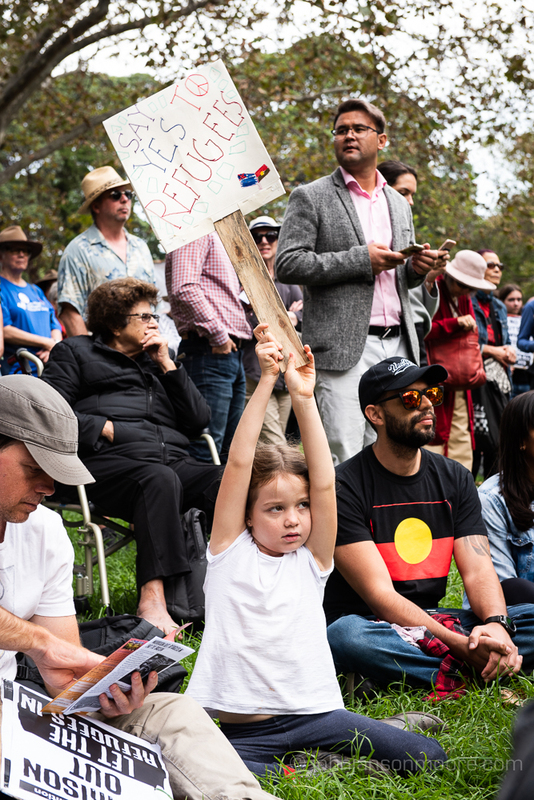 About 5,000 people gathered at Belmore Park in Sydney’s CBD for the protest. 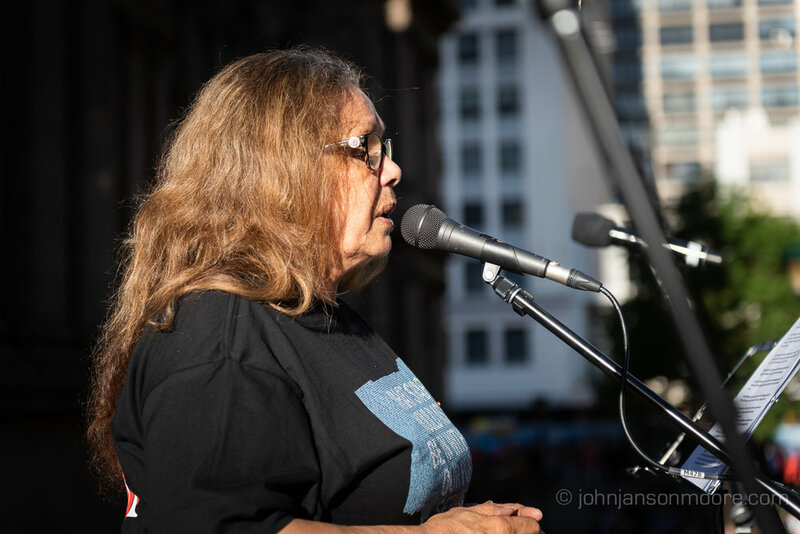 After an Acknowledgement of Country by Wiradjuri woman, Bronwyn Penrith, and songs from the Solidarity Choir, speakers followed, including ex-Socceroo captain, Craig Foster, unionist Judith Wright, ministers of religions, Father Claude Mostowik, Father Shenouda Mansour and Reverend John Barr, anti-nuclear campaigner, Dr Vince Scappatura, journalist, Dr Anna Broinowski and human rights advocate, Hazara and former refugee, Shukufa Tahari. 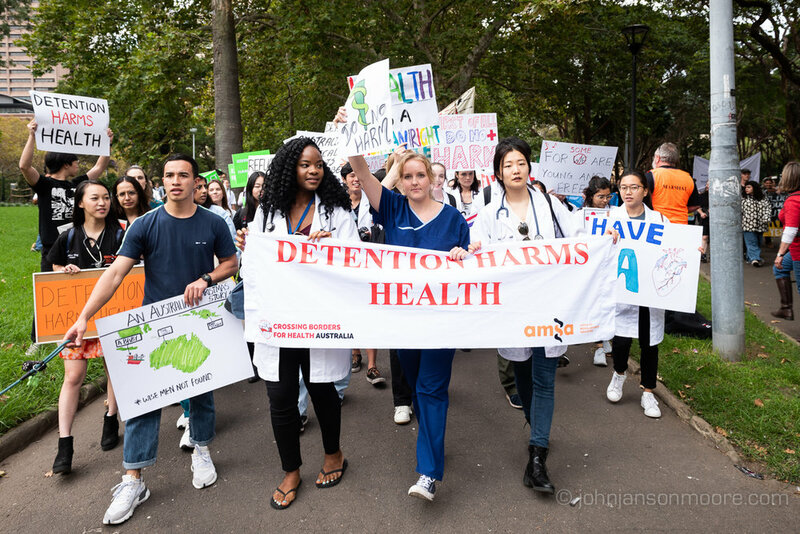 The crowd, including a large contingent of medical students, then marched down Broadway to Victoria Park, where further speeches were given. 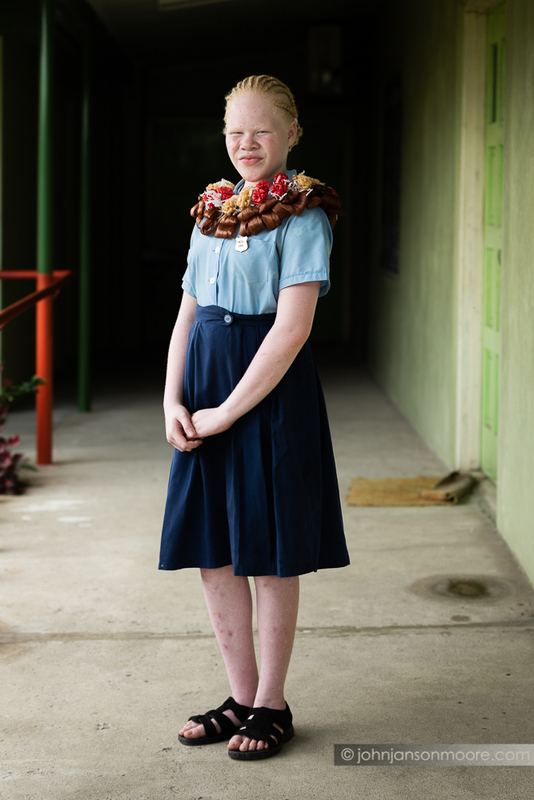 Regular beach comber, Kandi, with a collection of sea shells, Cronulla, Sydney. 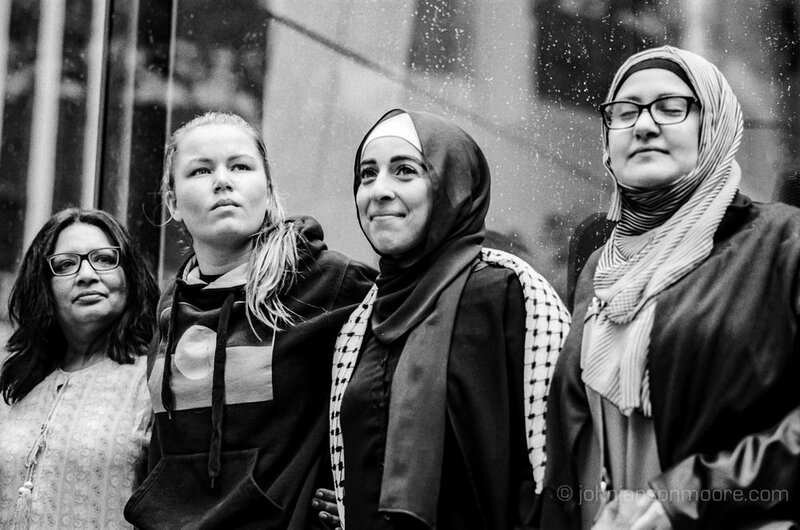 Shot on film with a Hasselblad 503CXi, Ilford FP4, Black and White, 120mm film, Carl Zeiss Planar T* 80mm lens. 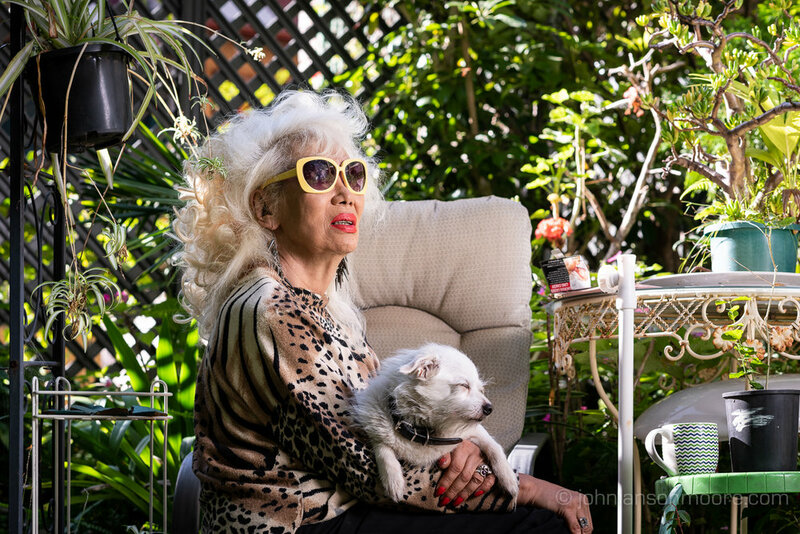 I accidentally double exposed this shot on my Hasselblad while shooting some off the cuff portraits of Gomeroi photojournalist and 2019 Sydney Biennale artist, Barbara McGrady. 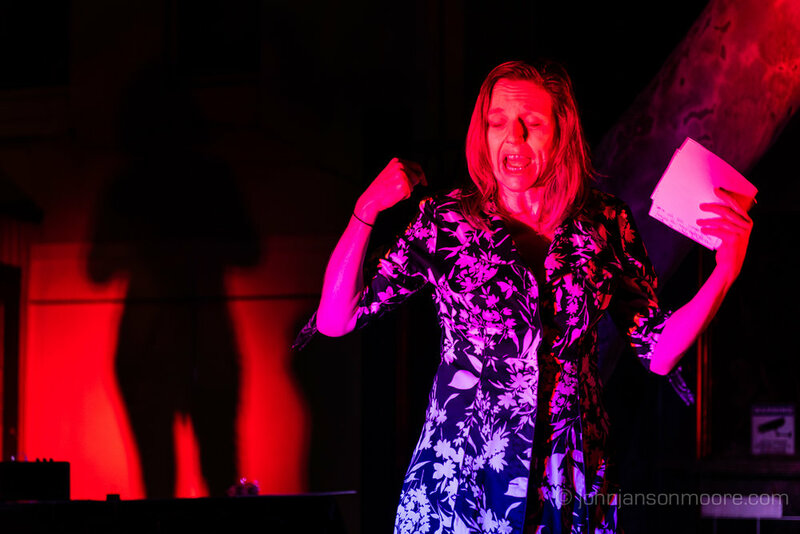 I quite like it because of its serendipity but also because it reflects the multi-faceted, complex person that Barbara is, operating as she does between many worlds. 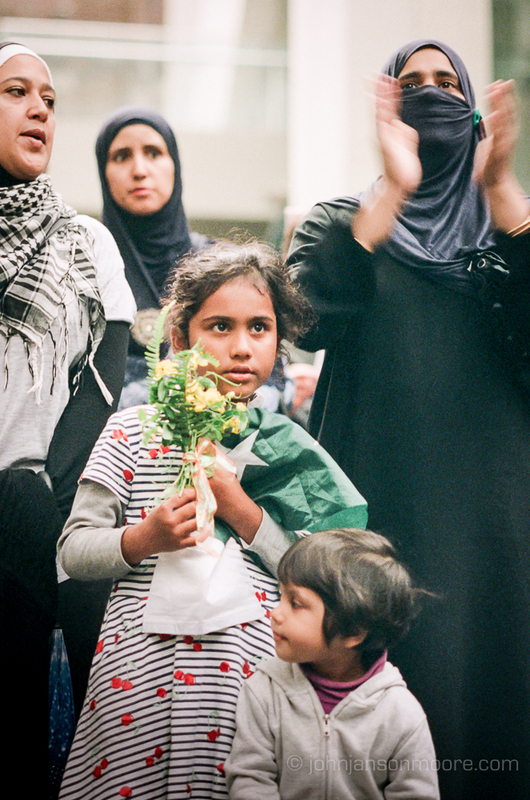 Shot on a Hasselblad 503 CXi, Kodak Porta 160 colour film, quick and nasty digital scan. 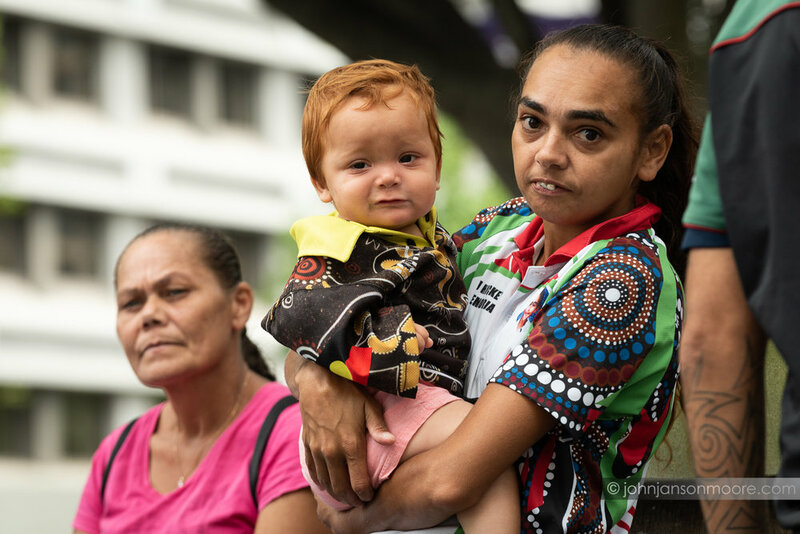 A few quick portraits of Gomeroi photojournalist, Barbara McGrady and grand-daughter, Alkira, hanging out in Glebe, Sydney. 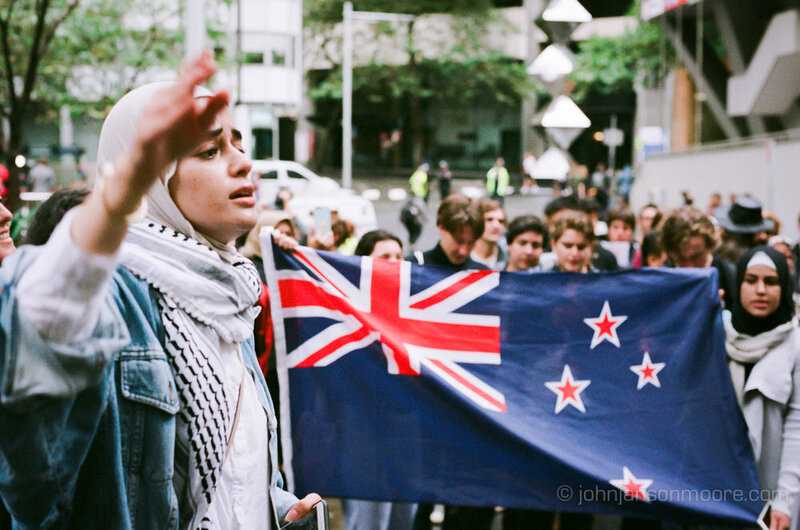 Shot on film with a Hasselblad 503CXi, Ilford FP4, Black and White, 120mm film, Carl Zeiss Planar CFi T* 80mm lens. 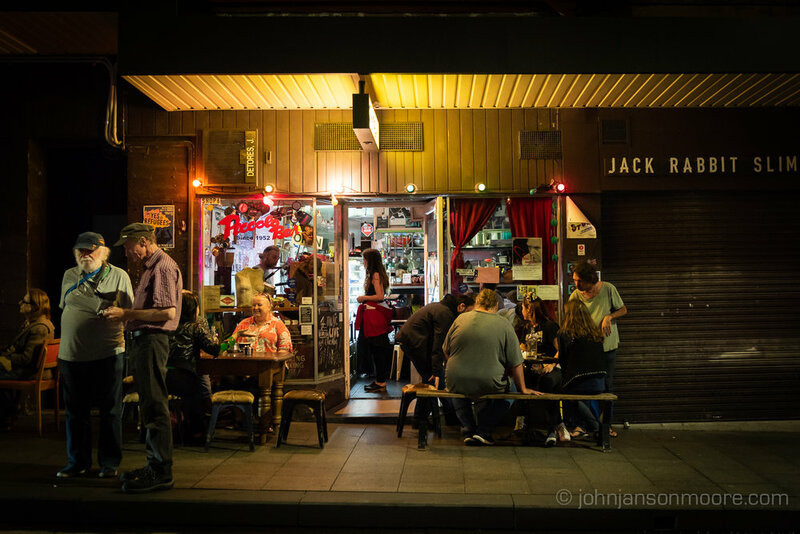 A portrait of long-time local identity Vittorio Bianchi, or simply ‘Vitto’ as most know him, who has been working for 50 years at the Piccolo Bar, Sydney’s longest running cafe in Kings Cross. 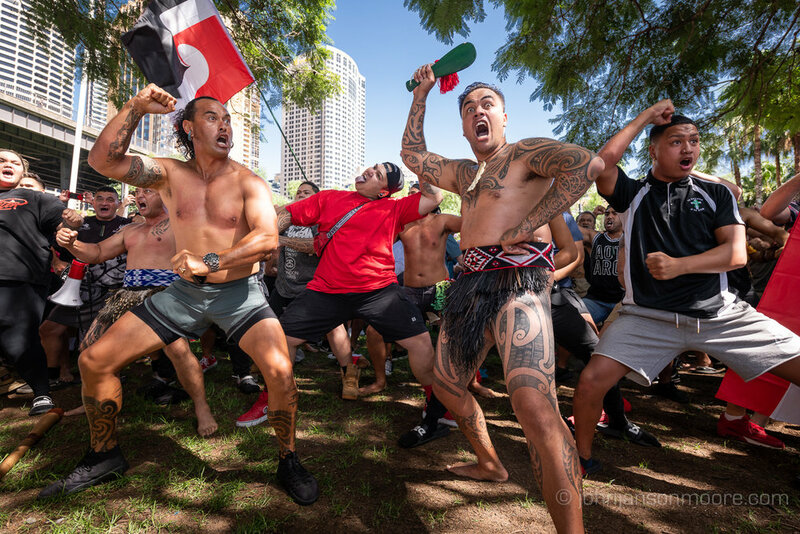 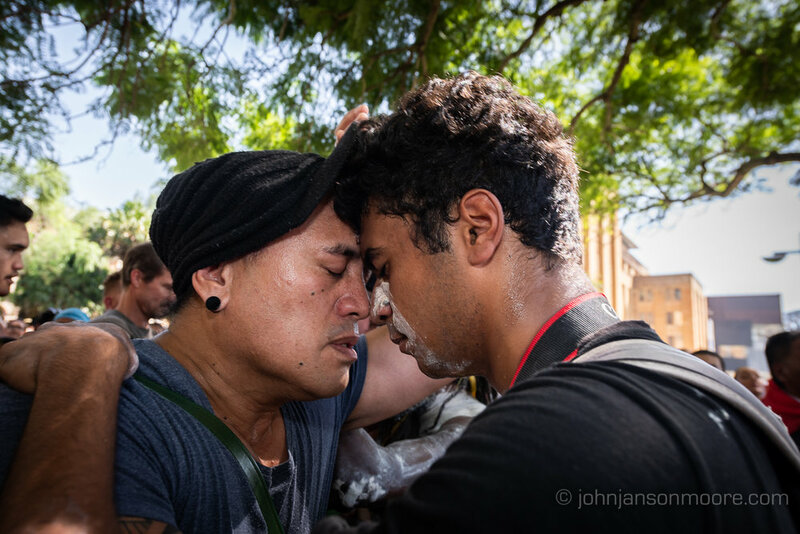 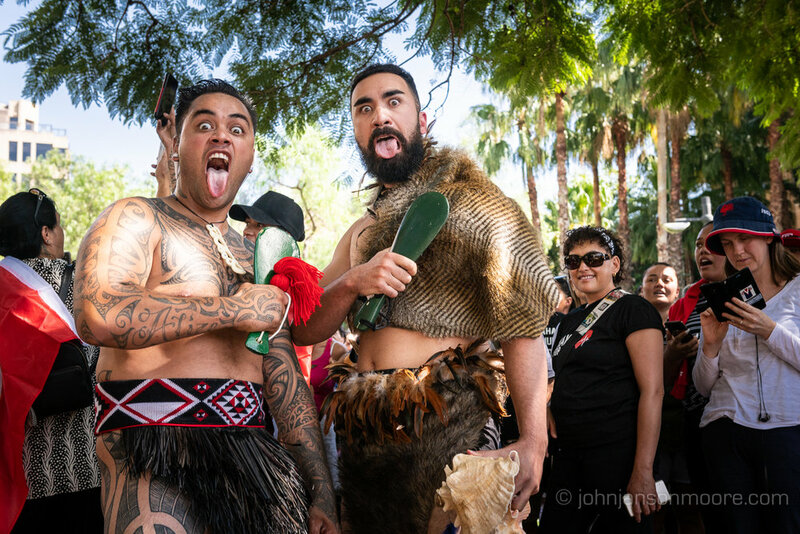 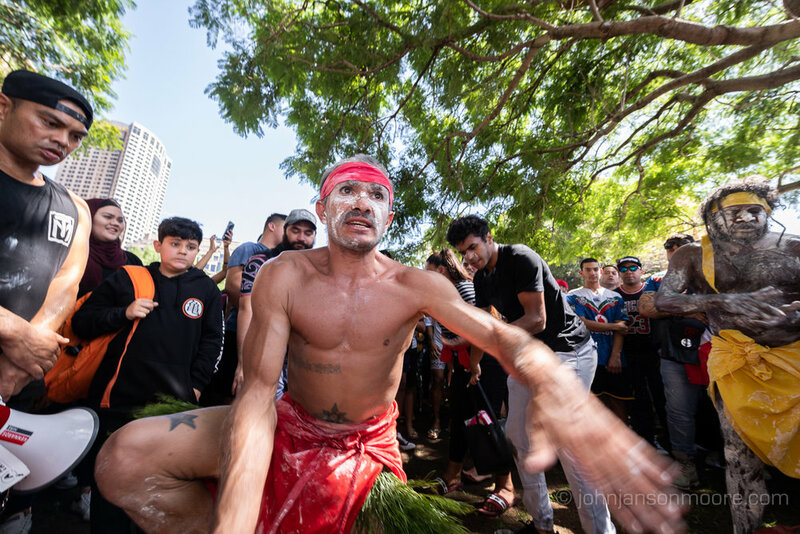 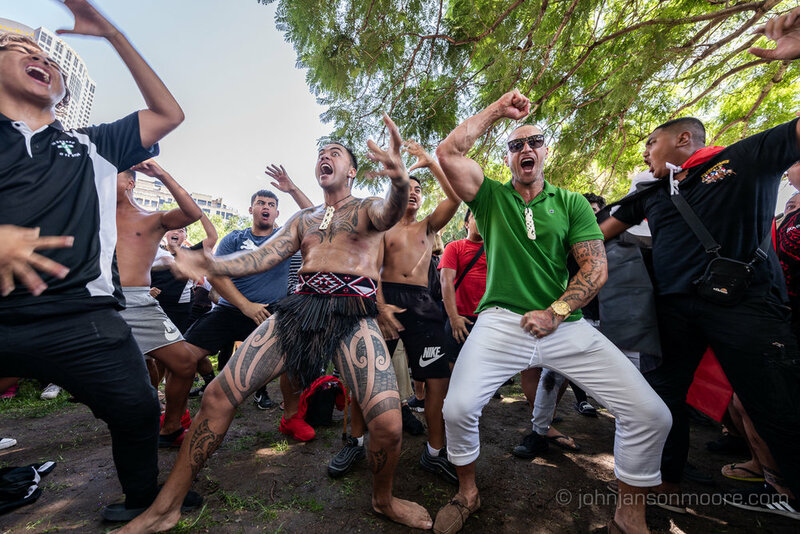 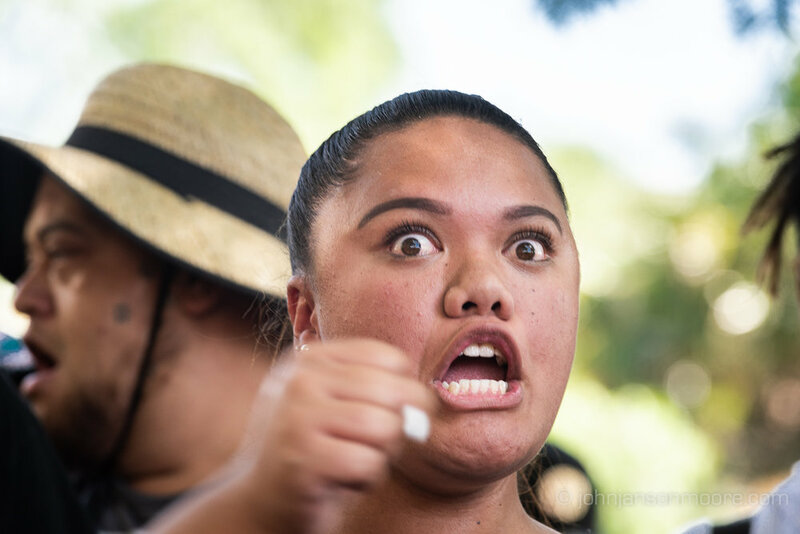 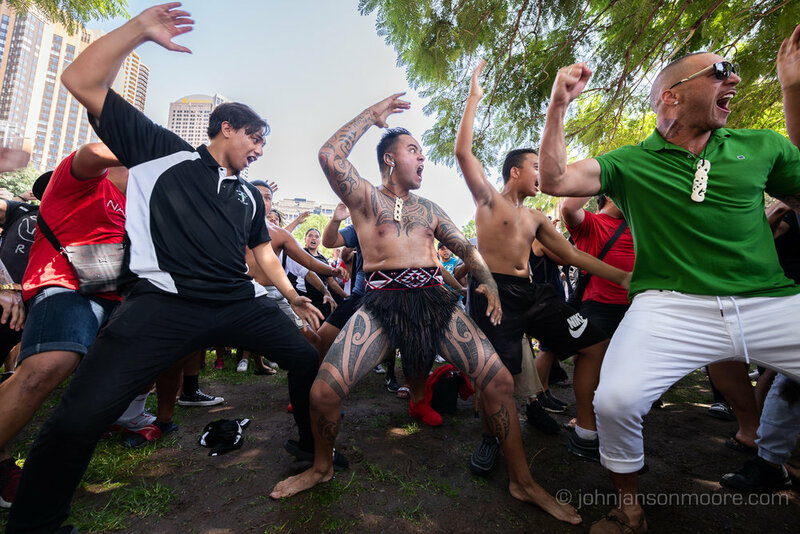 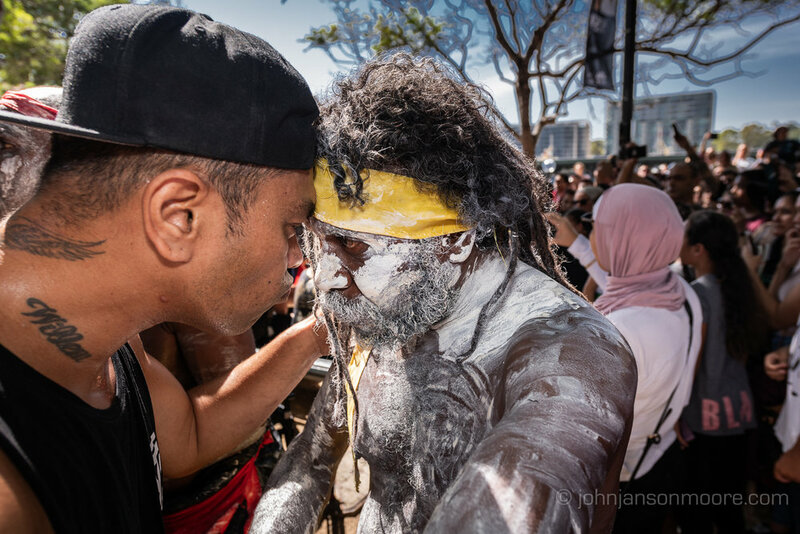 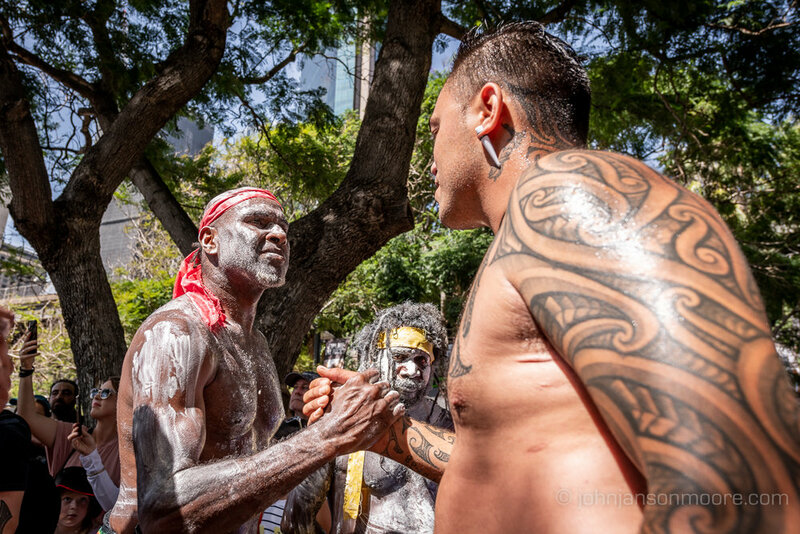 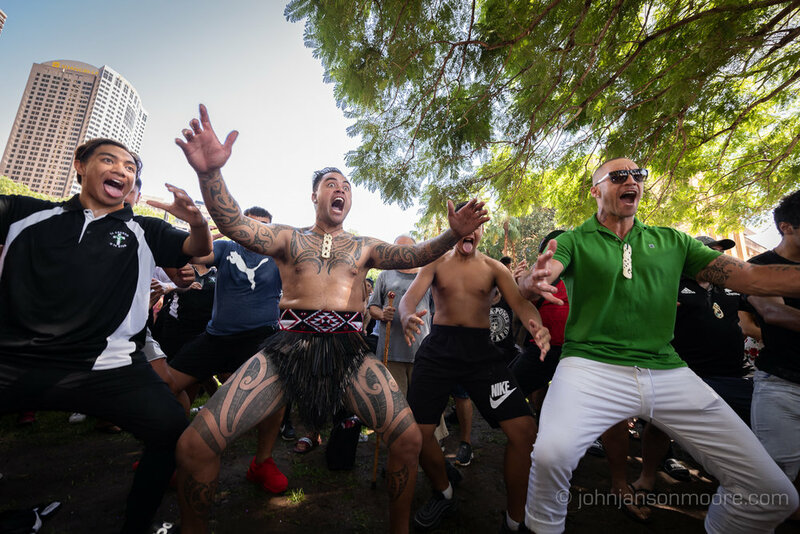 Maori and other Pacific Islander communities came together today at Circular Quay in Sydney to perform a haka in dedication to the victims of the Christchurch terrorist attack and to the Muslim communities both in New Zealand and here in Australia. 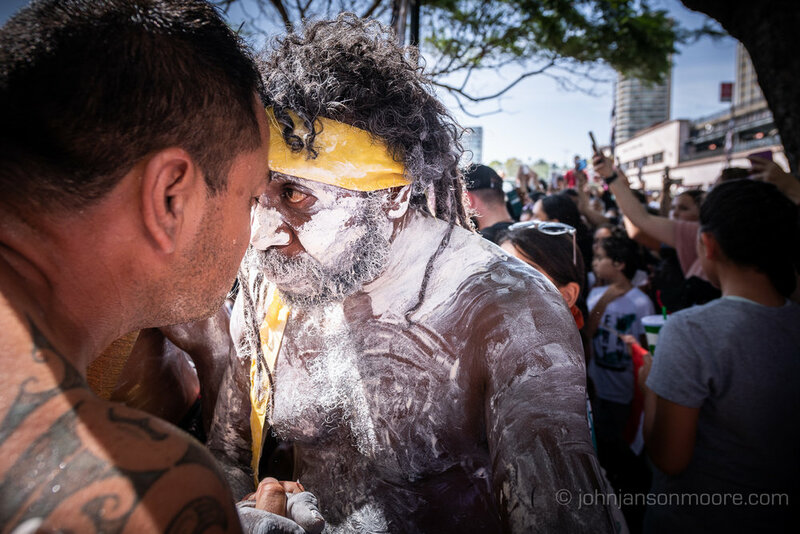 Today’s proceedings were opened with a smoking ceremony performed by an Aboriginal contingent. 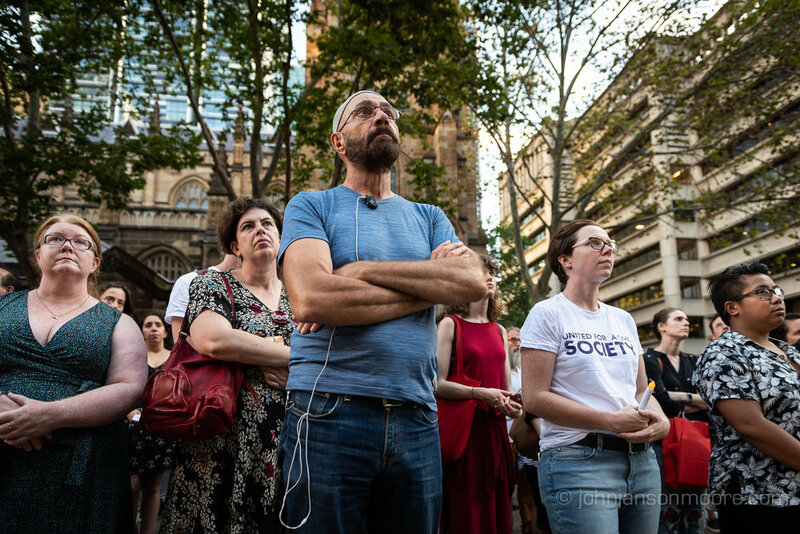 Speakers spoke out against “racism, terrorism and the uglies of the world”. 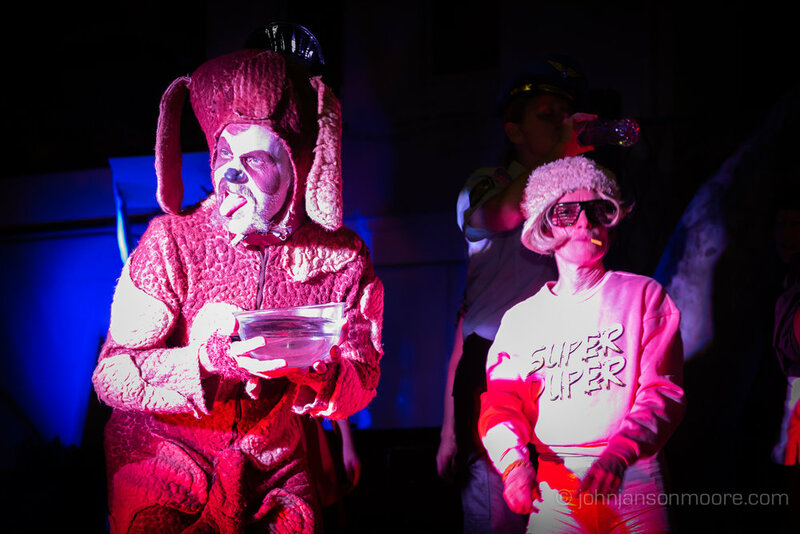 Images from the the third ‘Shhhhh!’ performance in Kings Cross - a silent performance for a silent audience. 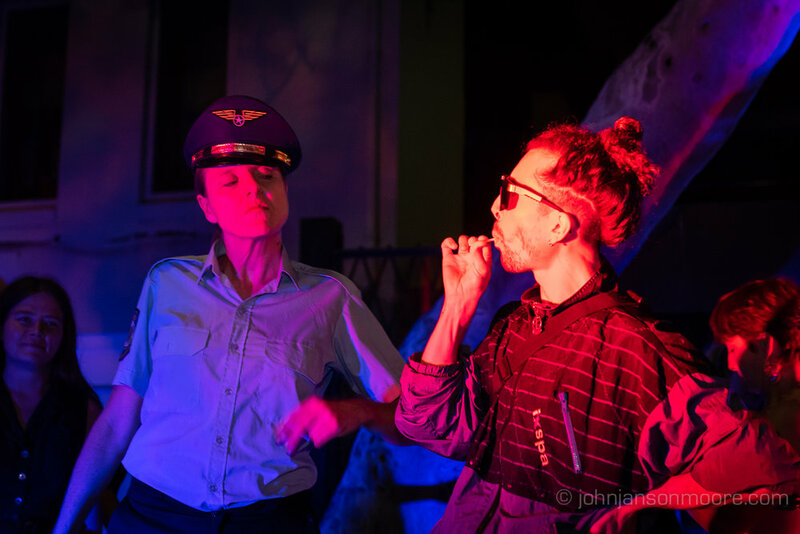 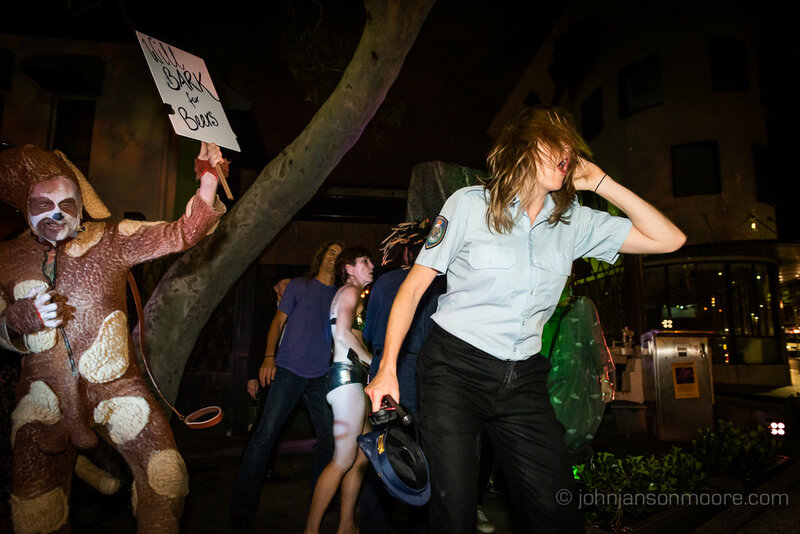 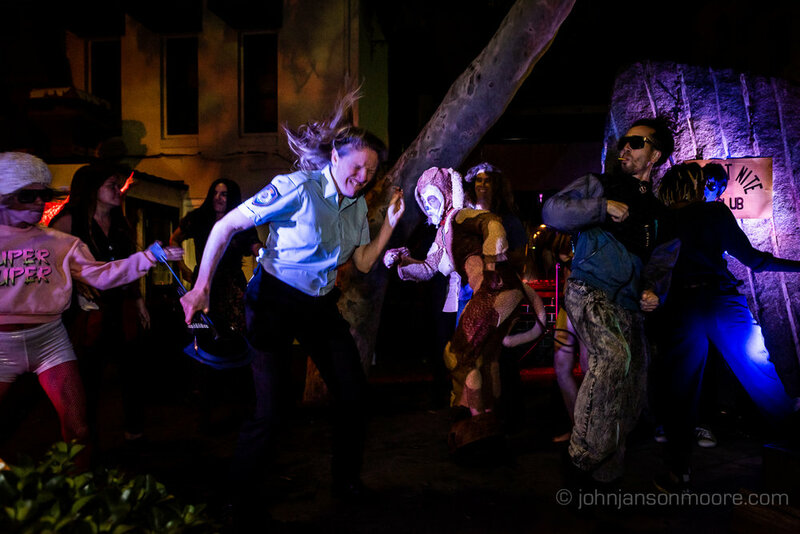 Social and political theatre examining Sydney’s lock out laws and extreme over-policing regime. 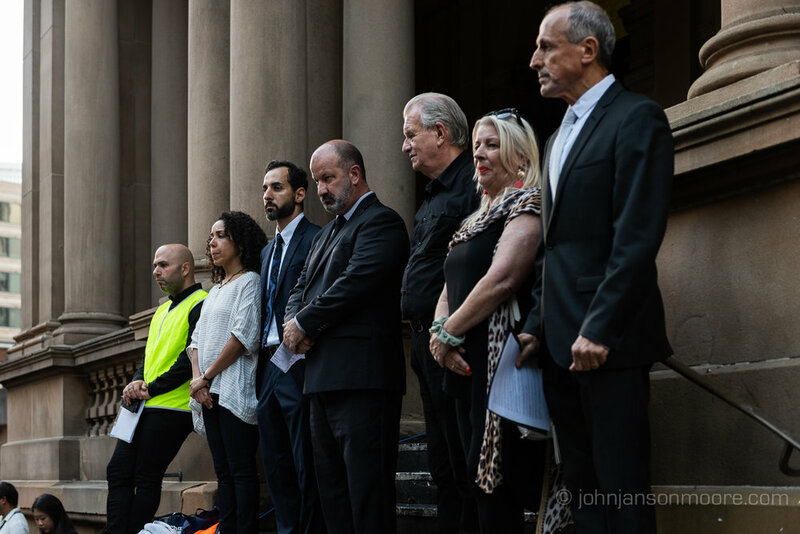 Produced by Vashti Hughes and featuring Piccolo Claire, Paul Walker, Di Busuttil, Marty Jay, Jude Bowler and Vittorio. 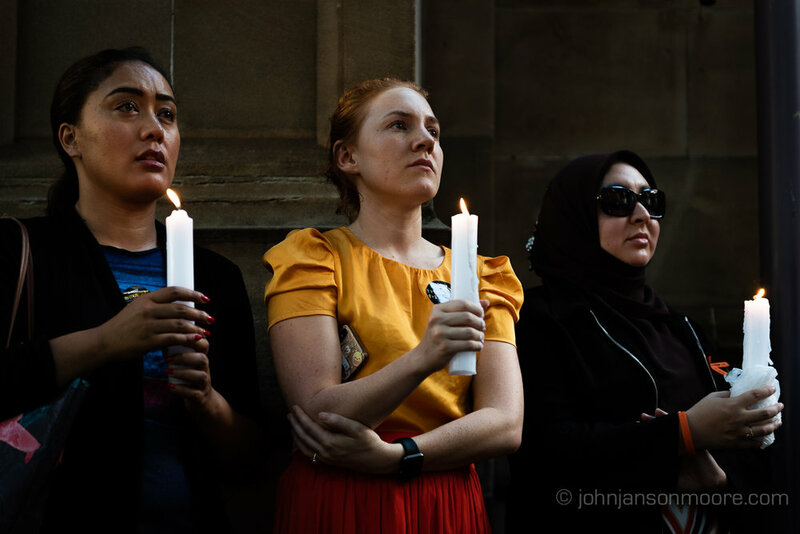 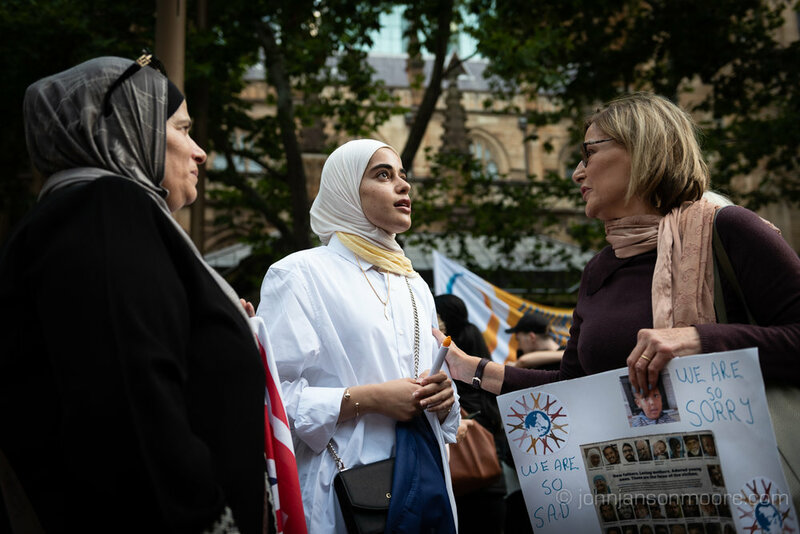 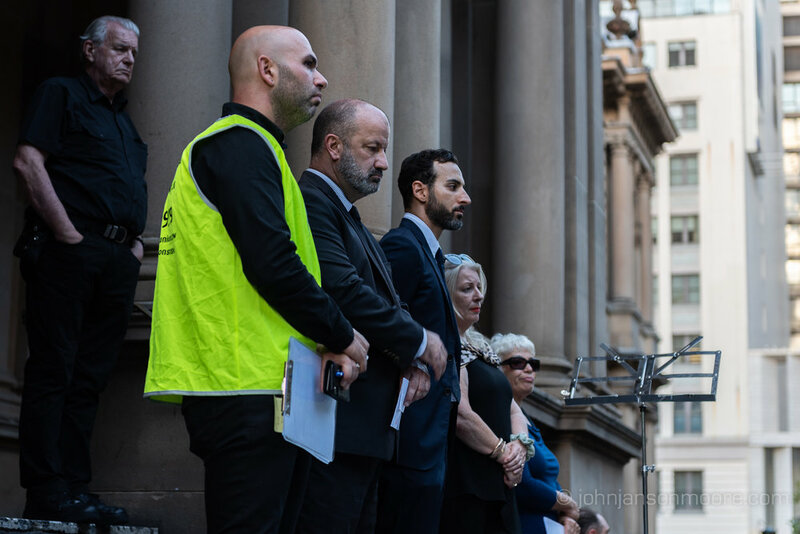 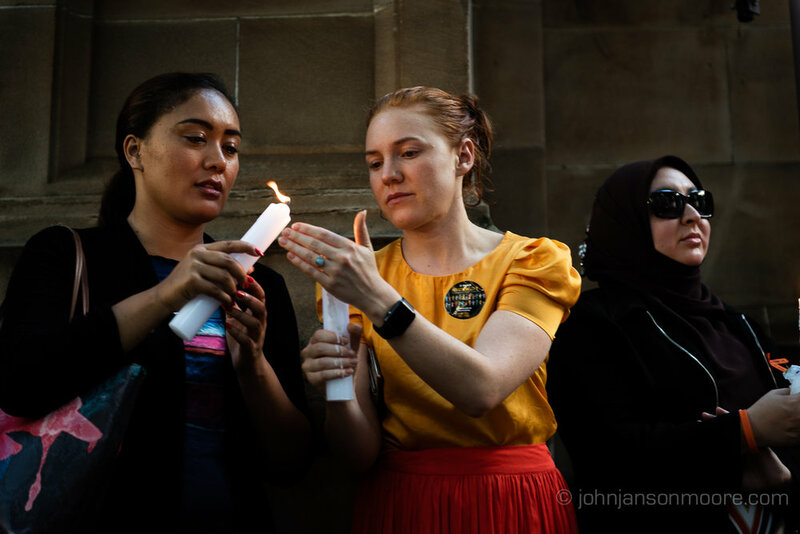 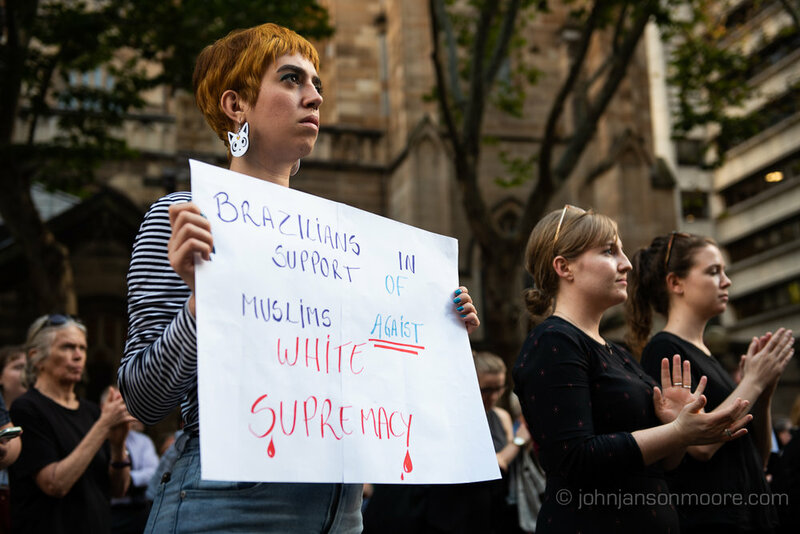 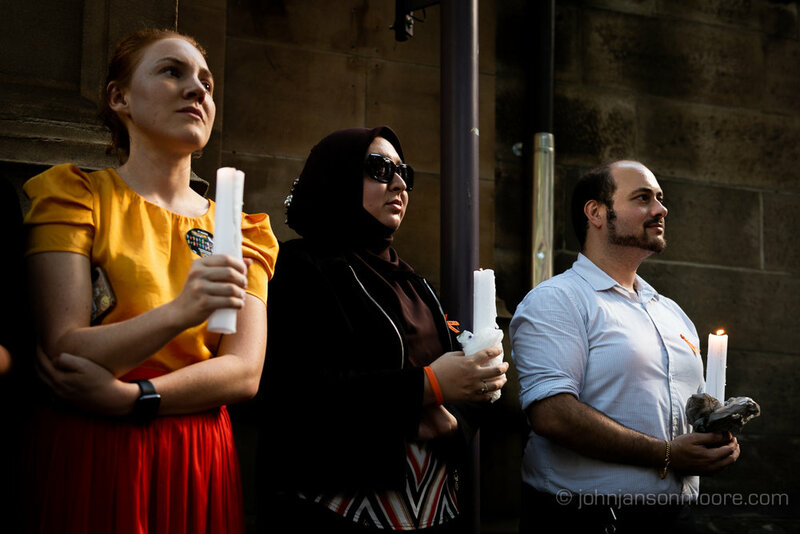 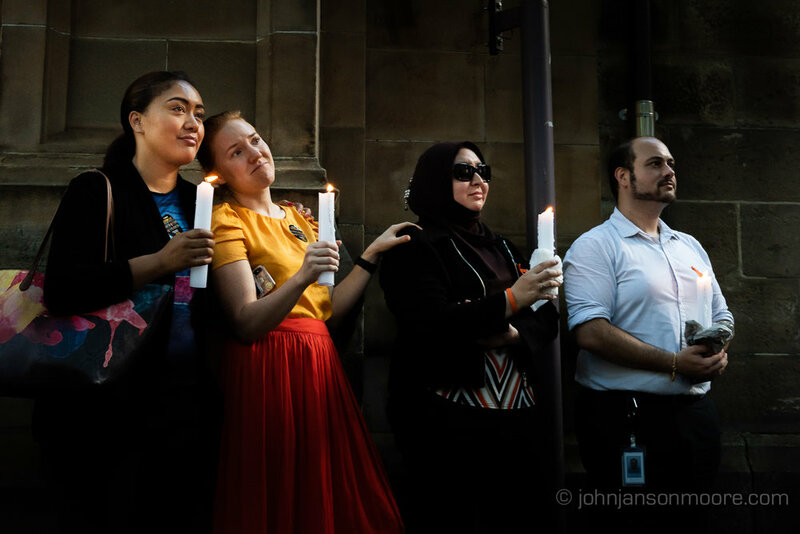 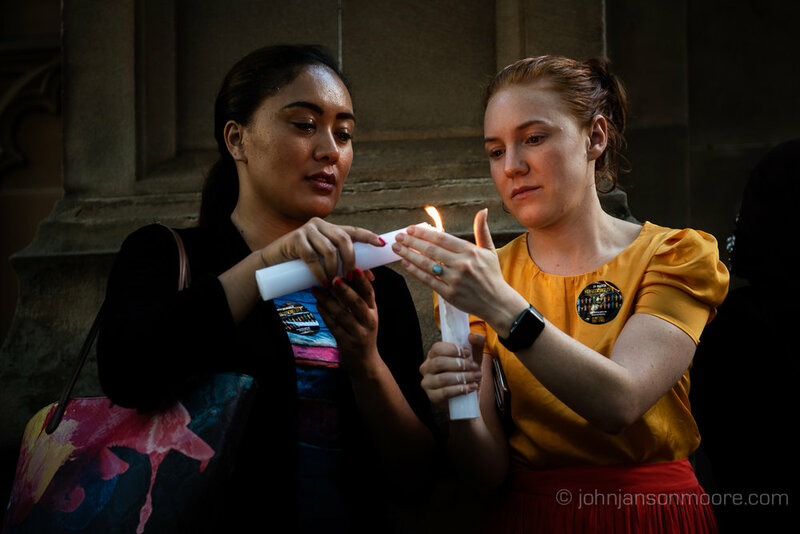 Last night, around 1500 people turned up to Sydney Town Hall Square to hold a candlelight vigil for the victims of the Christchurch terrorist attack in New Zealand, which took place one week ago today and in which 50 people were killed, and just as many wounded. 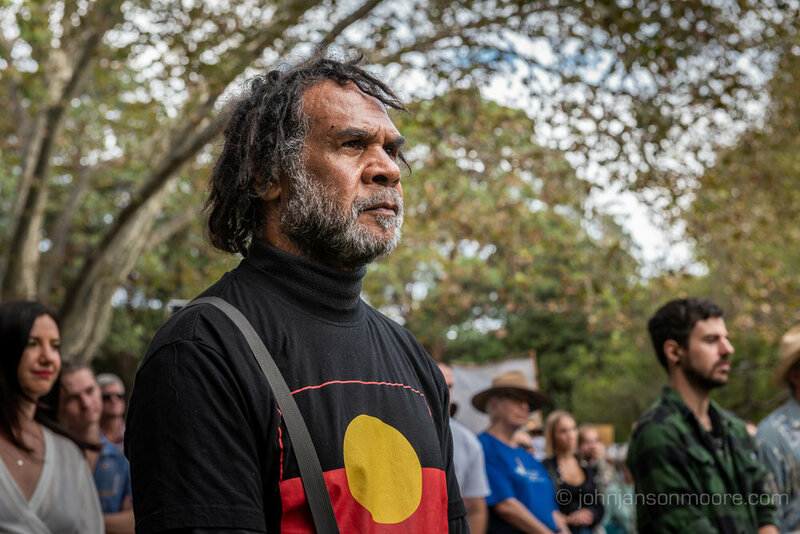 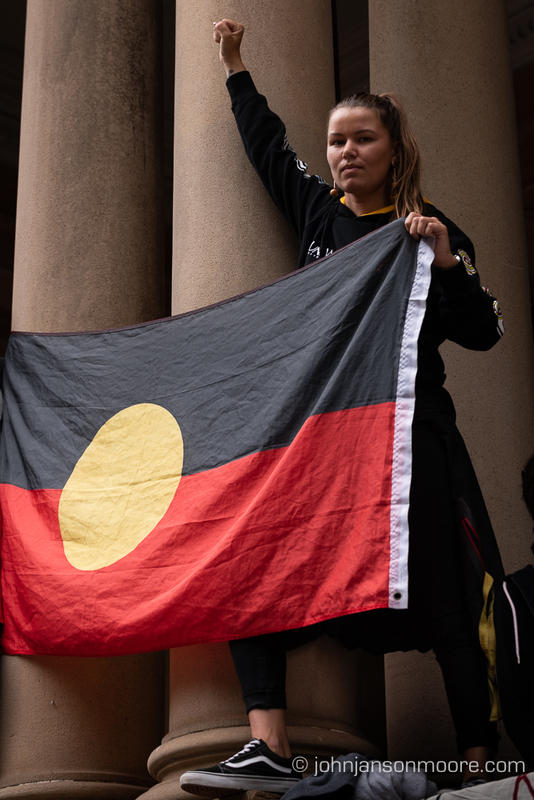 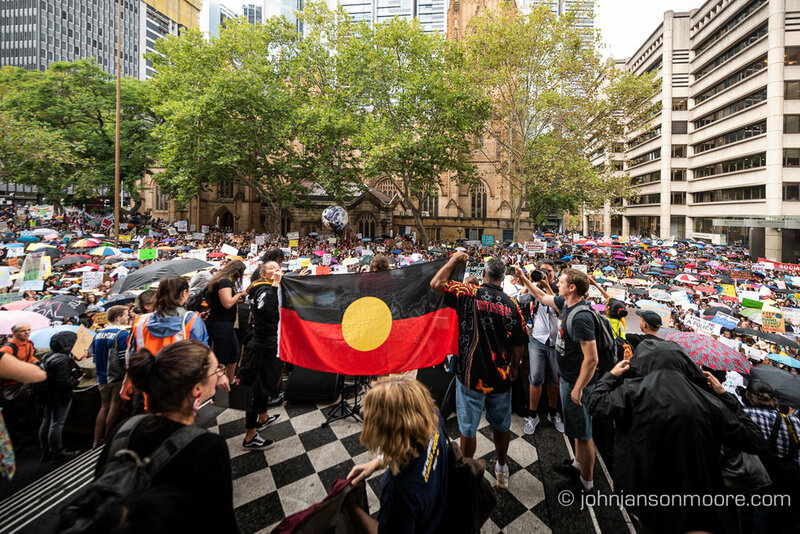 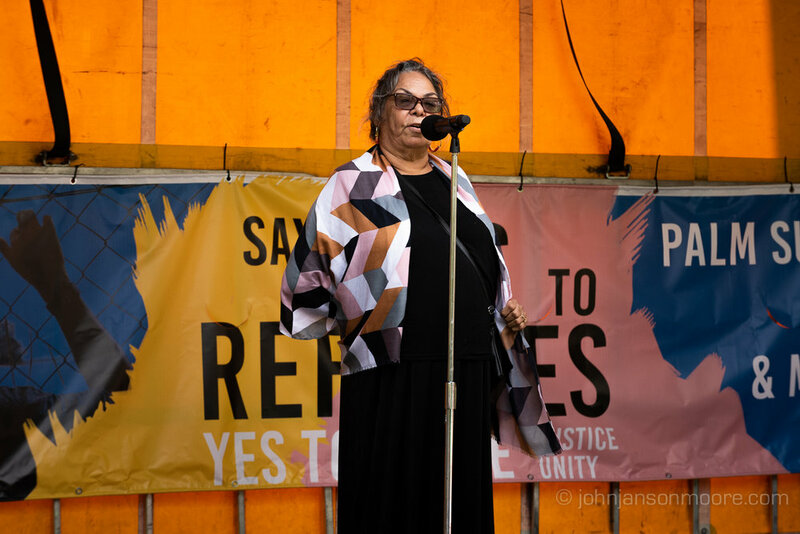 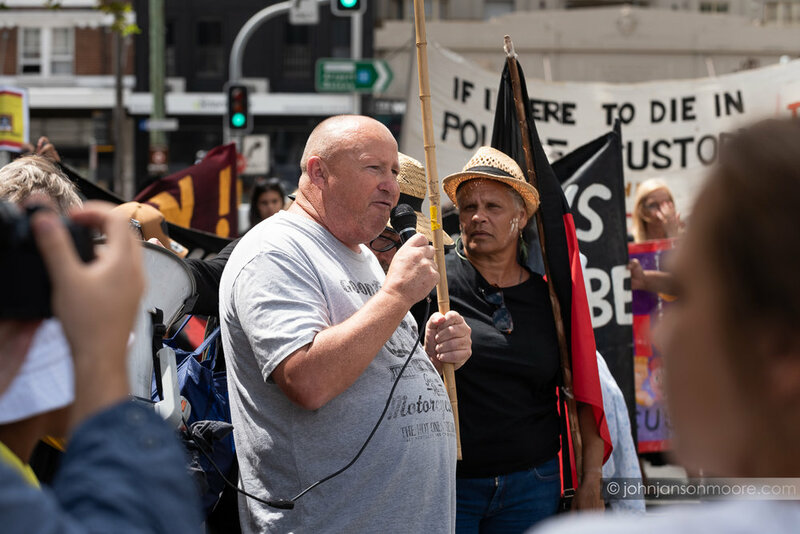 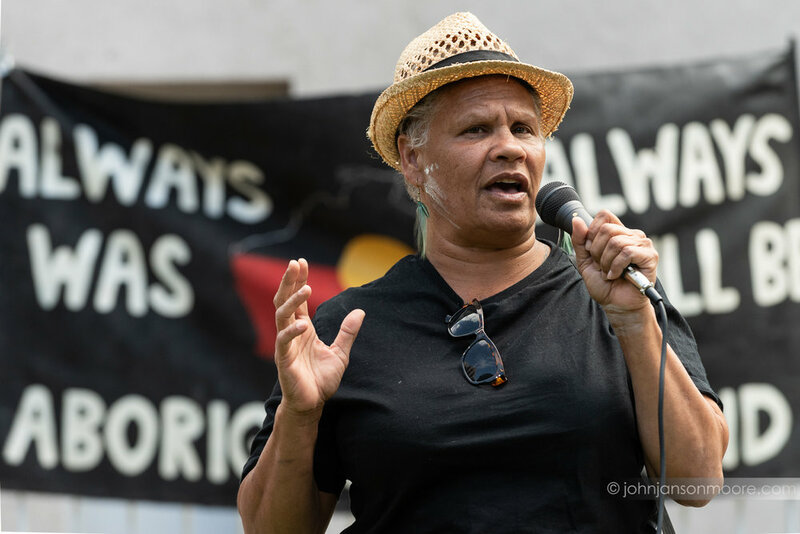 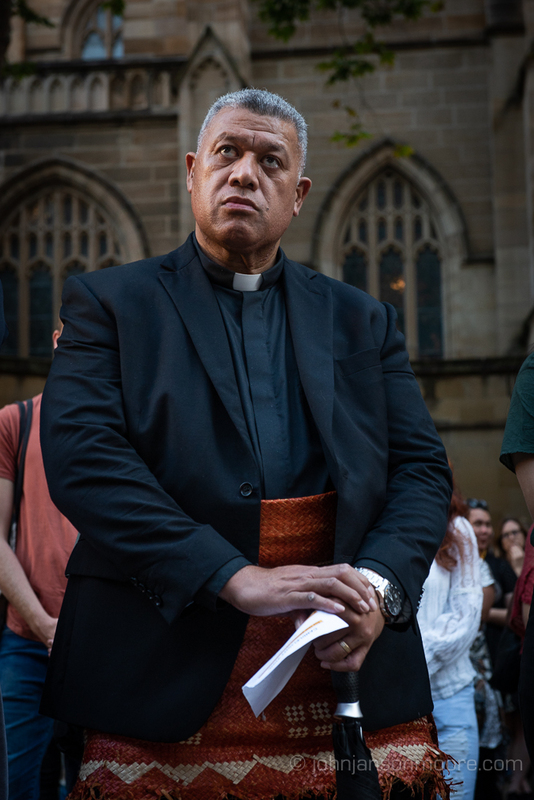 After an Acknowledgement to Country by Wiradjuri woman, Anne Weldon, a minute’s silence was held, before the crowd listened to speakers from across different faiths and backgrounds. 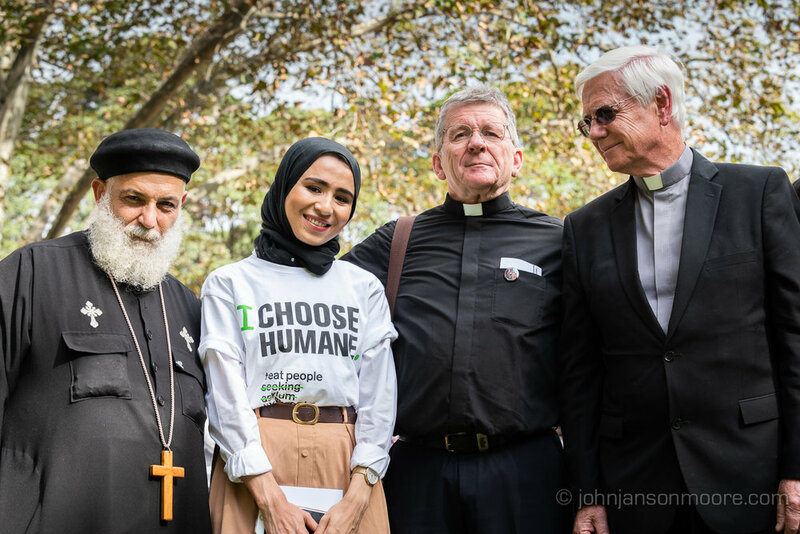 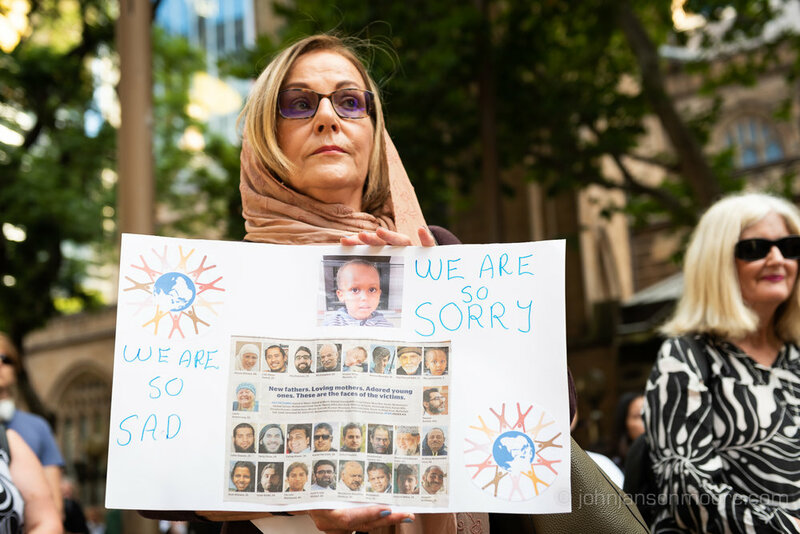 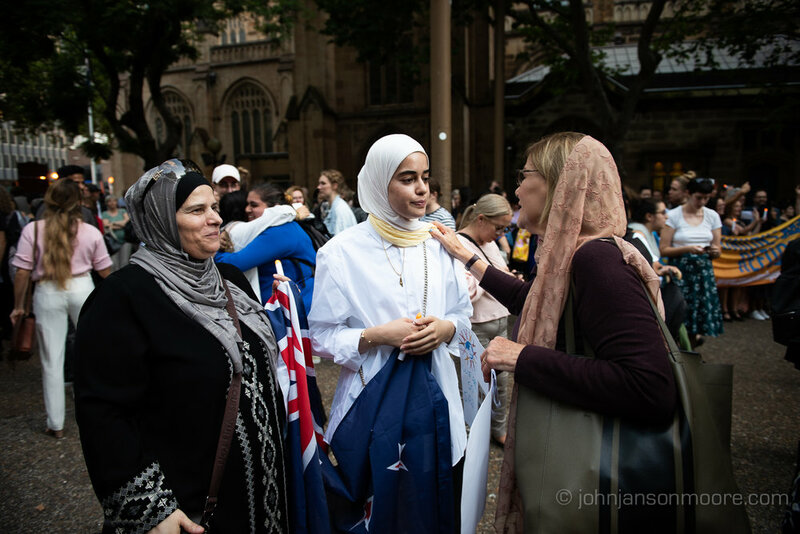 Included were Imam Farhan Khalil (Hills District Muslim Society), Dr. Naesrine Basheer (University of Sydney), journalist Majida Abboud Saab, the Reverend Bill Crews from the Exodus Foundation and Vic Alhadeff from the NSW Jewish Board of Deputies. 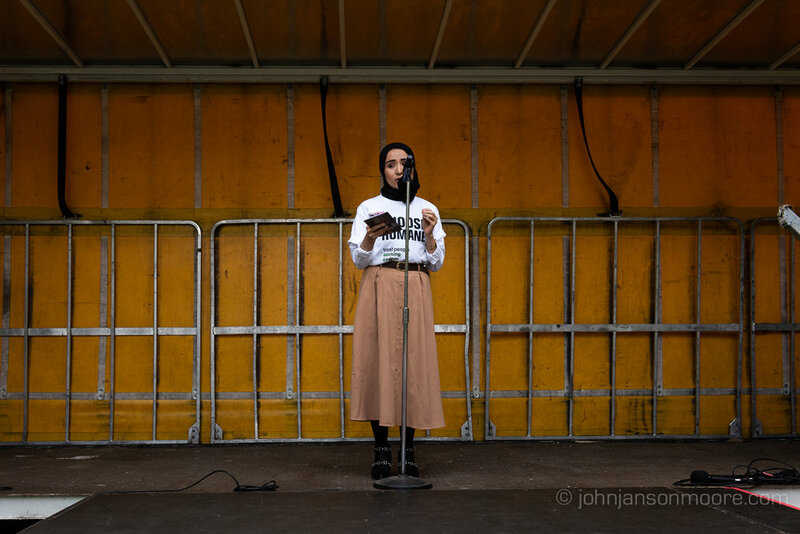 All speakers spoke out against the rising tide or racism, Islamophobia and intolerance. 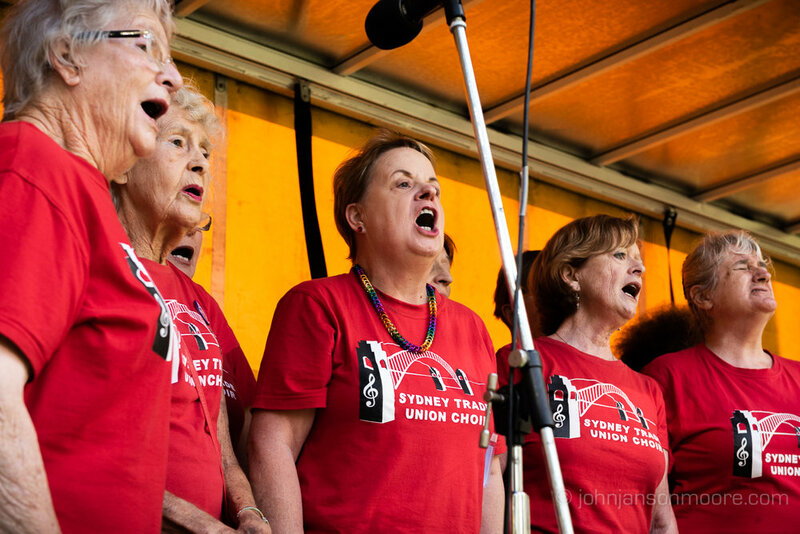 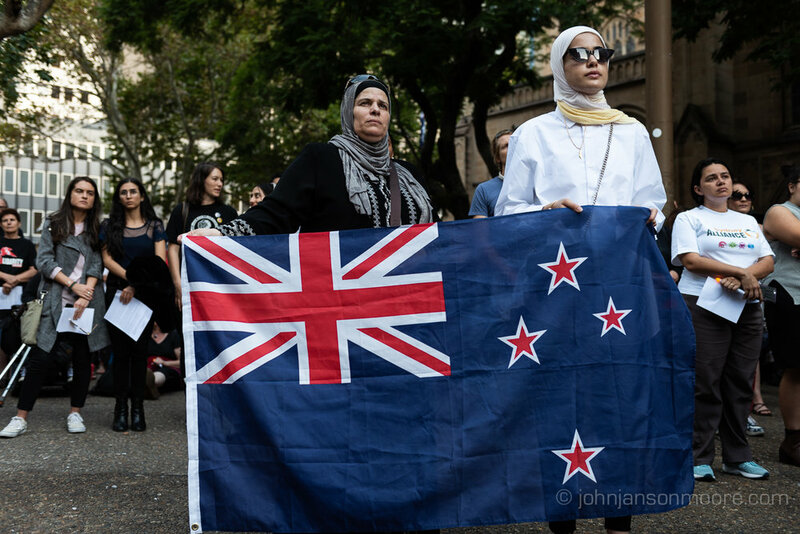 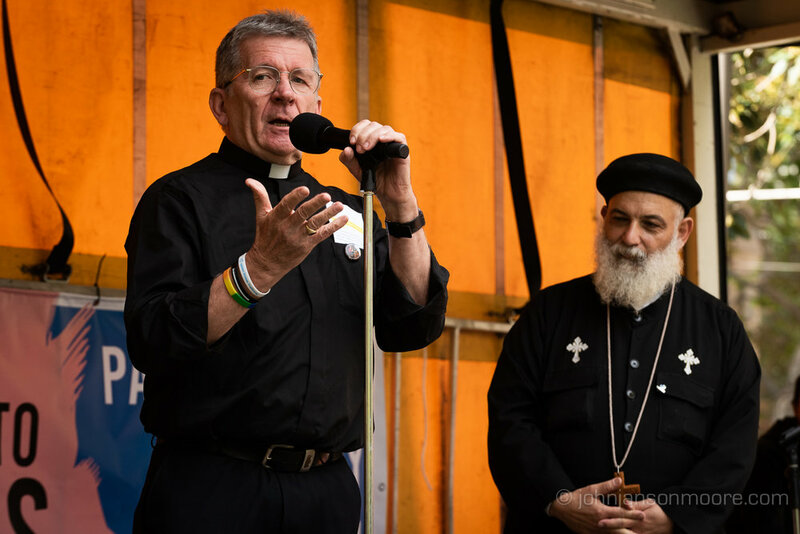 Around 1,000 people braved the rain last Sunday to express their support for the victims of the Christchurch terrorist attack and the broader Muslim community. 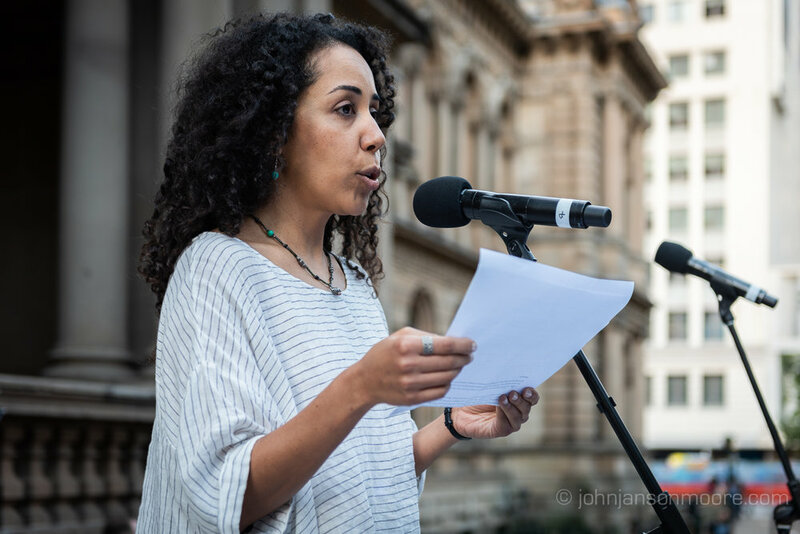 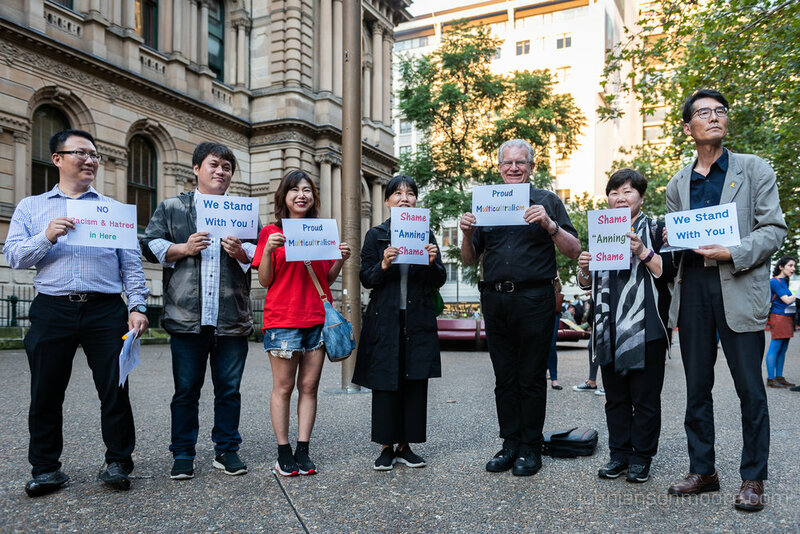 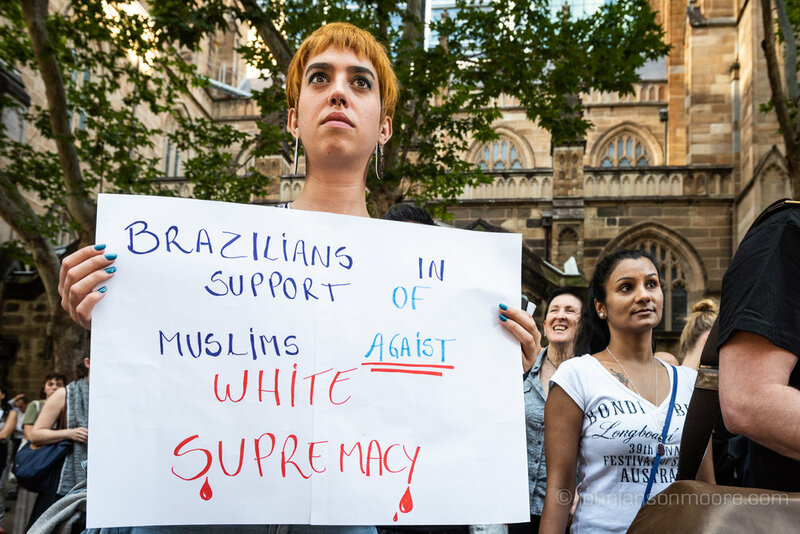 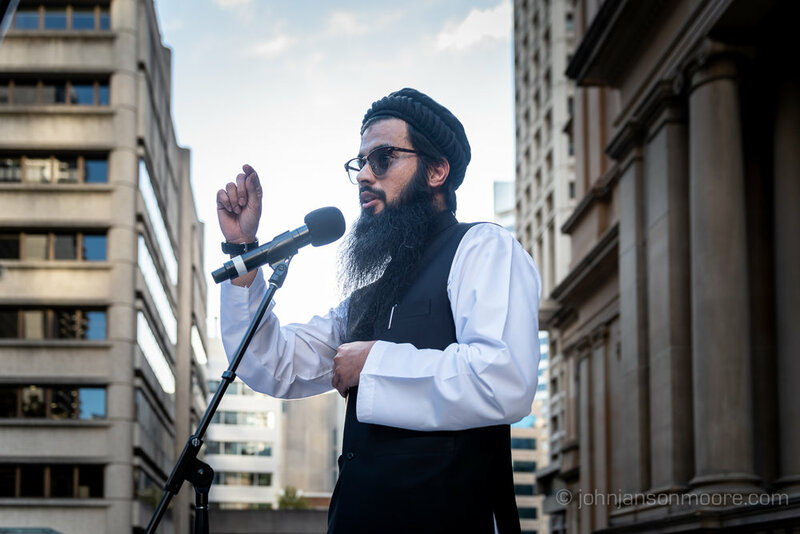 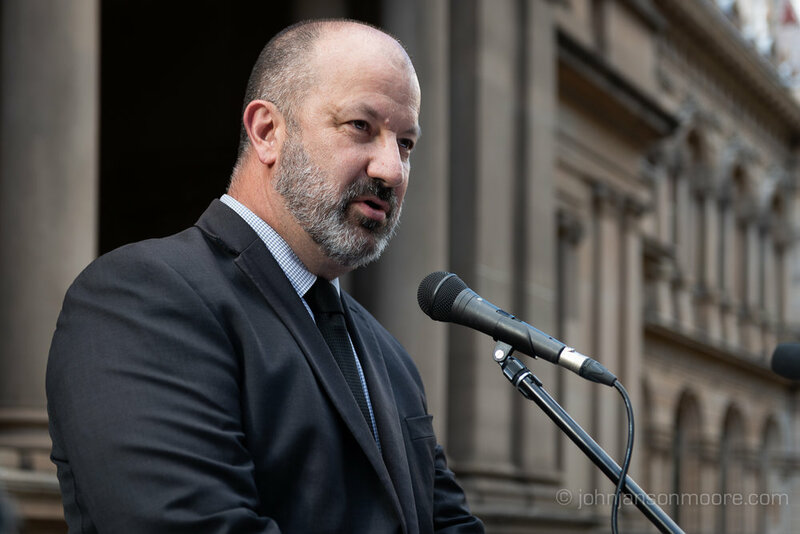 Speakers spoke out against racism and Islamophobia outside the New Zealand consulate in central Sydney. 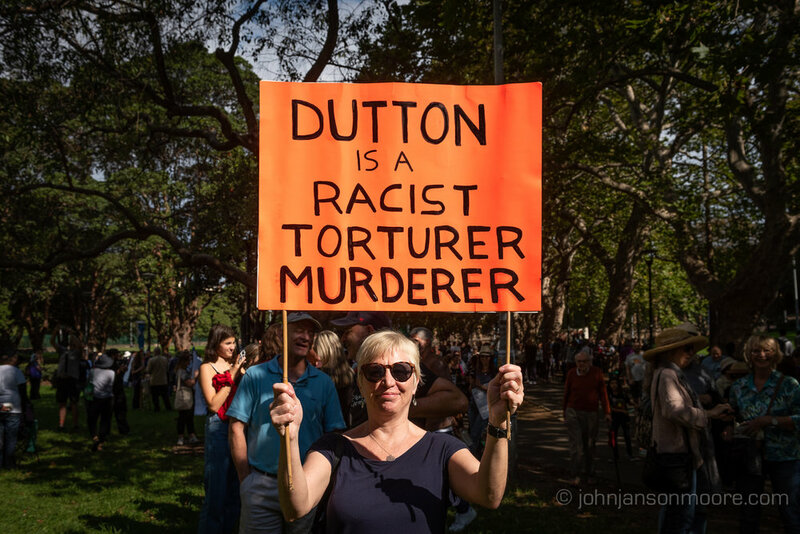 Trying my hand here at shooting a protest rally on analogue film in tricky low light, wet conditions. 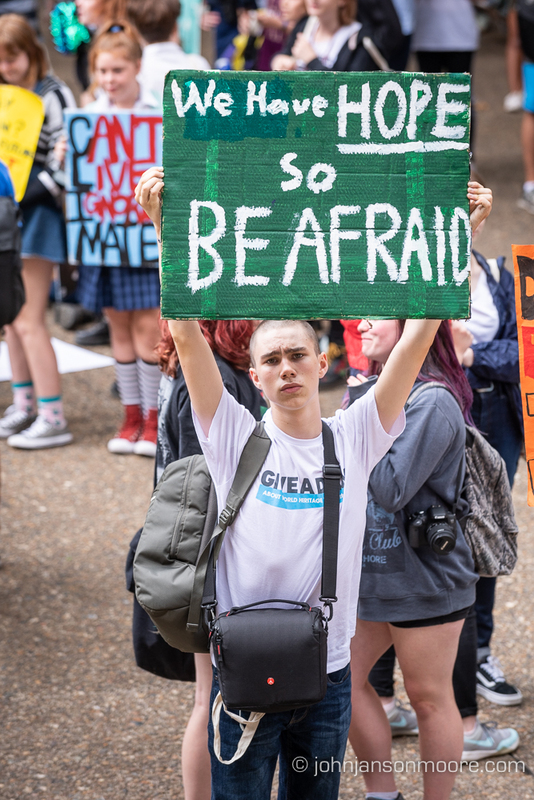 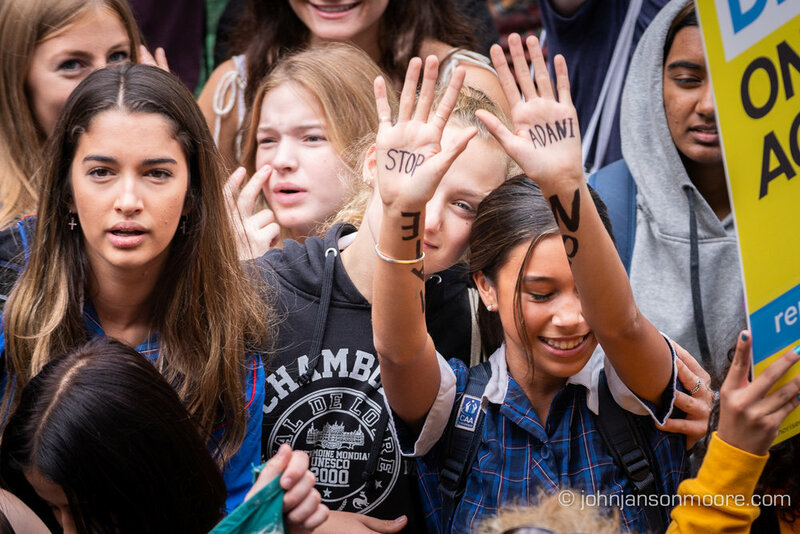 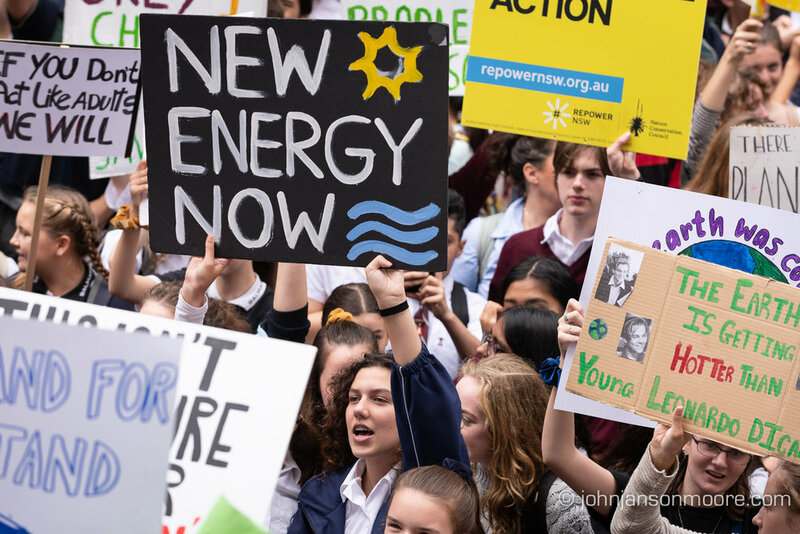 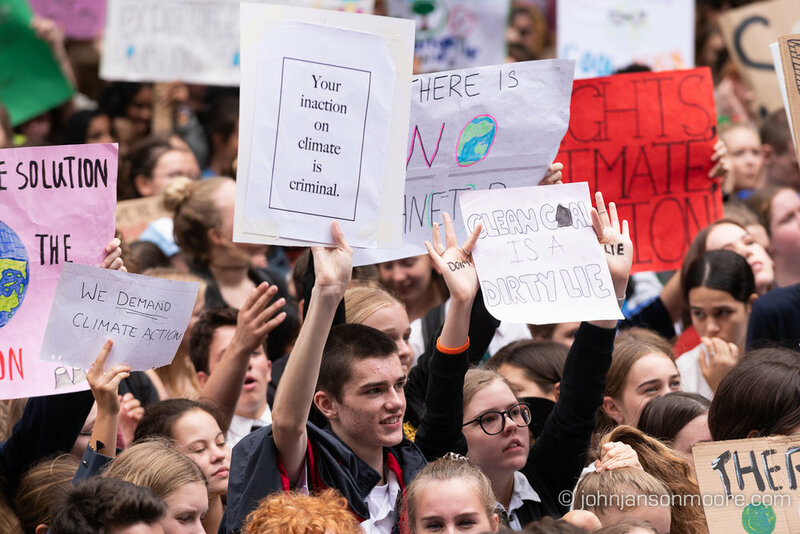 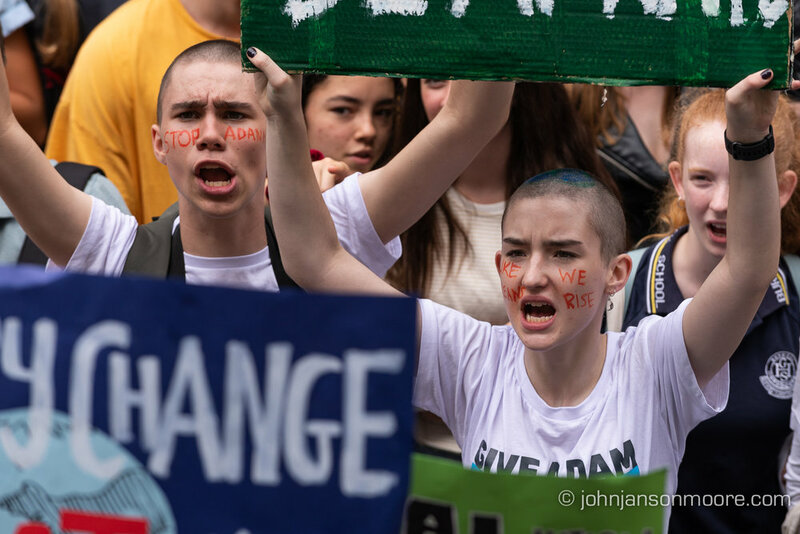 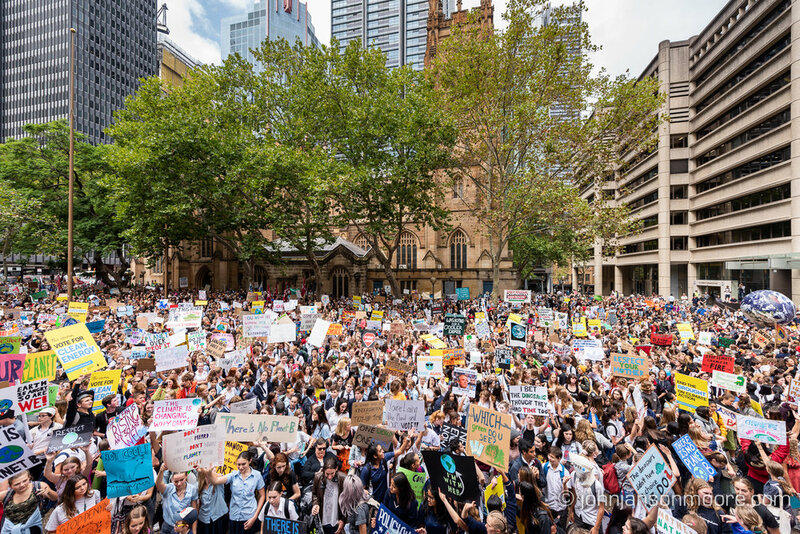 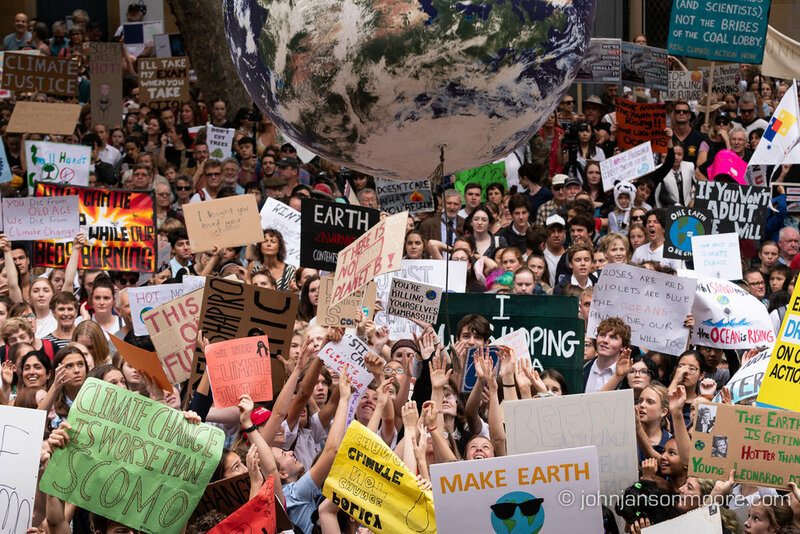 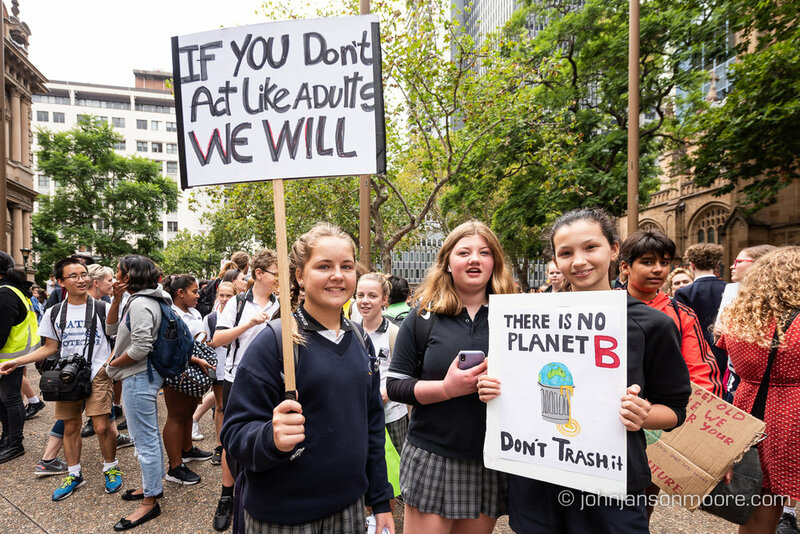 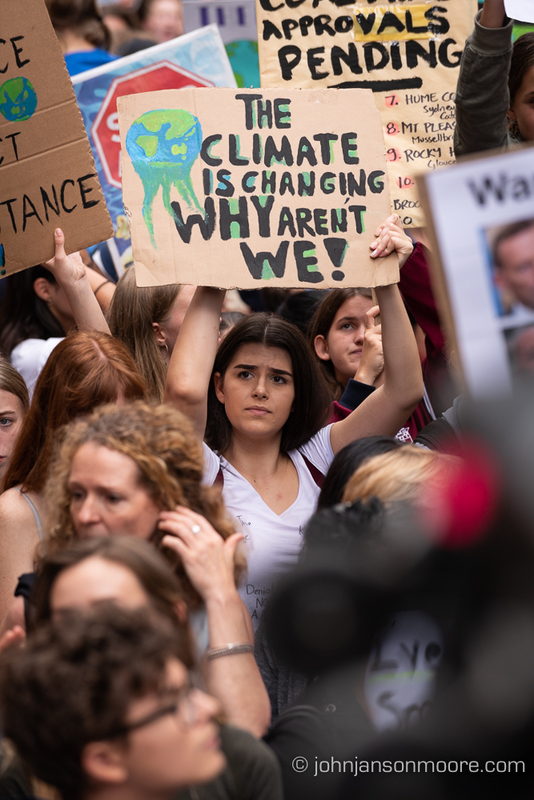 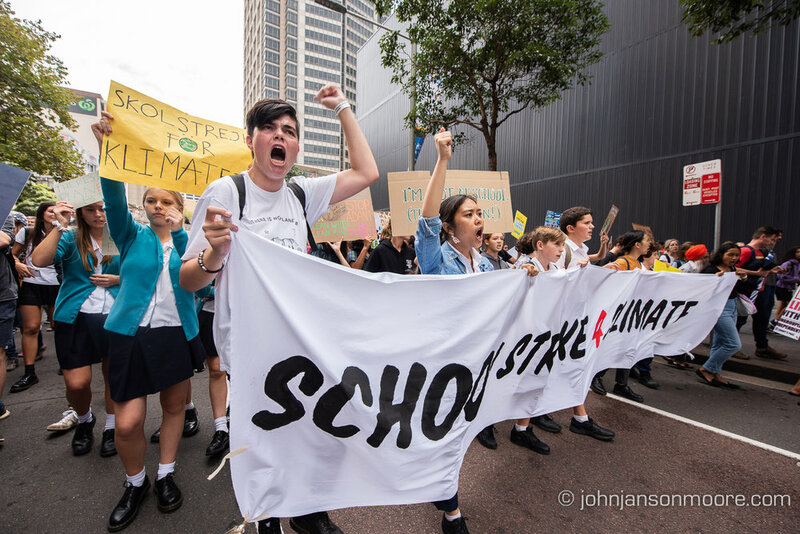 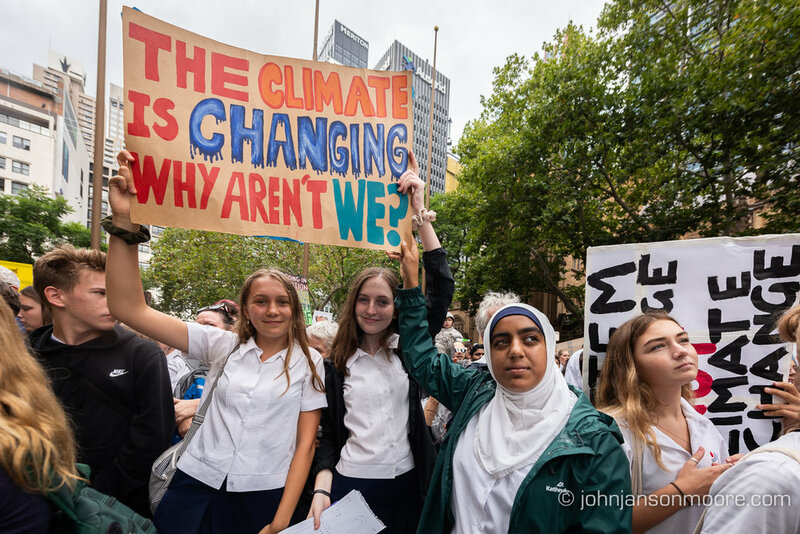 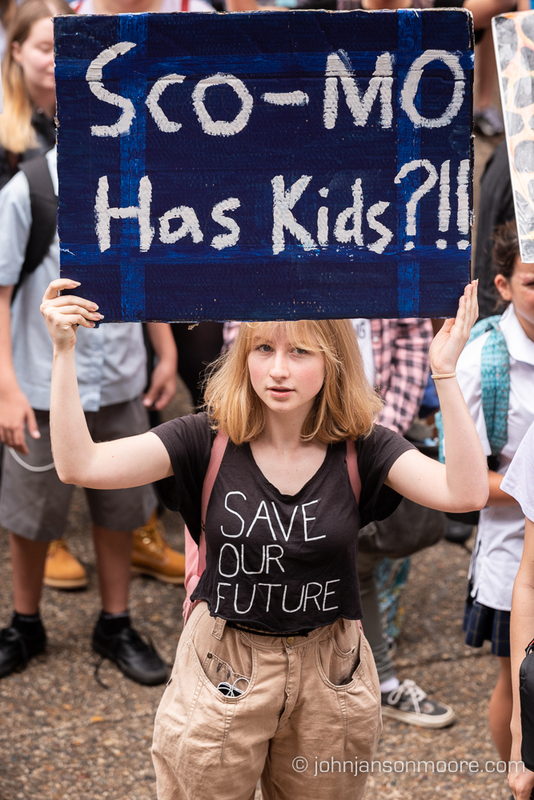 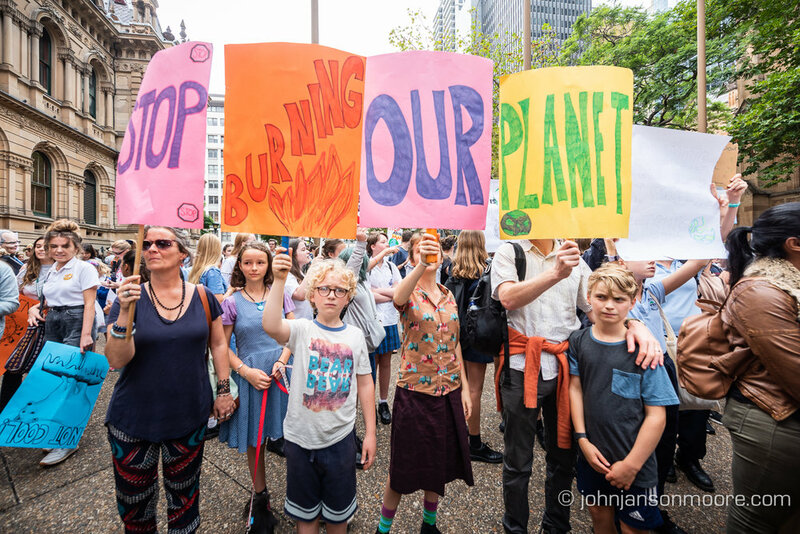 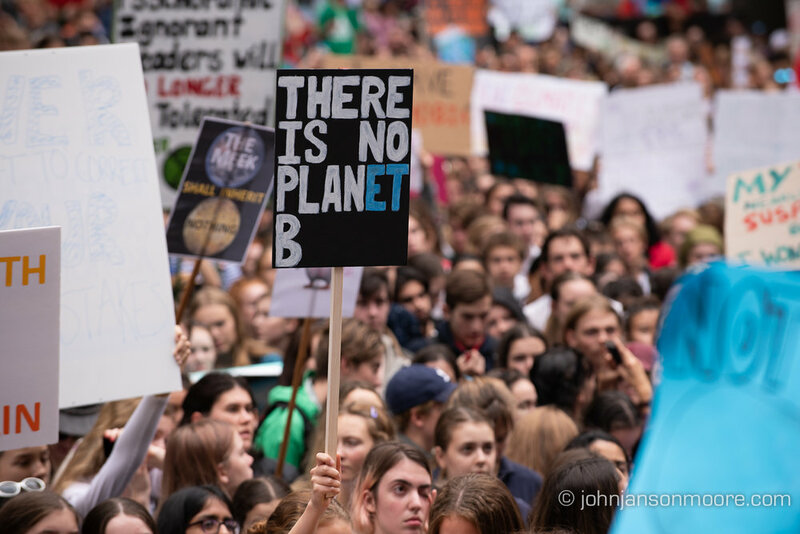 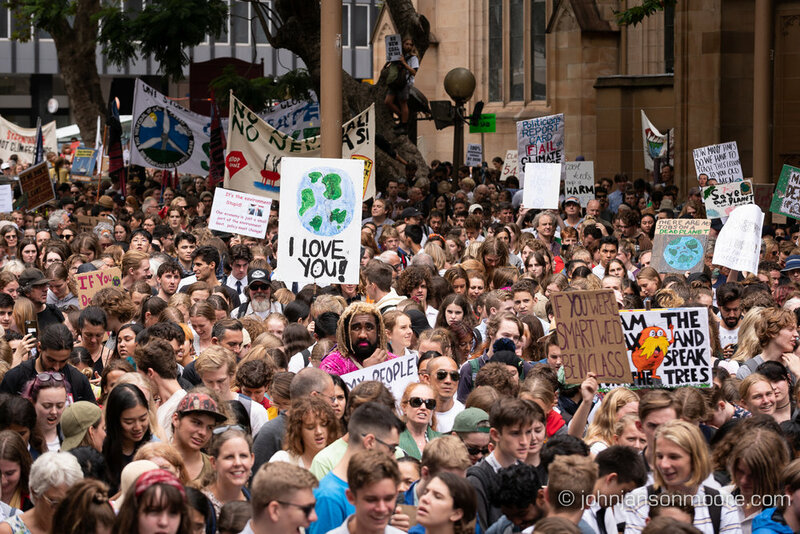 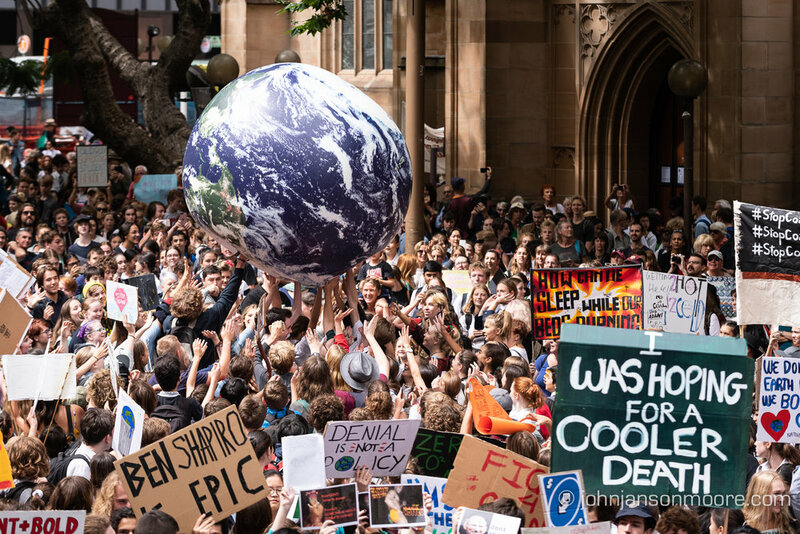 Over 25,000 students walked out of class in Sydney today to protest against political inaction against climate change. 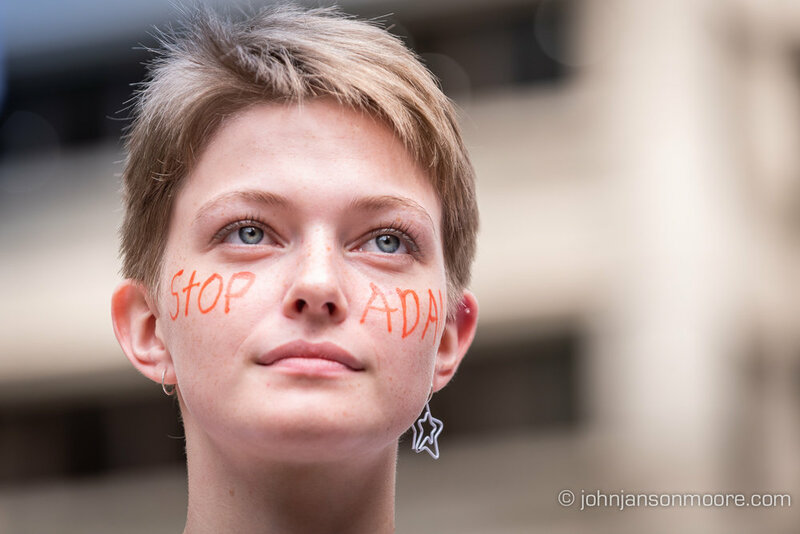 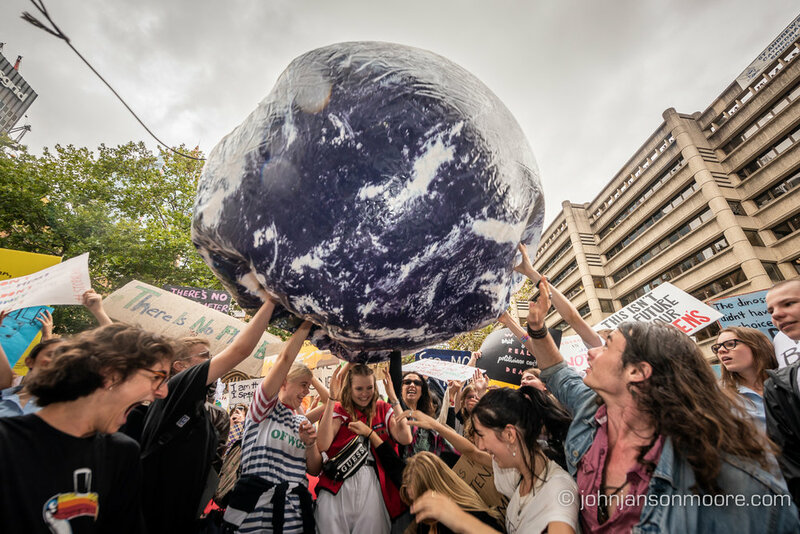 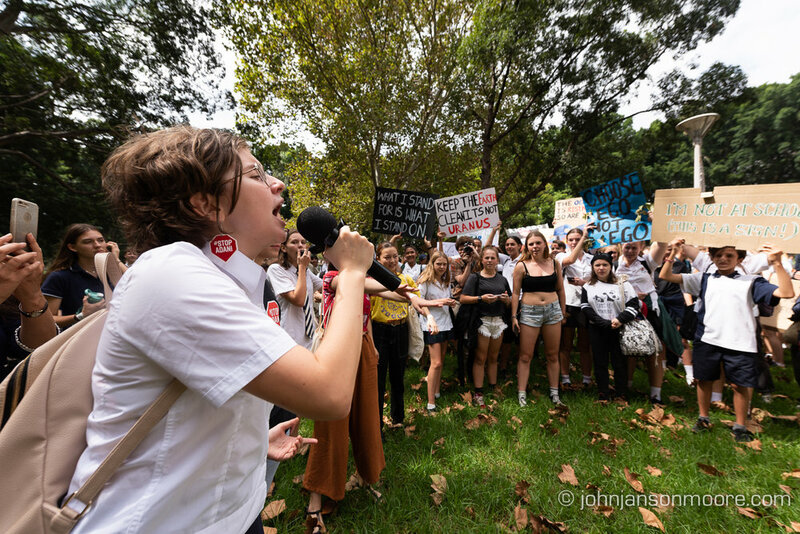 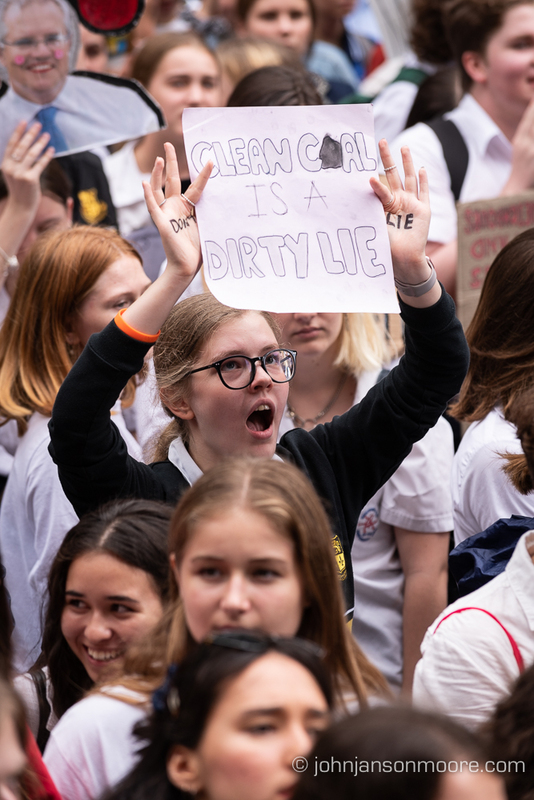 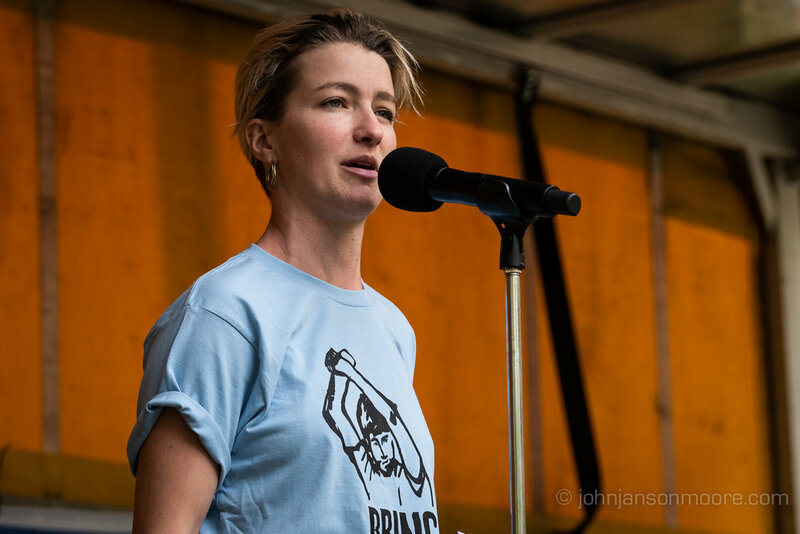 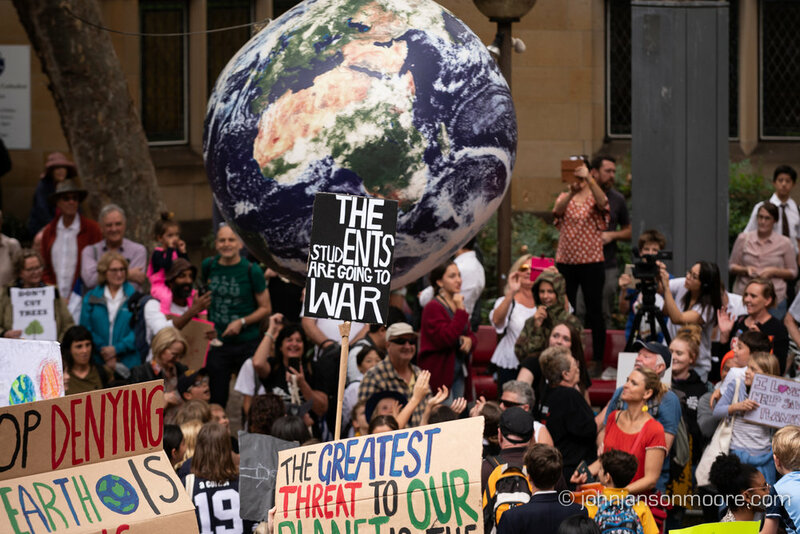 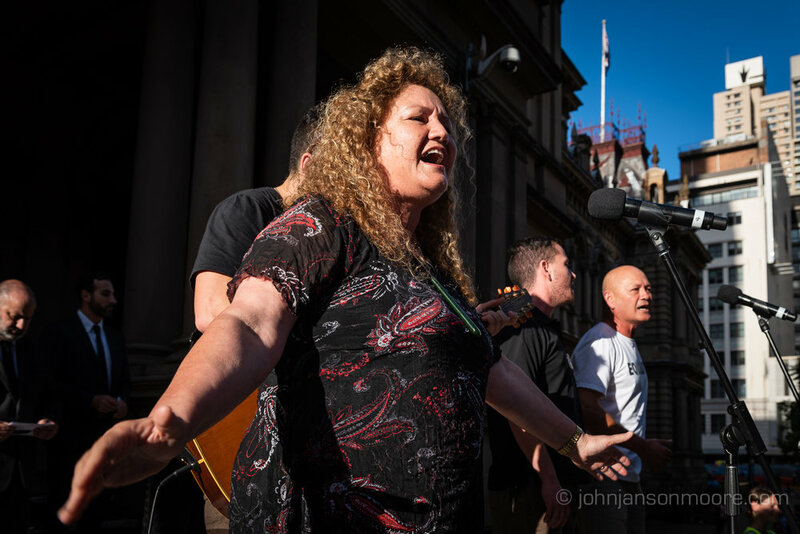 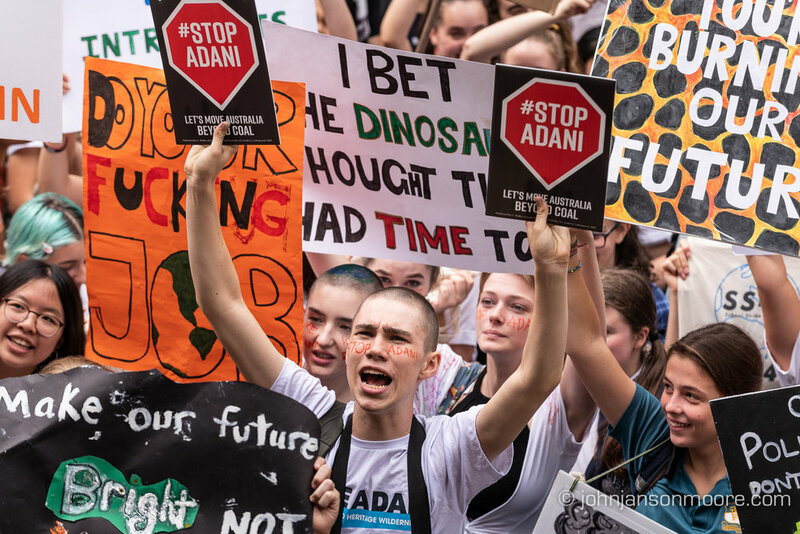 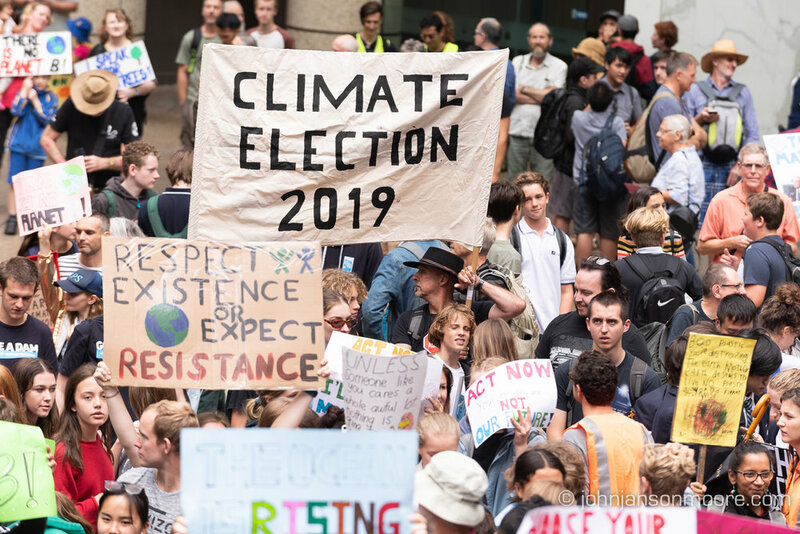 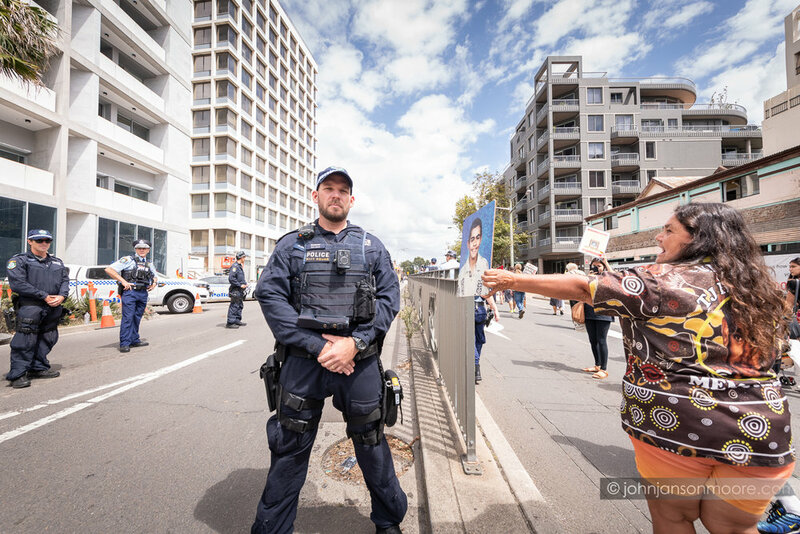 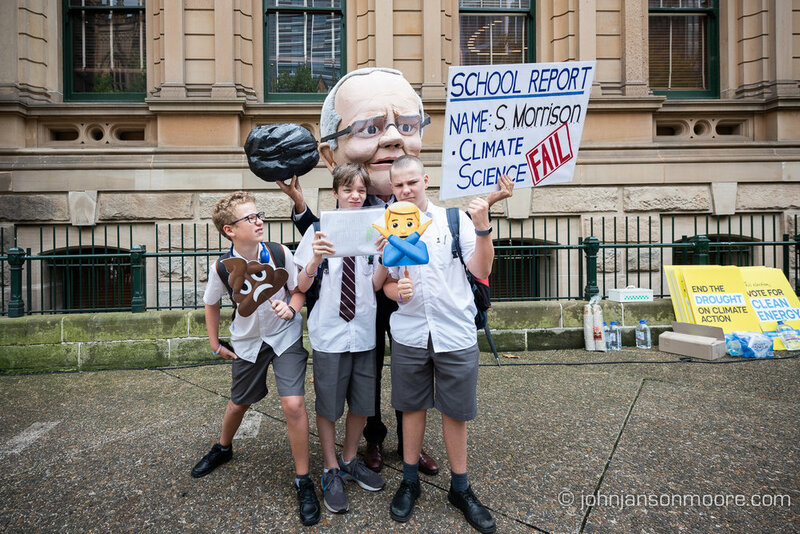 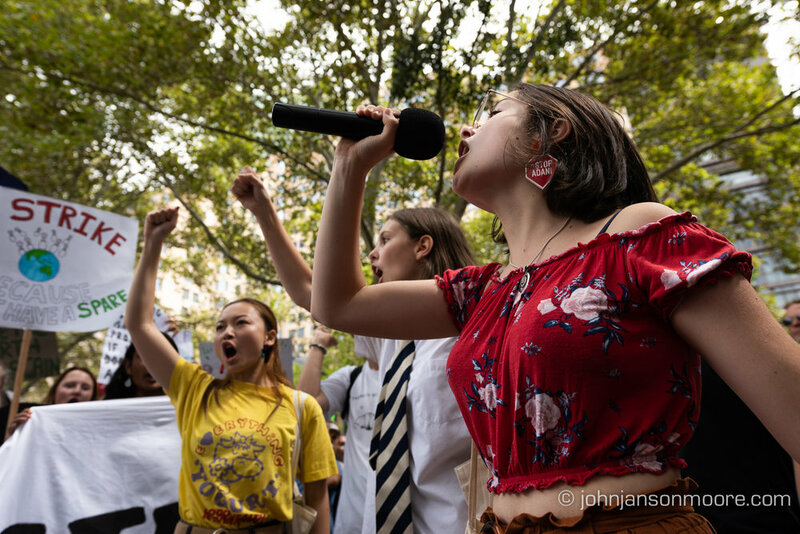 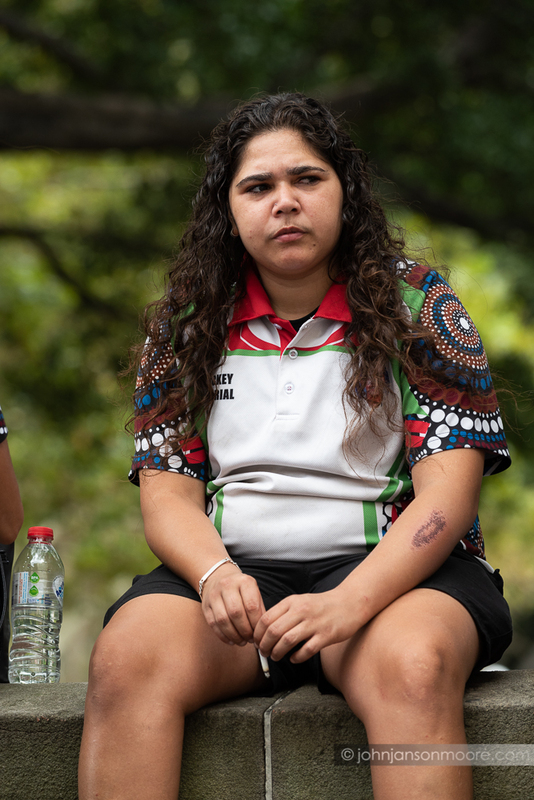 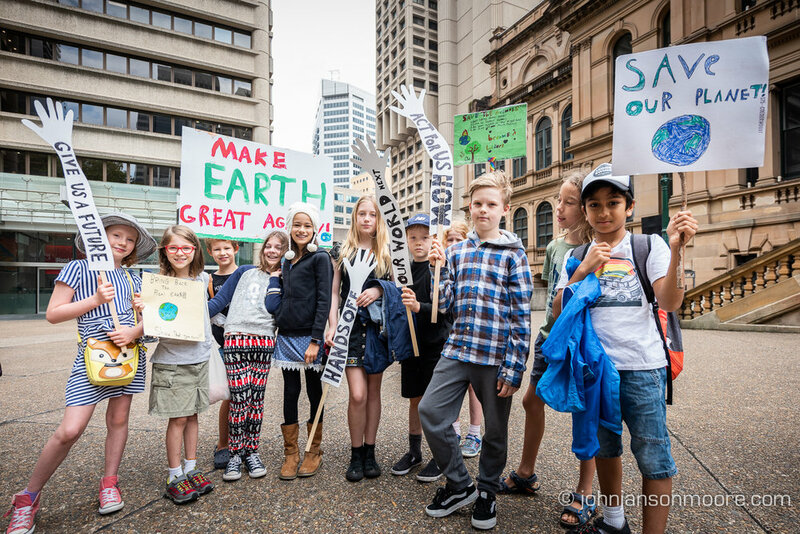 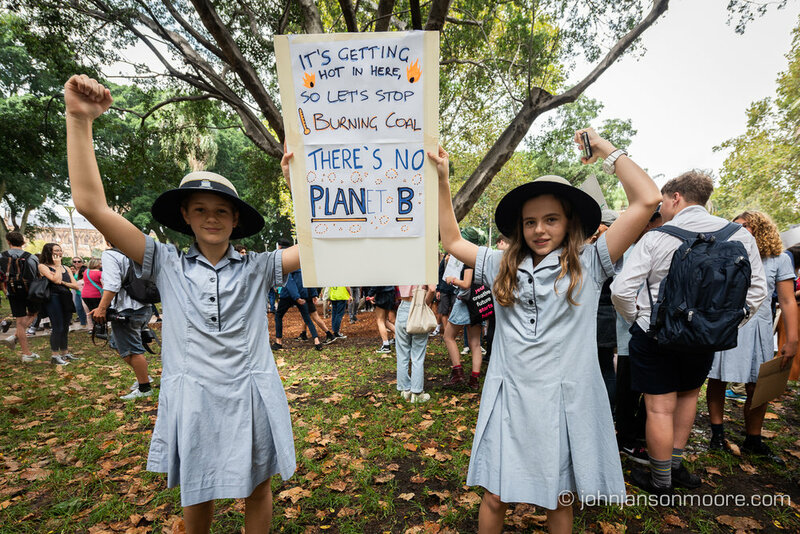 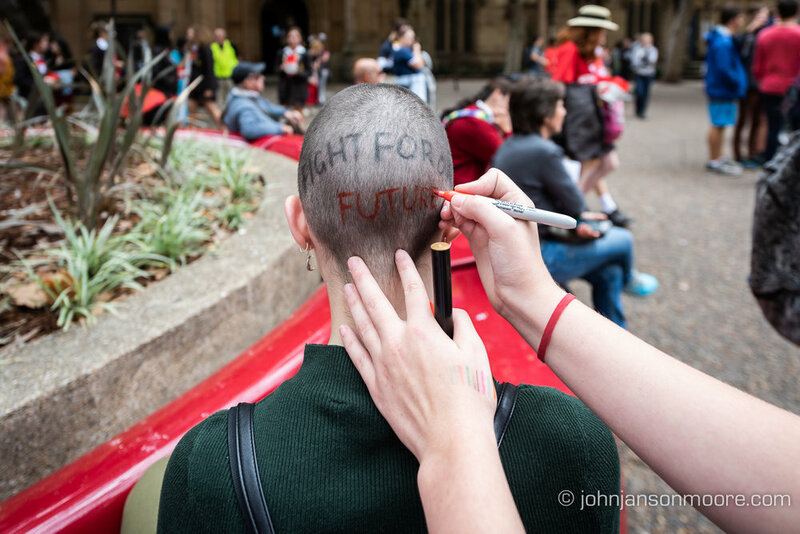 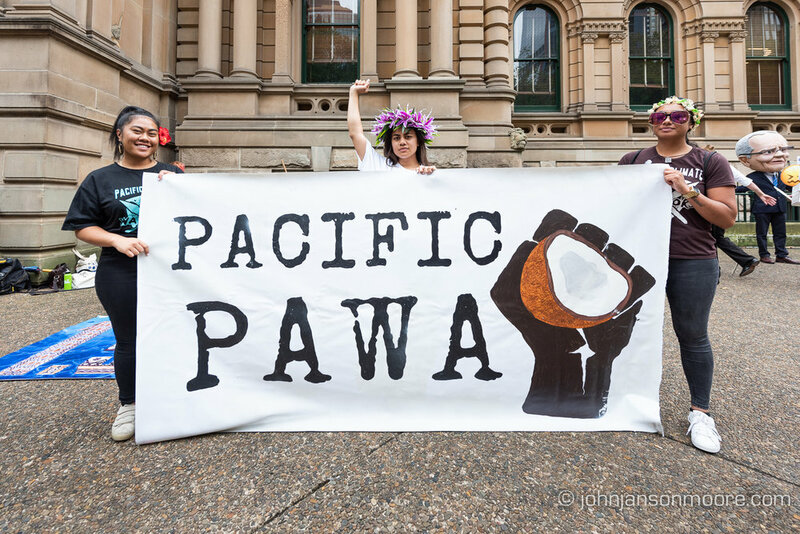 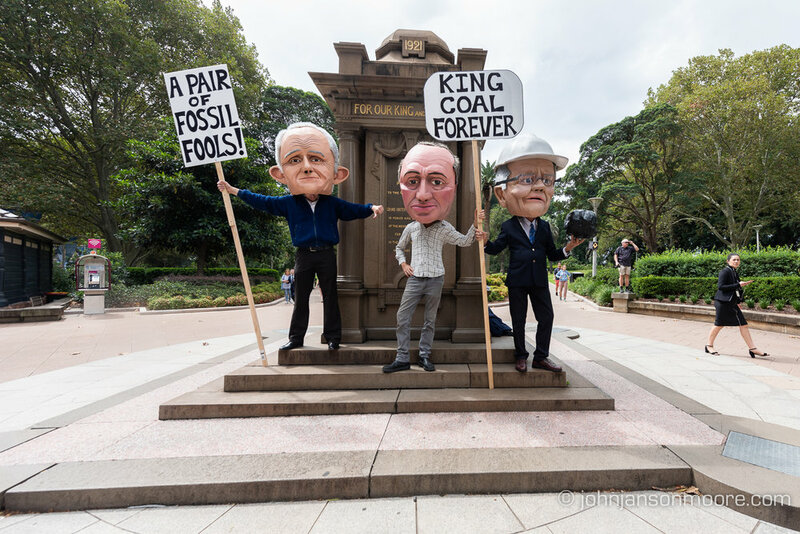 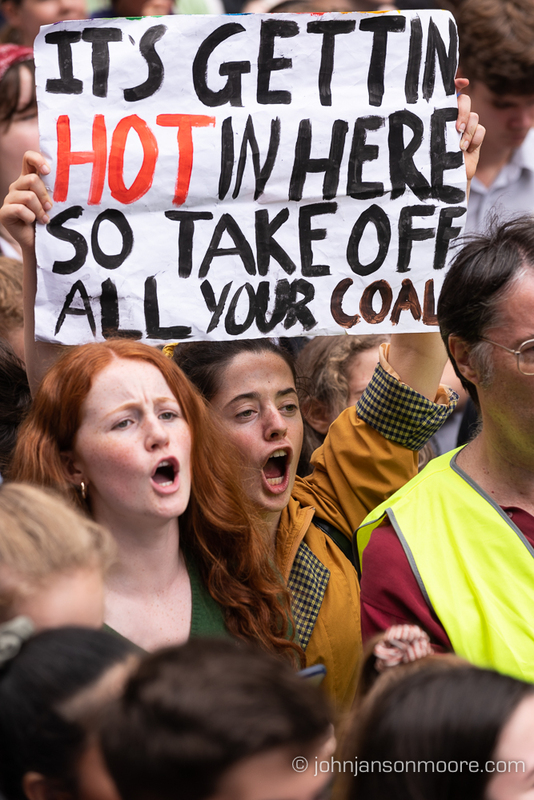 The students gathered at Town Hall where speakers demanded a voice in the future of the environment, including halting the Adani Carmichael mine in Queensland, earmarked to be one of the world’s largest coal mines. 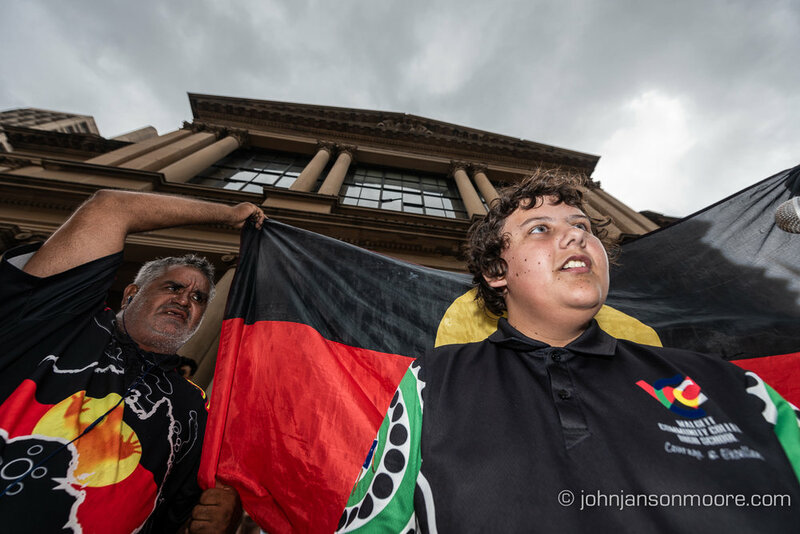 A contingent of Aboriginal students travelled from Walgett in Western NSW to tell the crowd about the devastating effect of the lack of water flows to their town. 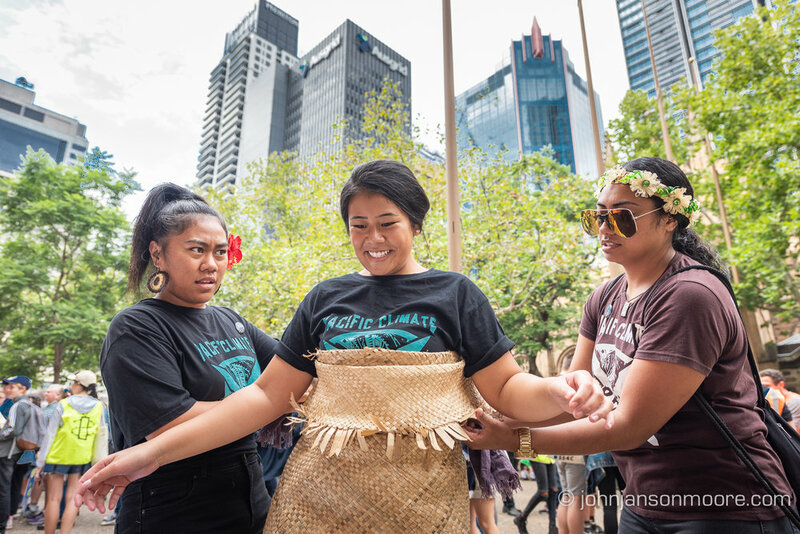 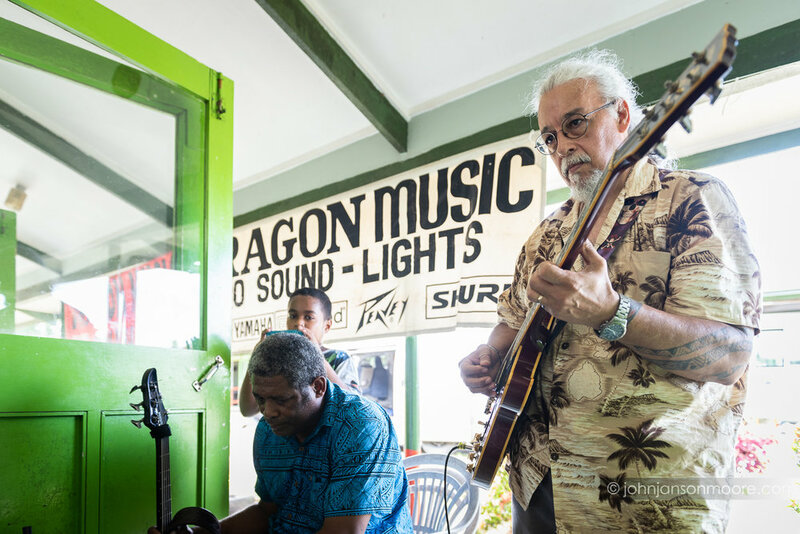 Speakers from Pacific Island nations, at the frontline of global sea level rises, also featured. 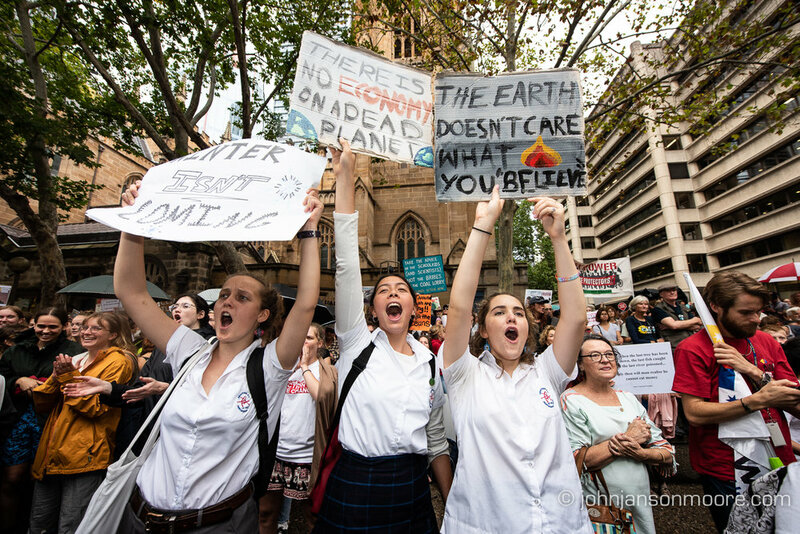 Students set out on a march through the city’s streets which ended in Hyde Park. 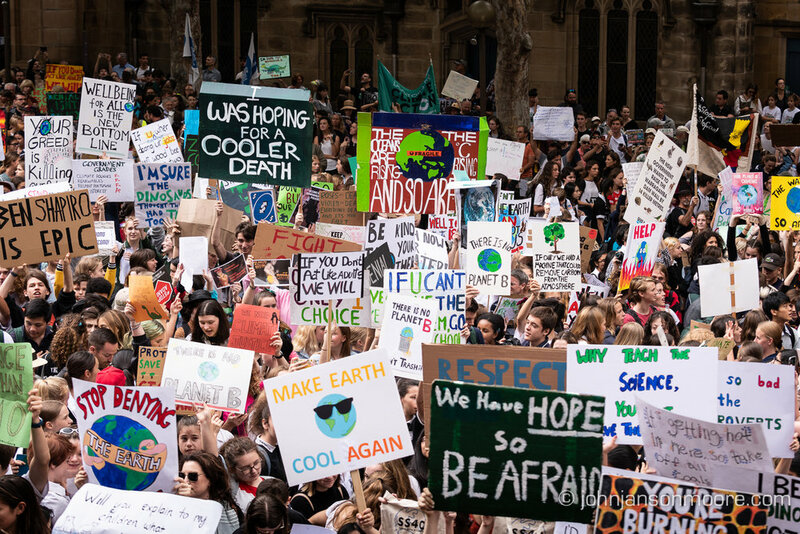 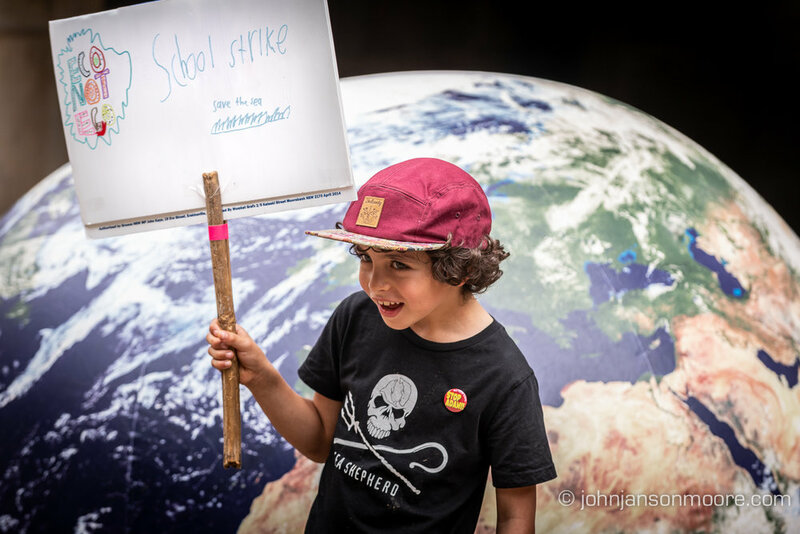 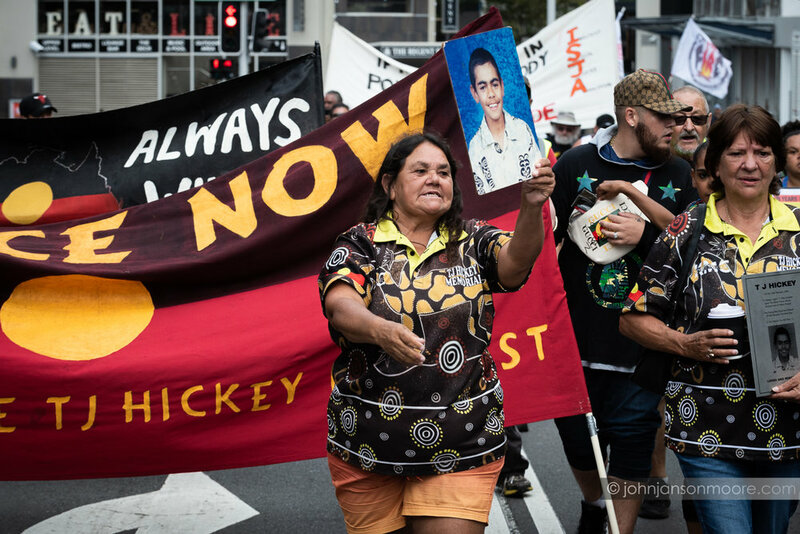 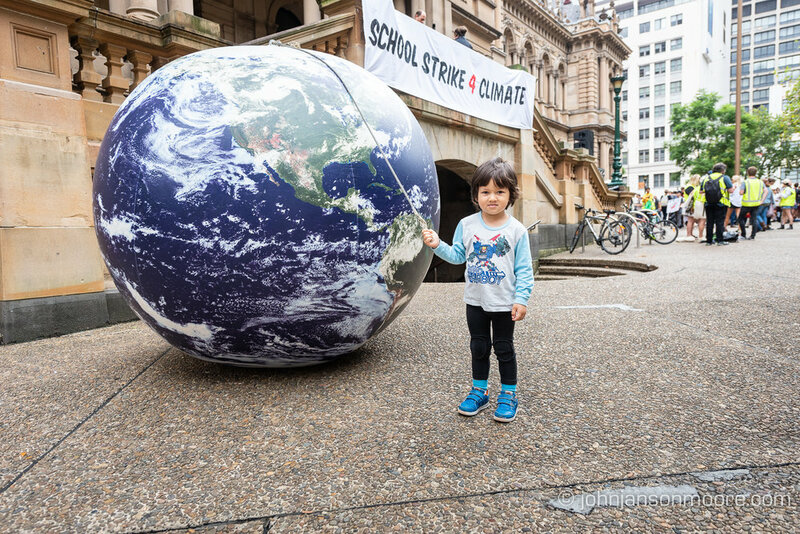 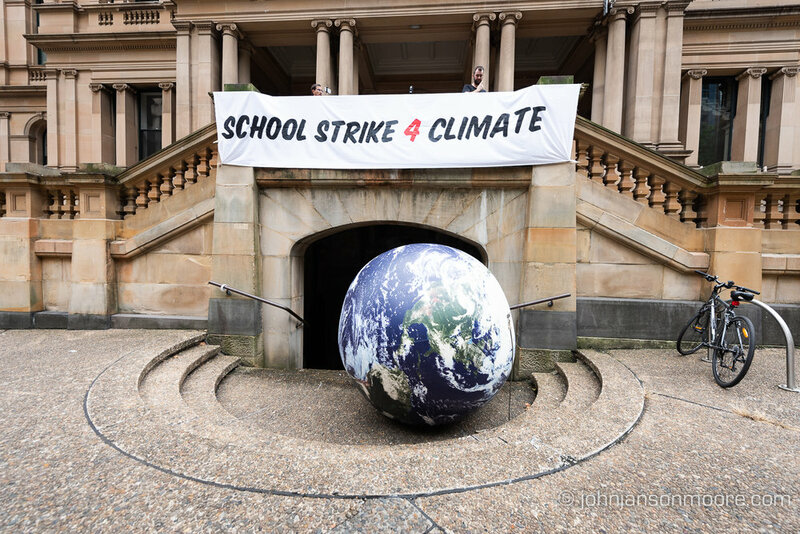 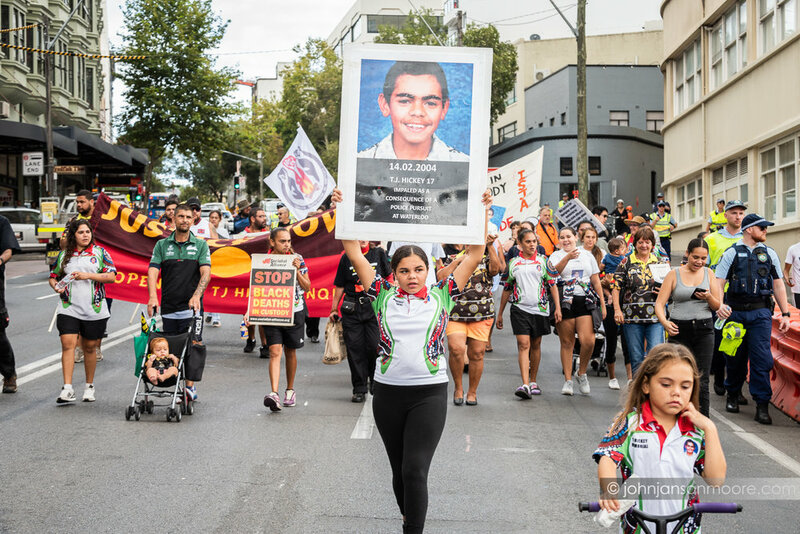 It was estimated that around 150,000 students participated in similar strikes across Australia, which coincided with similar student marches across the world. 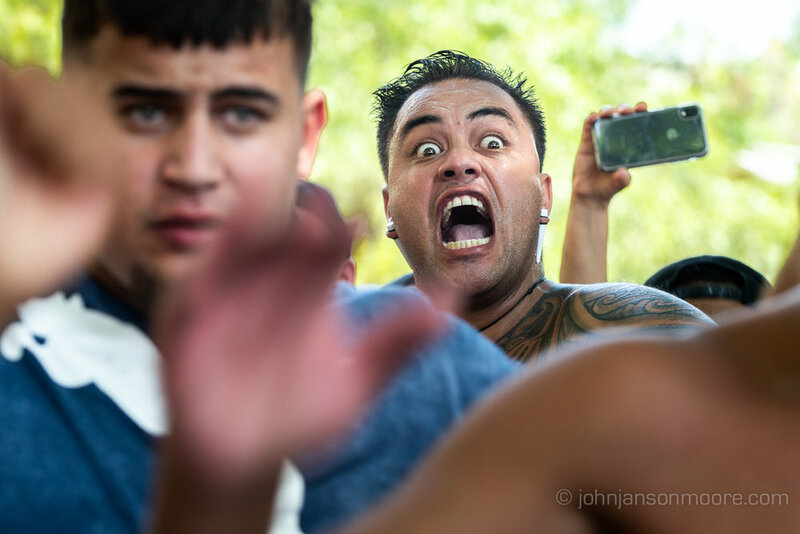 *click through images for full screen view. 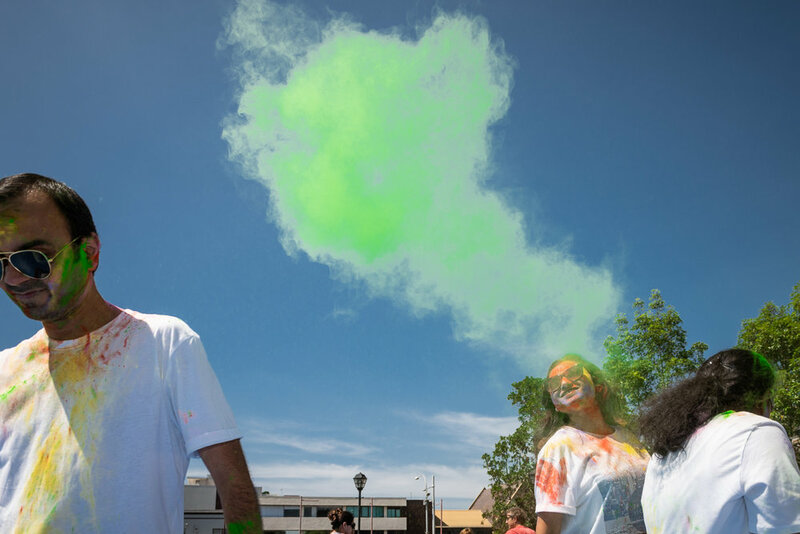 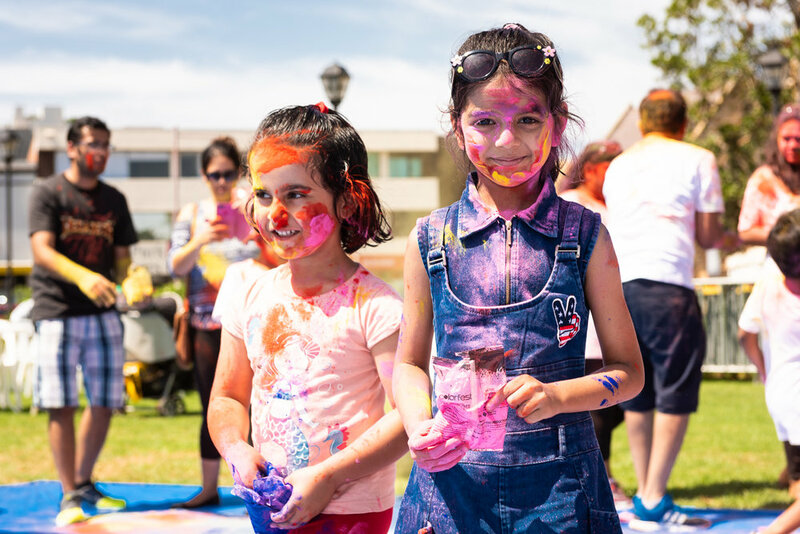 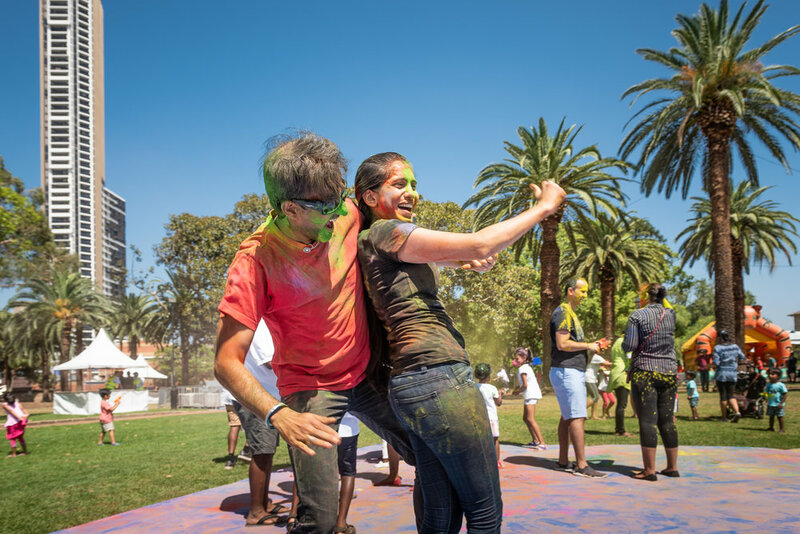 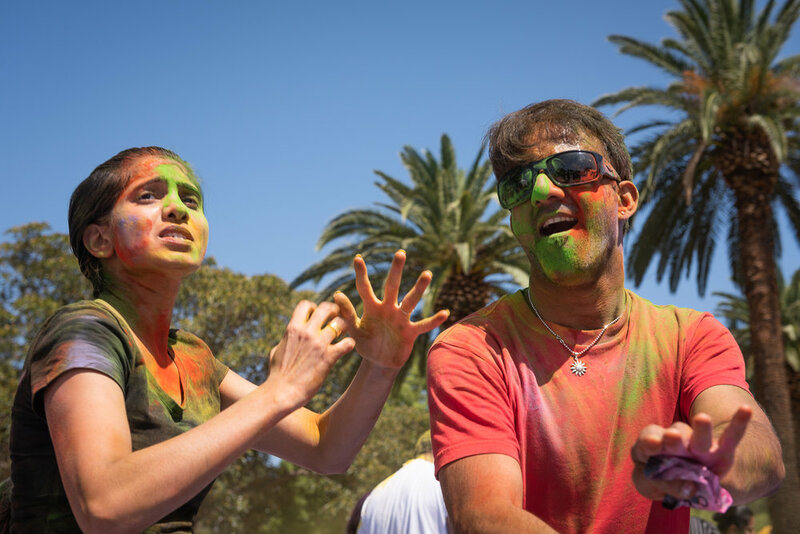 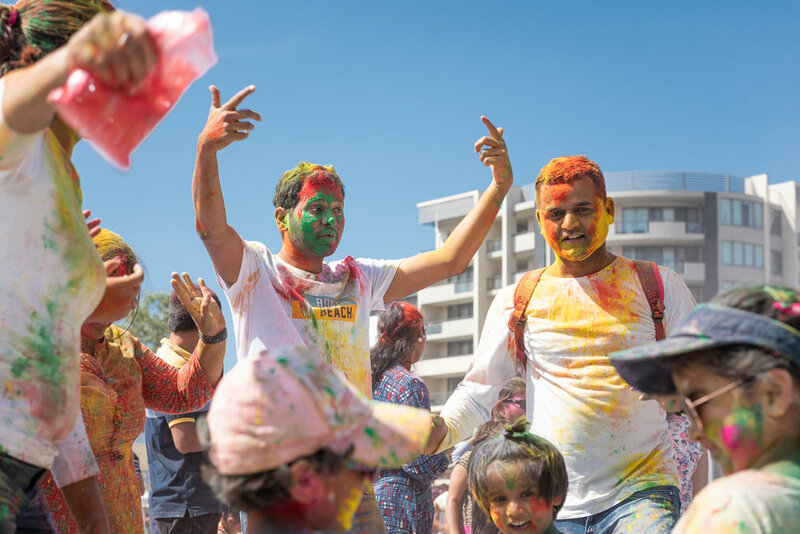 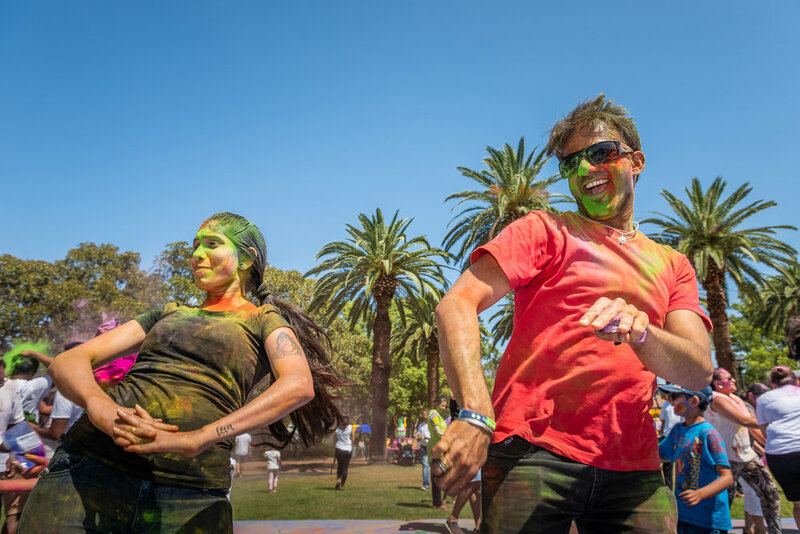 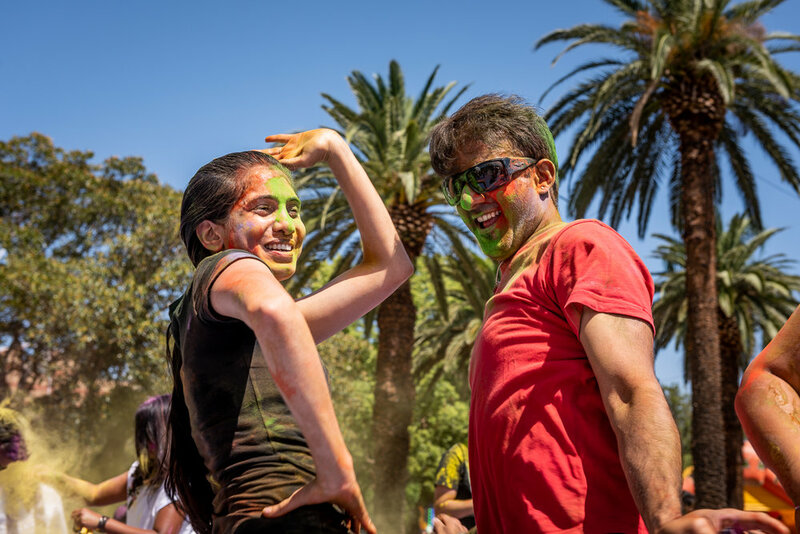 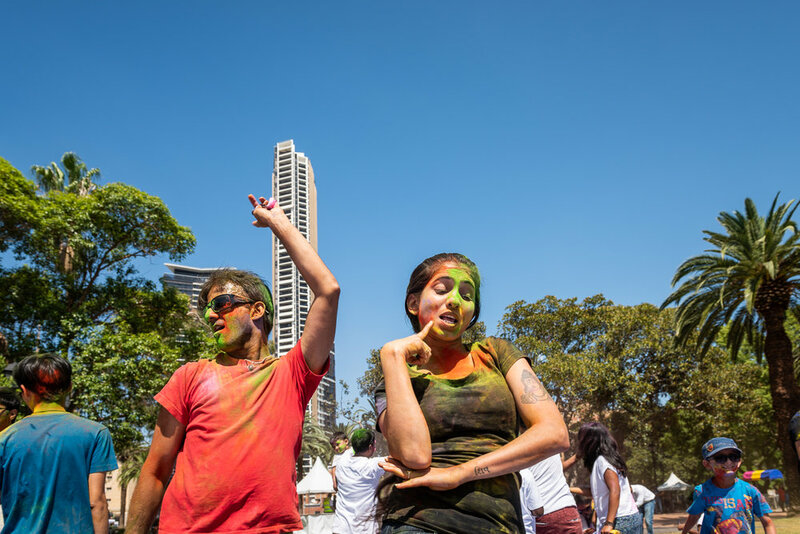 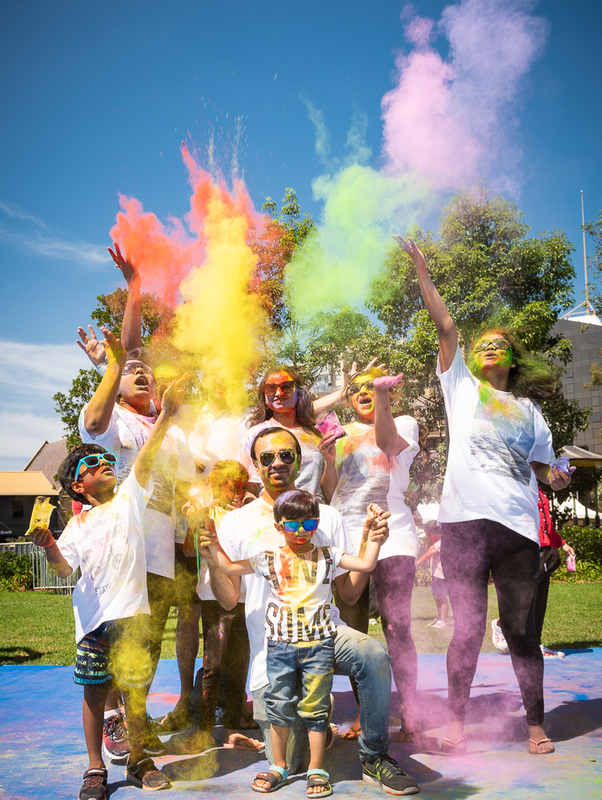 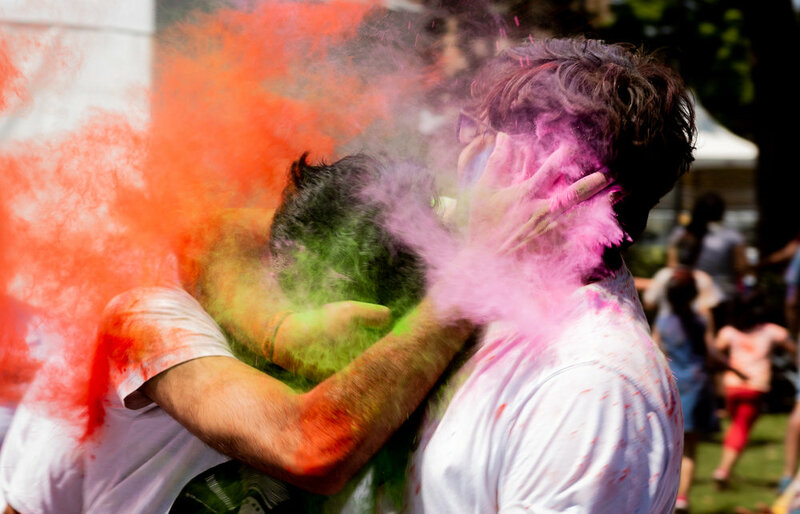 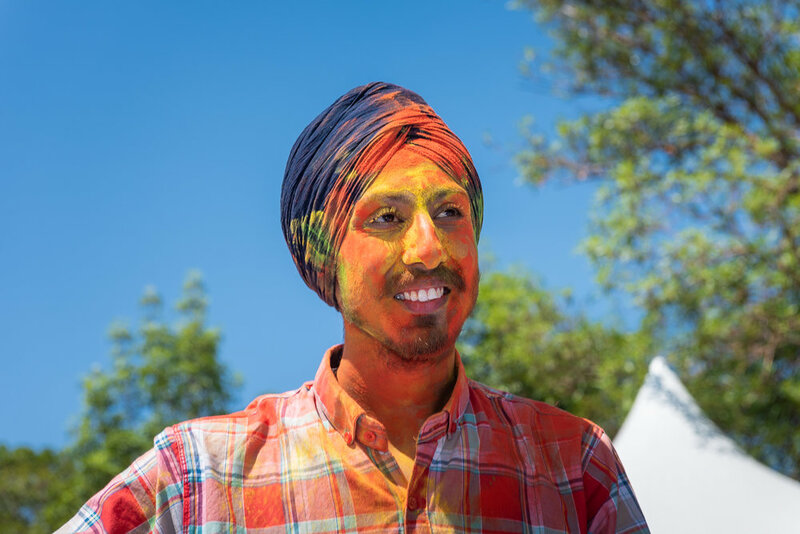 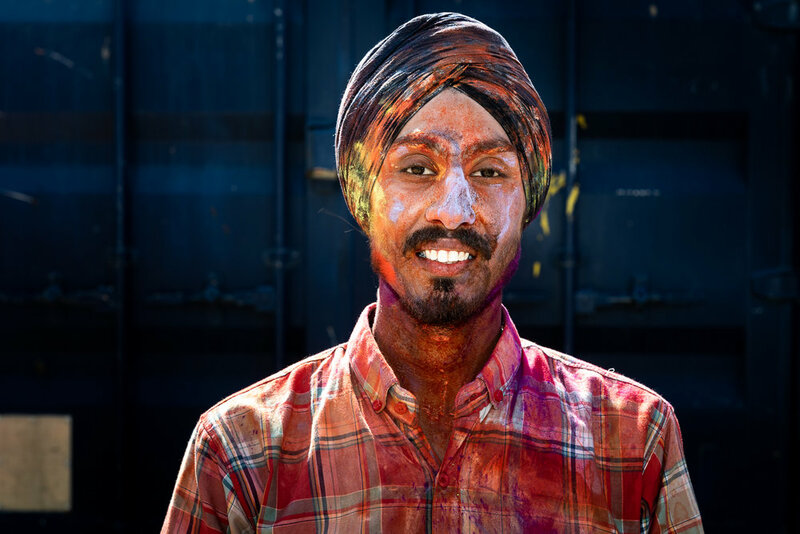 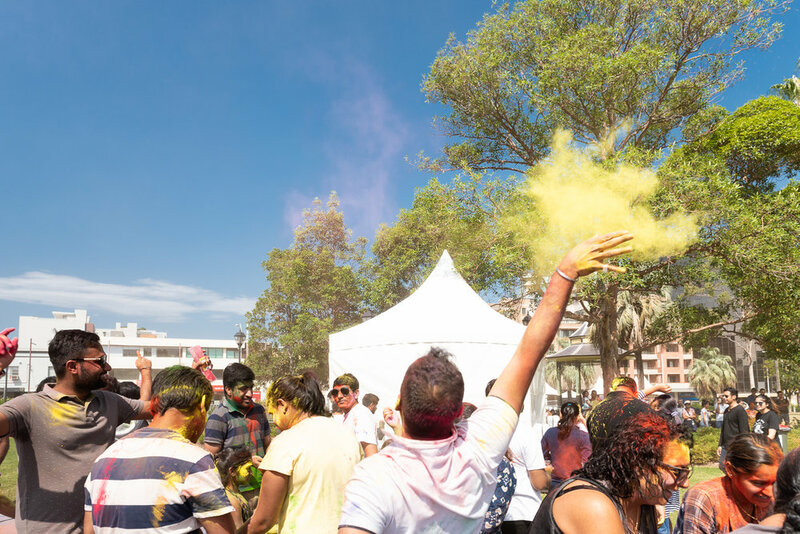 Holi, the Hindu Spring celebration - a Festival of Colour and Love - was marked yesterday at Parramatta by Australia’s Indian and subcontinental communities. 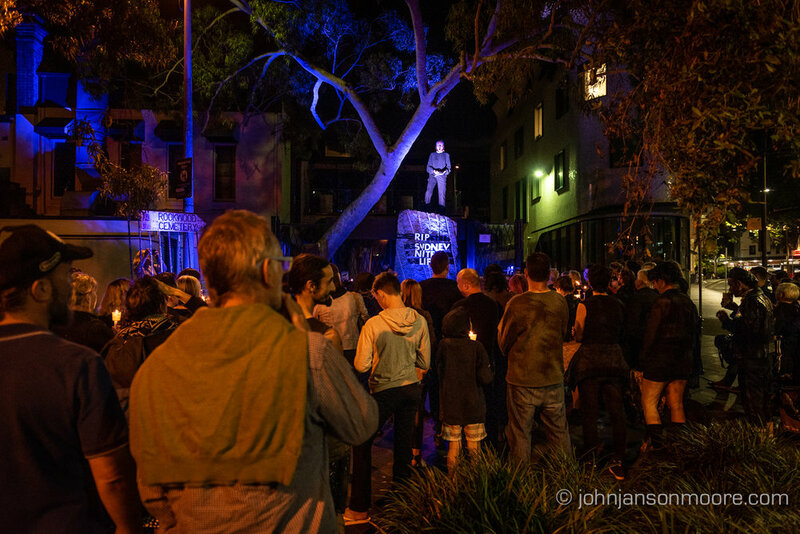 Night light falls off the curved brickwork approaching the underpass at Petersham Station, Sydney. 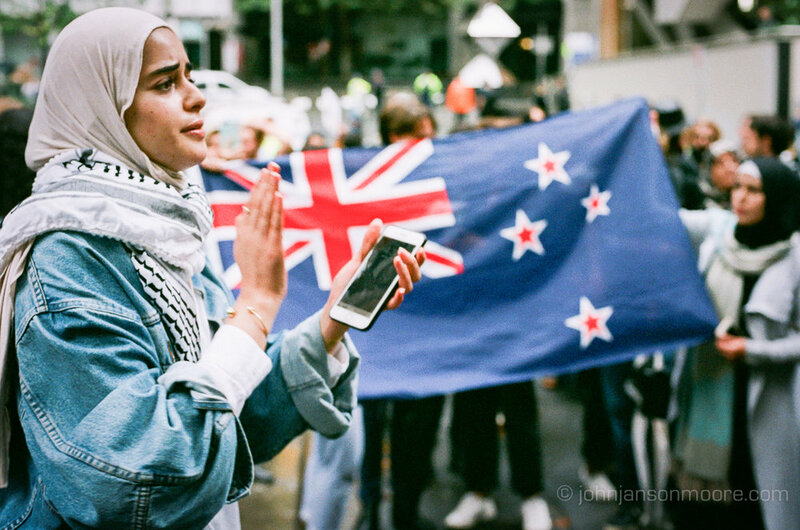 Nikon F2AS, Nikkor 28mm f2.8, FujiPro 400, colour 35mm film. 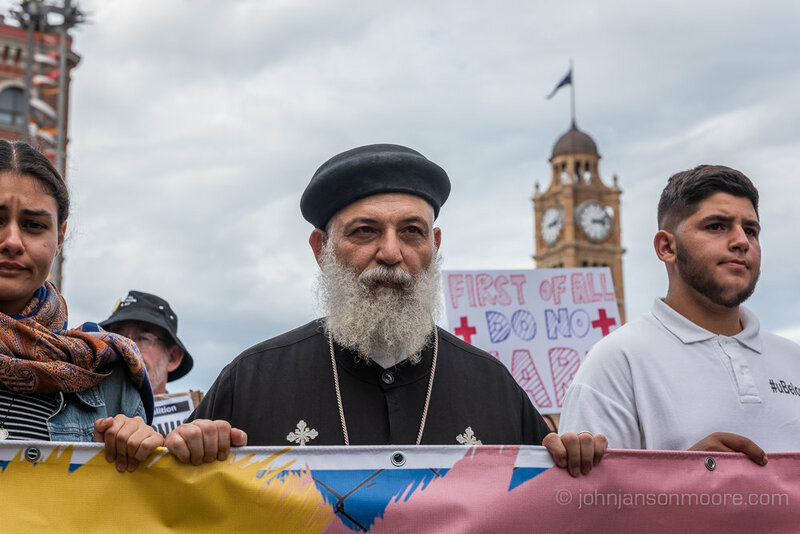 Evening sets in as the last rays of daylight settle on the old Masonic Lodge in Silverton, far western New South Wales, Wilyakali country, Australia. 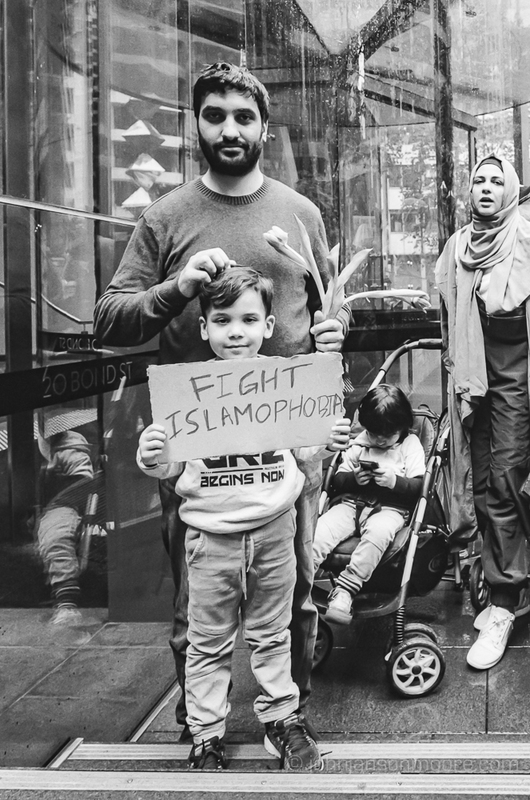 A black and white film version. 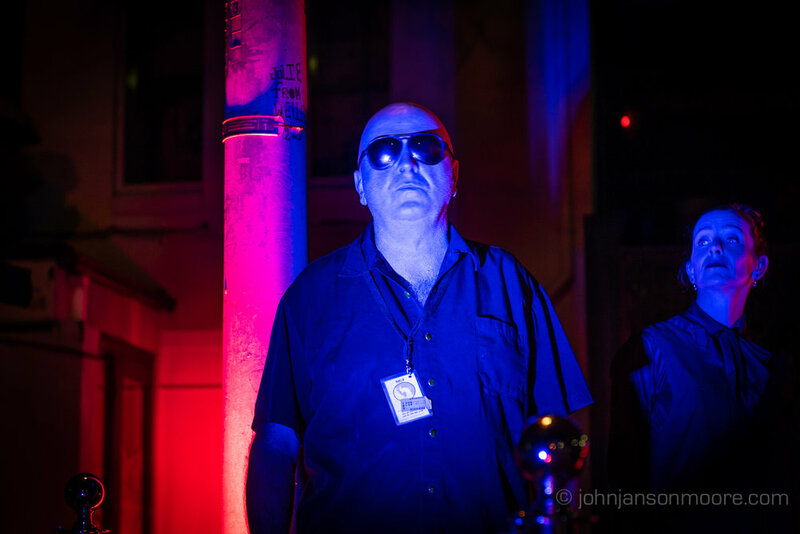 Evening sets in as the last rays of daylight settle on a derelict Masonic Lodge in Silverton, far western New South Wales, Wilyakali country, Australia. 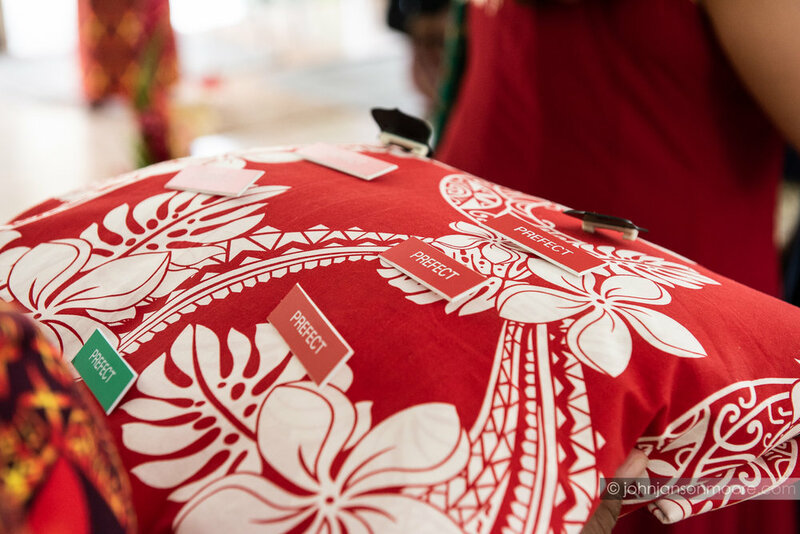 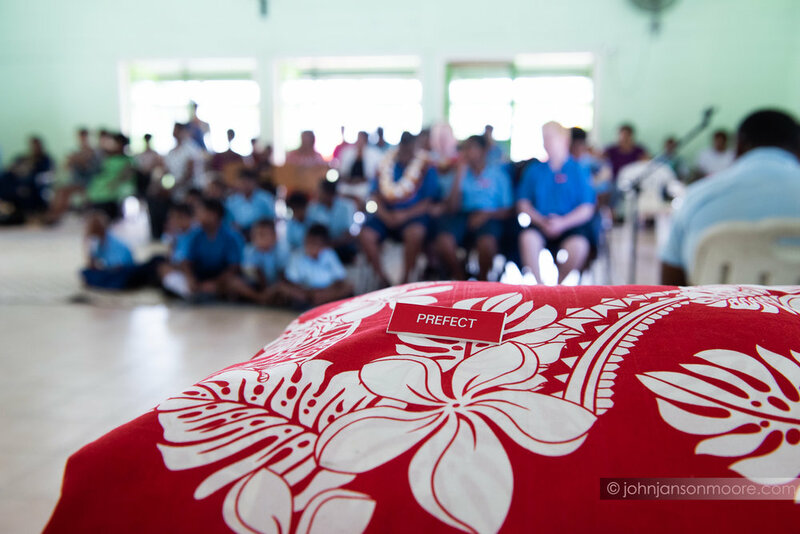 Prefects’ Induction Day, Fiji School For The Blind, Suva, Fiji. 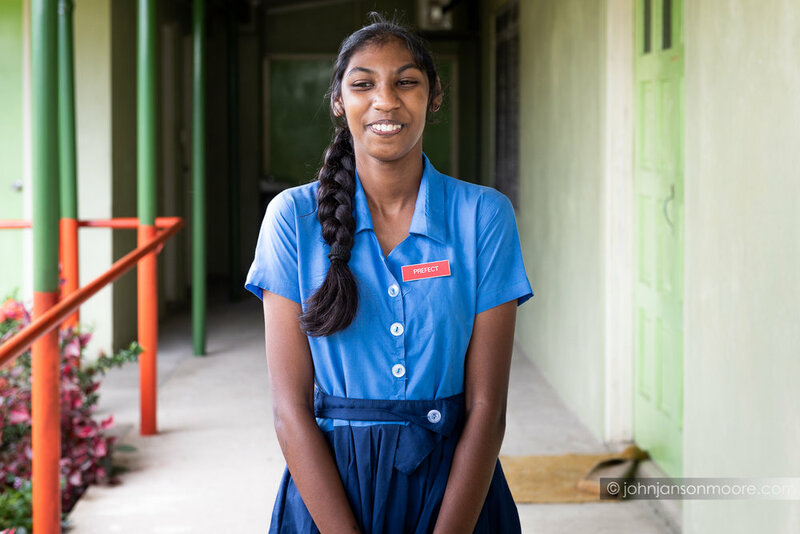 Newly confirmed Head Girl, Sisi, 15, at the Fiji School for the Blind, Suva. 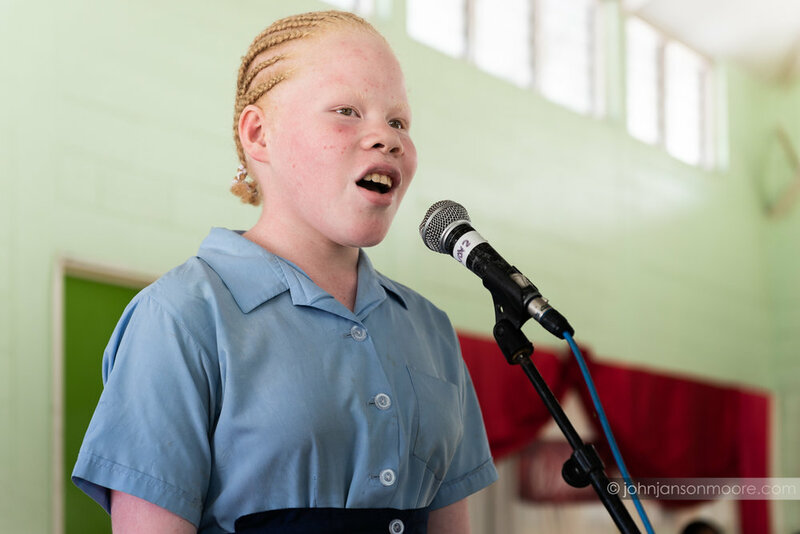 Sisi suffers from albinism, a congenital condition that causes a lack of pigmentation in the skin, hair and eyes. 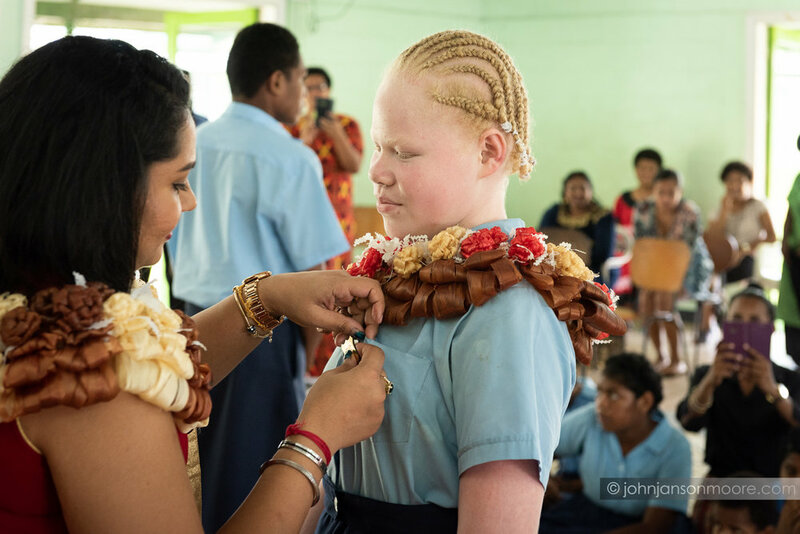 Fiji has one of the highest prevalences of albinism in the world - 1 in 700, as opposed to 1 in 17,000, almost 25 times the average rate in other countries. 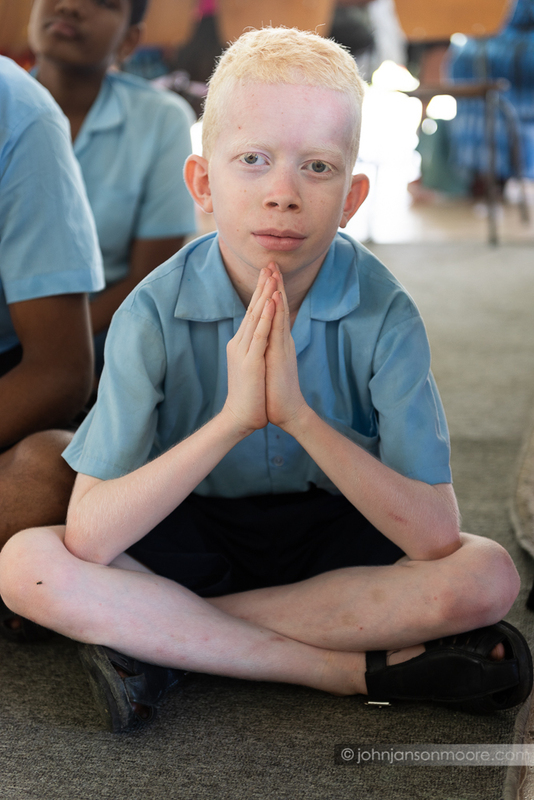 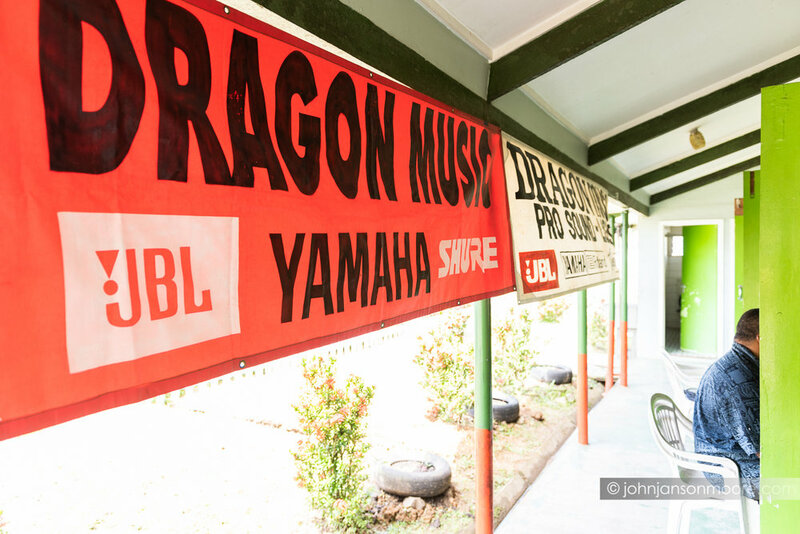 Albinism in Fiji is widely misunderstood and people with albinism often experience prejudice and discrimination. 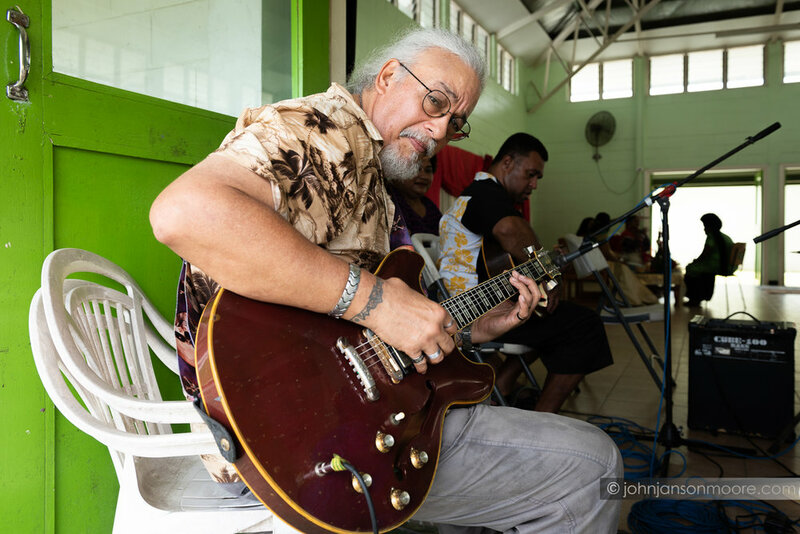 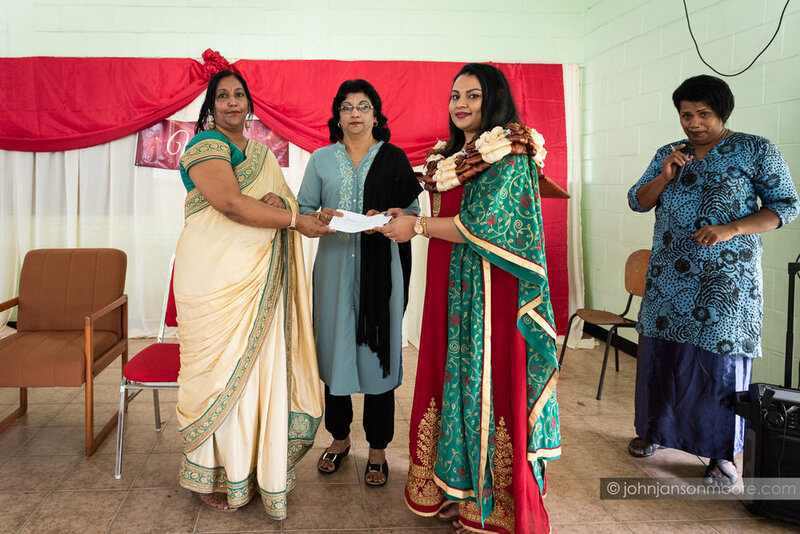 Nevertheless, efforts are being made to destigmatise the condition, especially in the more remote villages across the island nation. 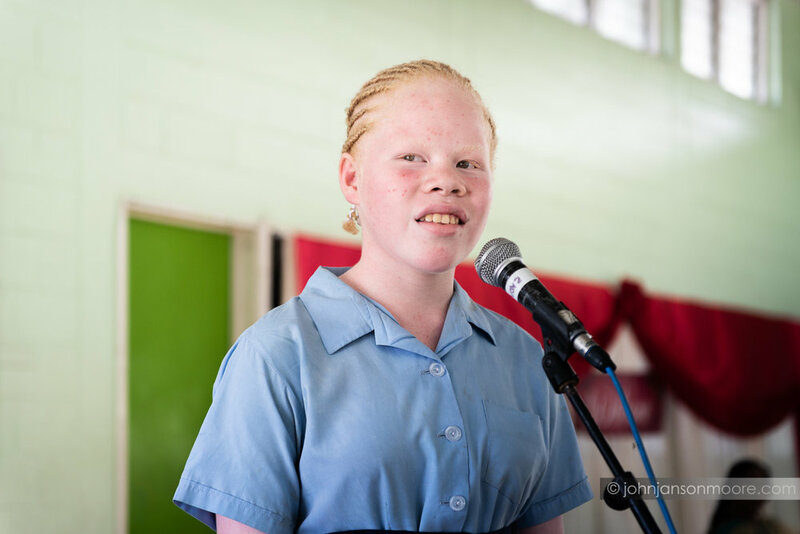 Some of the effects of albinism include extreme sensitivity to the sun, high rates of skin cancer and poor eyesight. 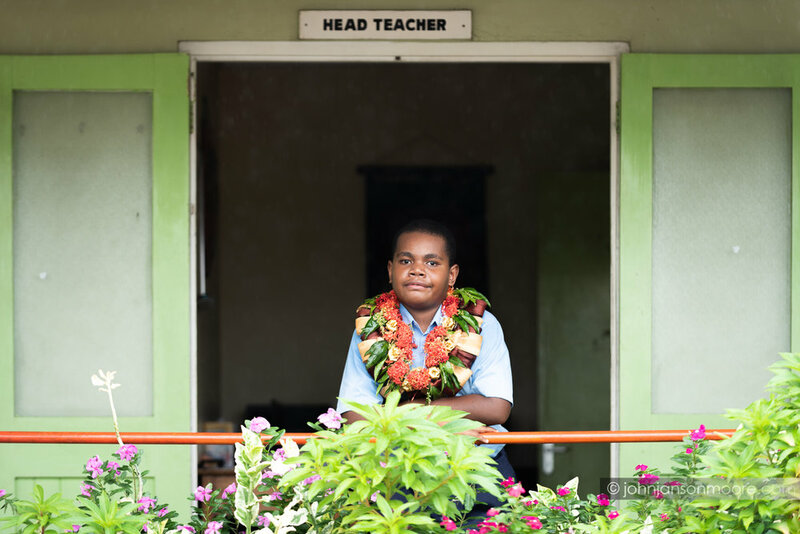 Many suffer from visual impairment and blindness. 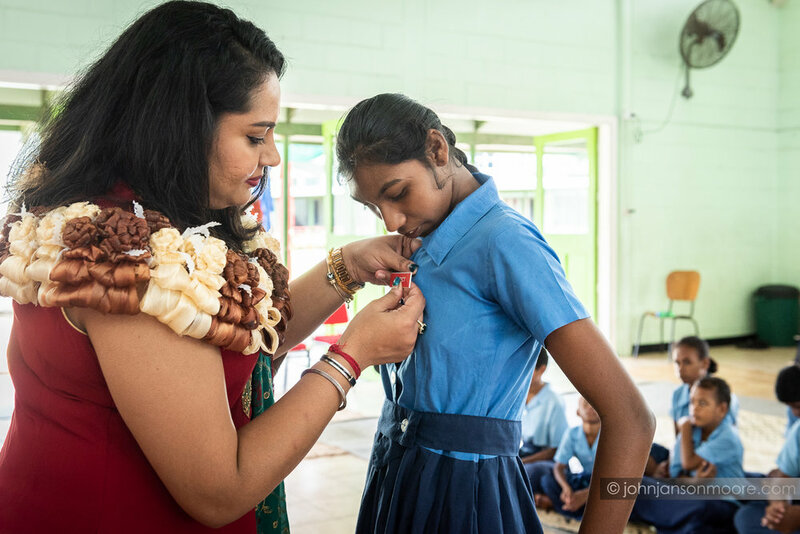 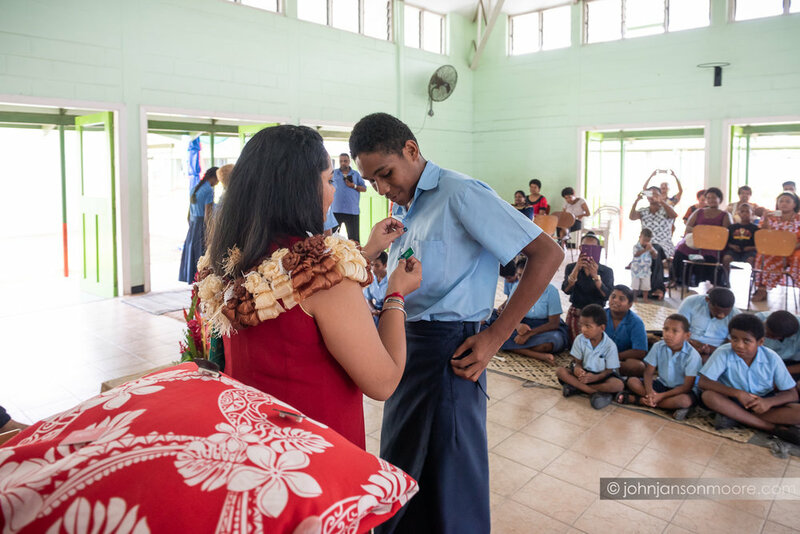 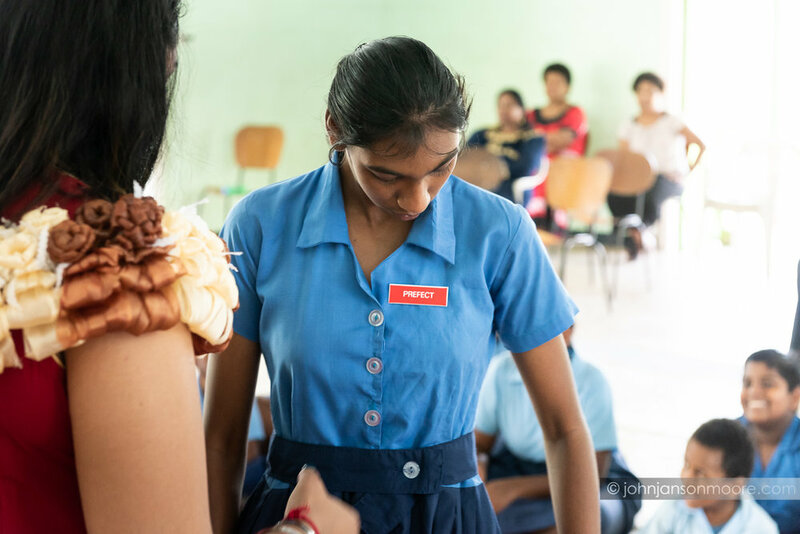 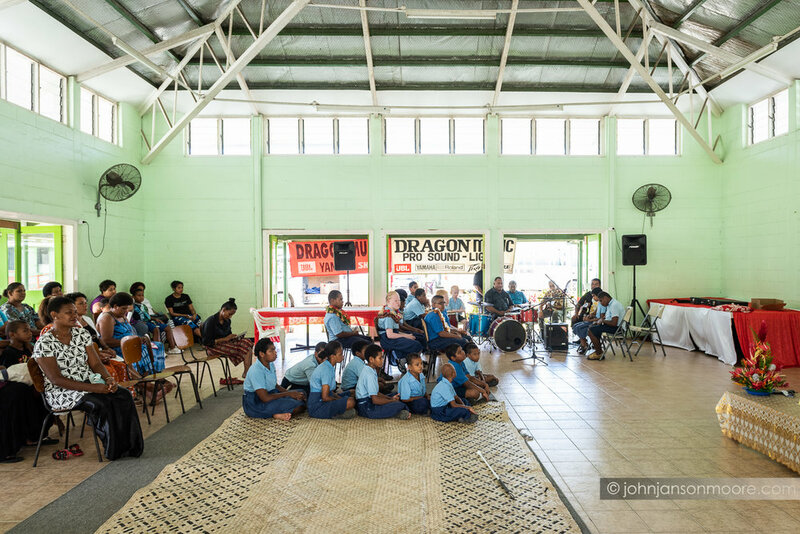 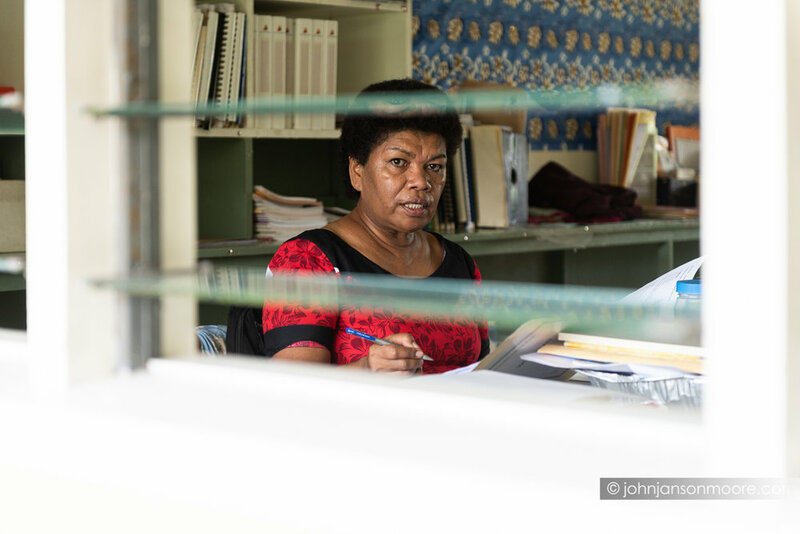 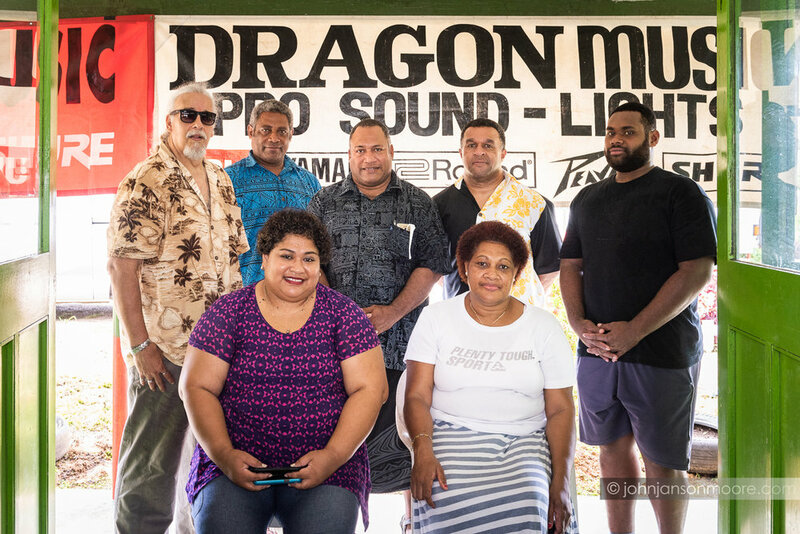 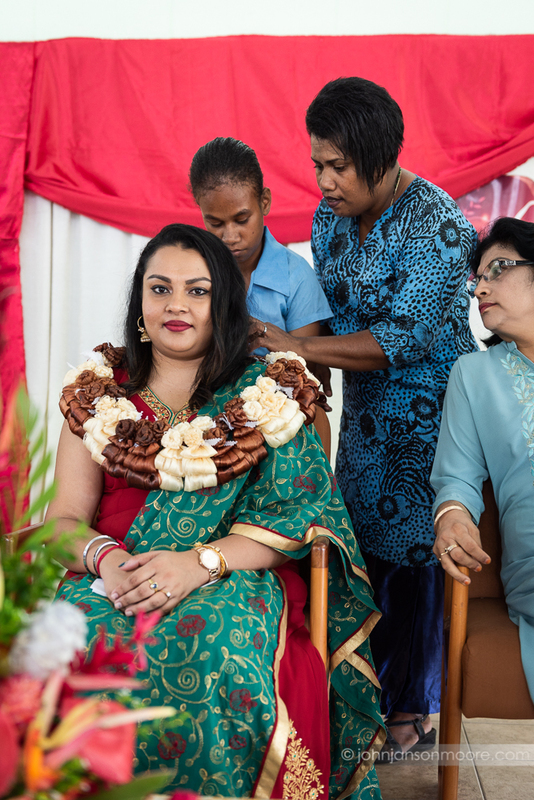 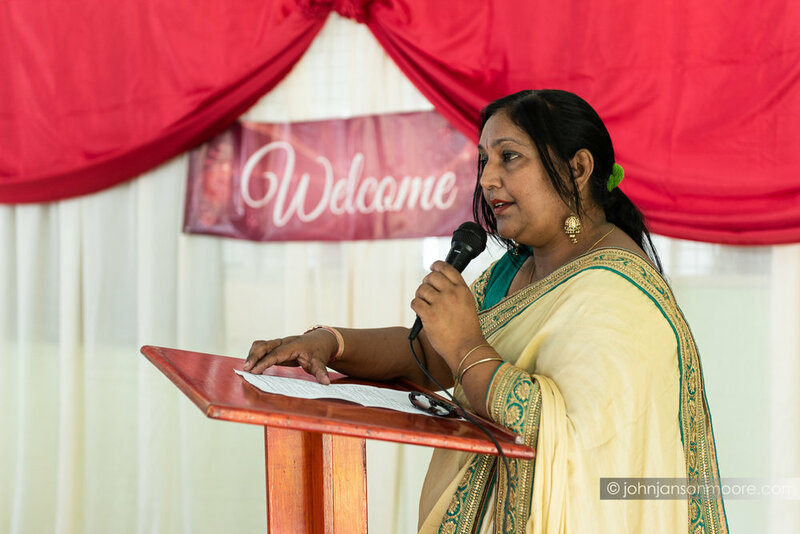 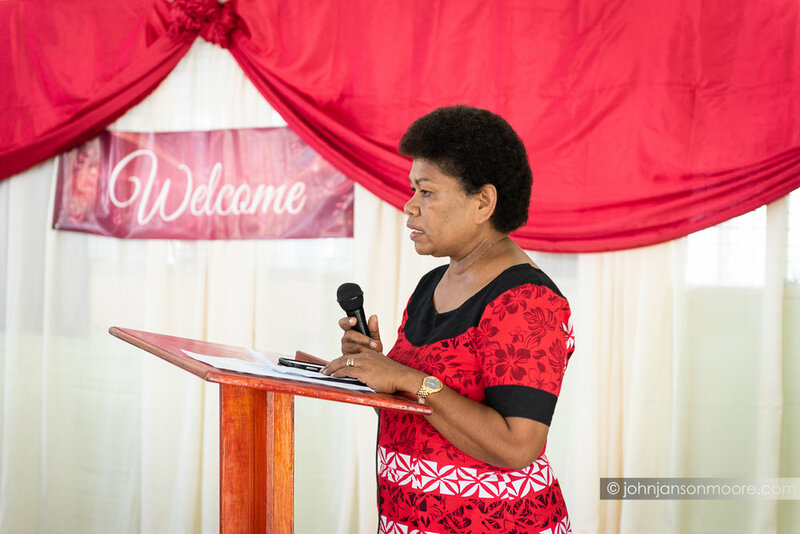 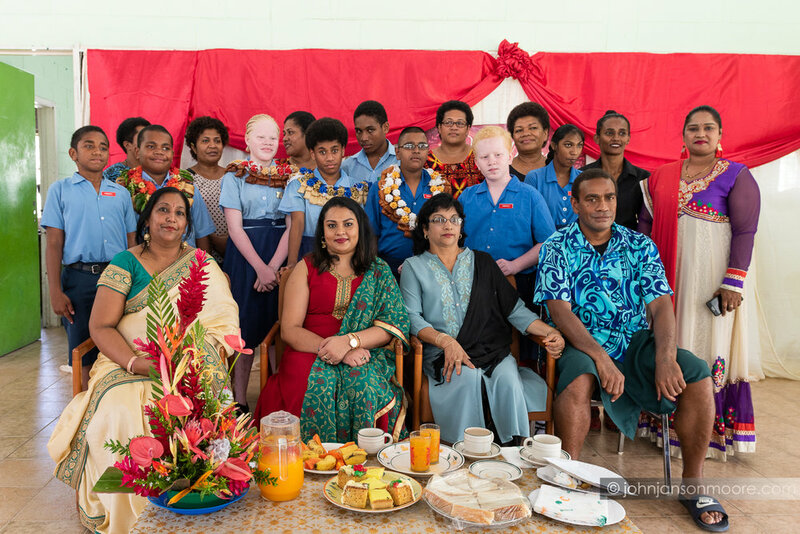 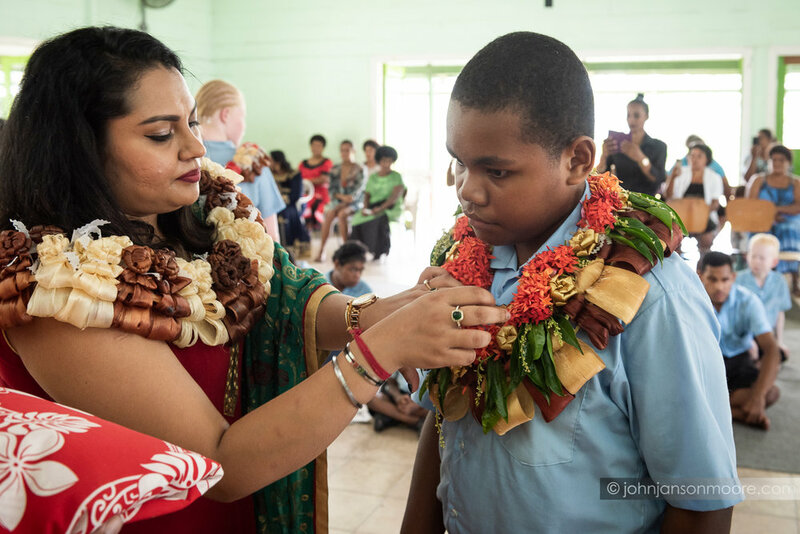 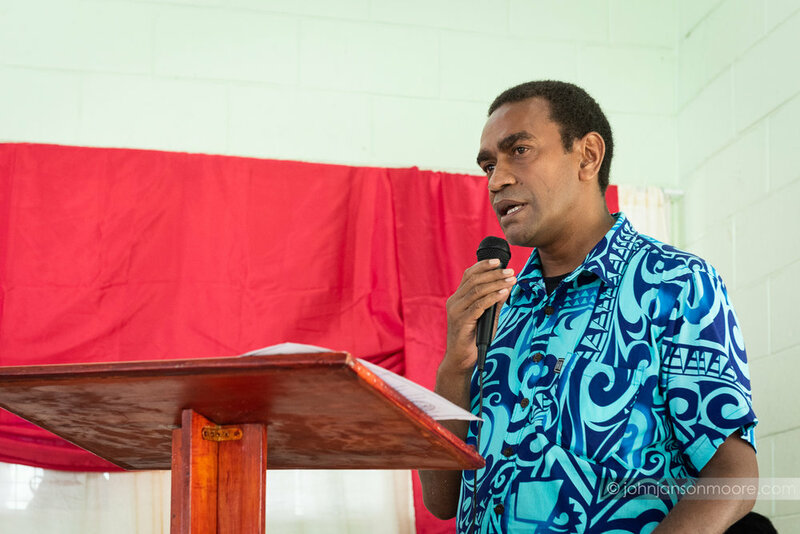 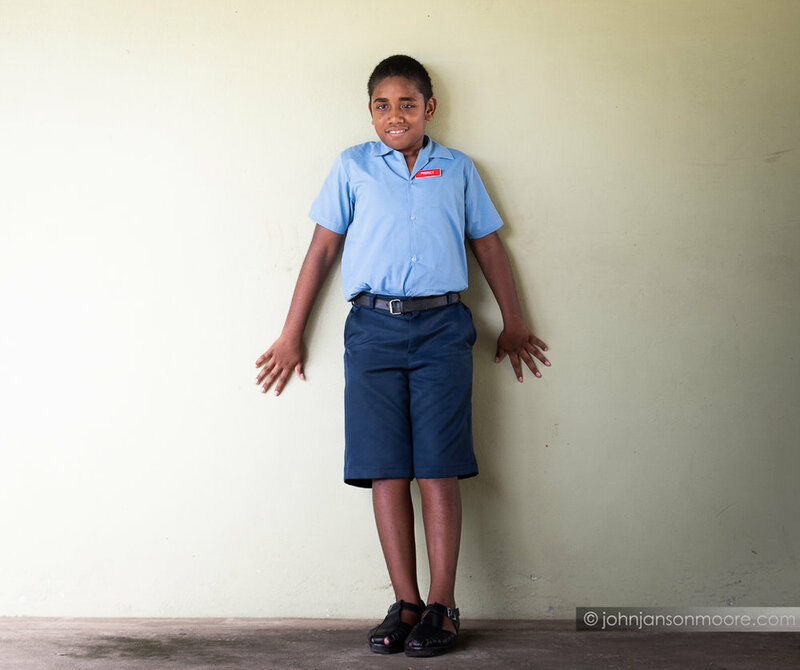 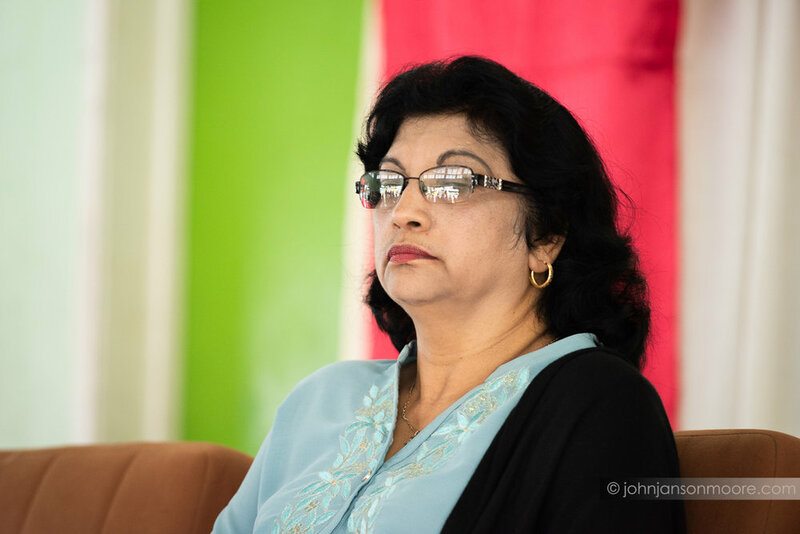 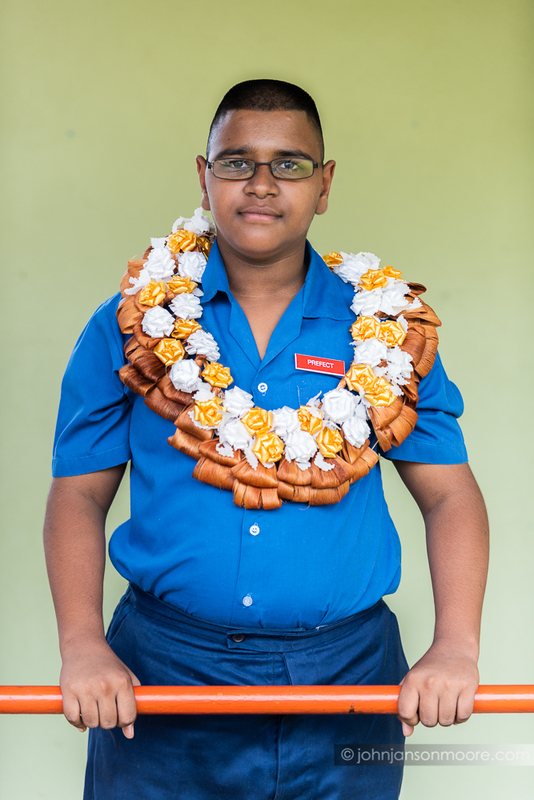 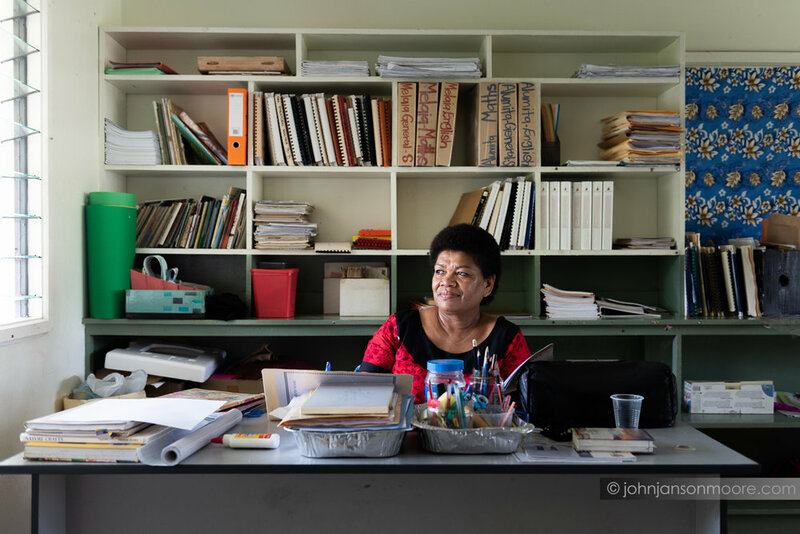 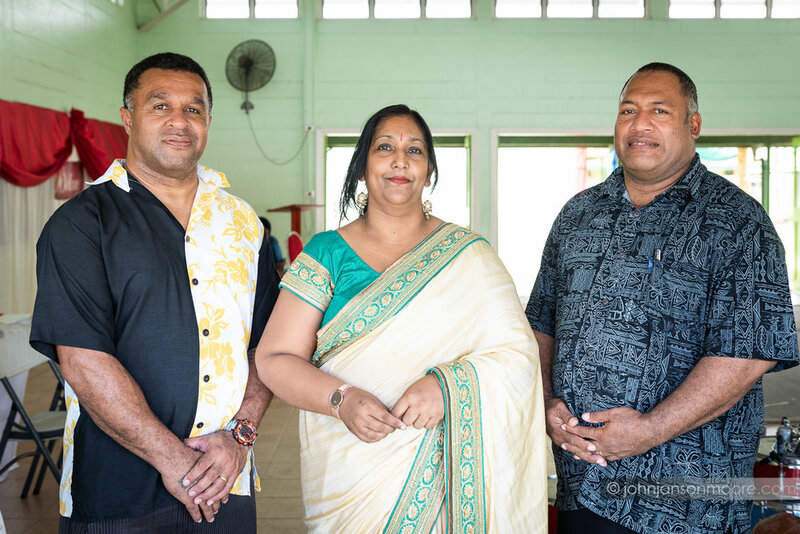 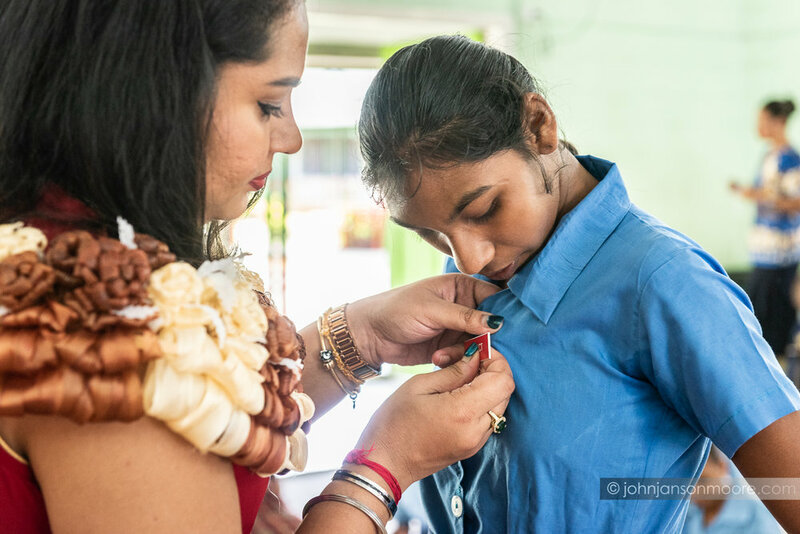 This portrait was taken during the prefect induction day at the Fiji School for the Blind, where Sisi was announced as Head Girl of the school. 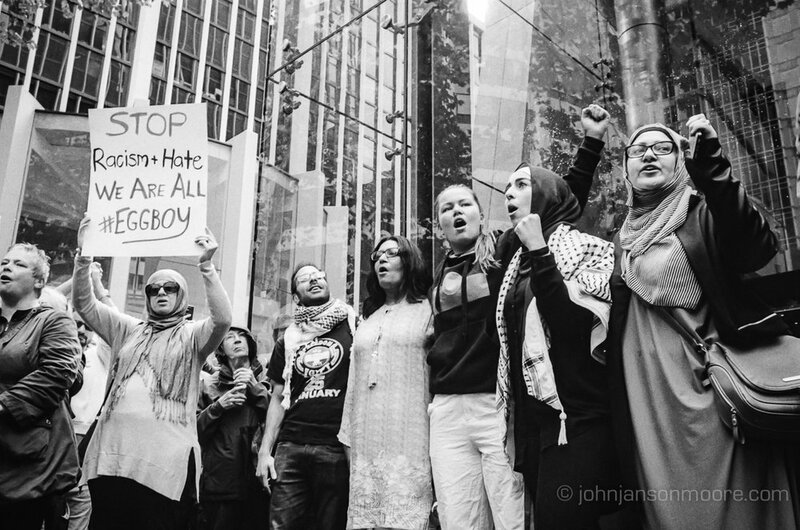 35mm Kodak Tri-X film, black and white, Nikon F2AS. 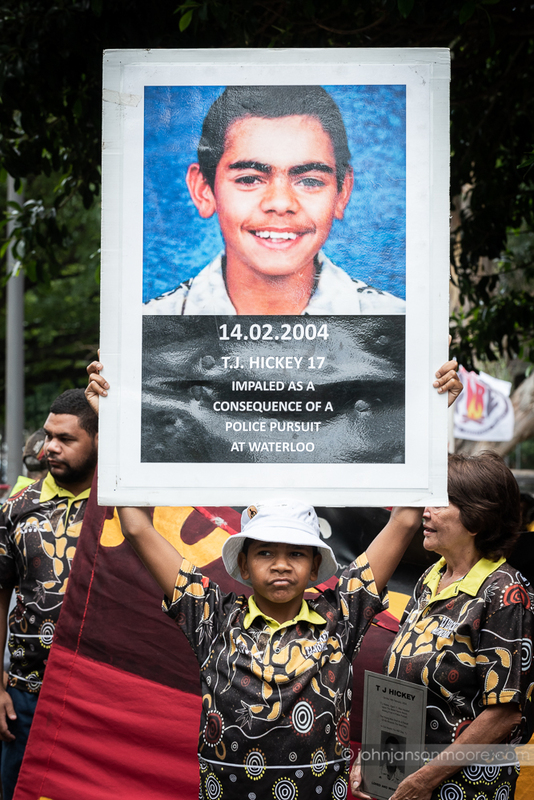 Yesterday marked the 15th anniversary of the death of T.J. Hickey, who died during a police chase. 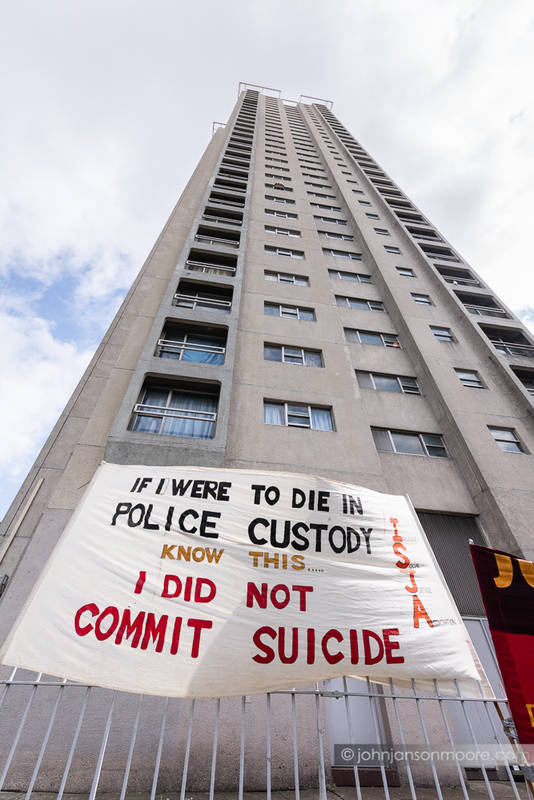 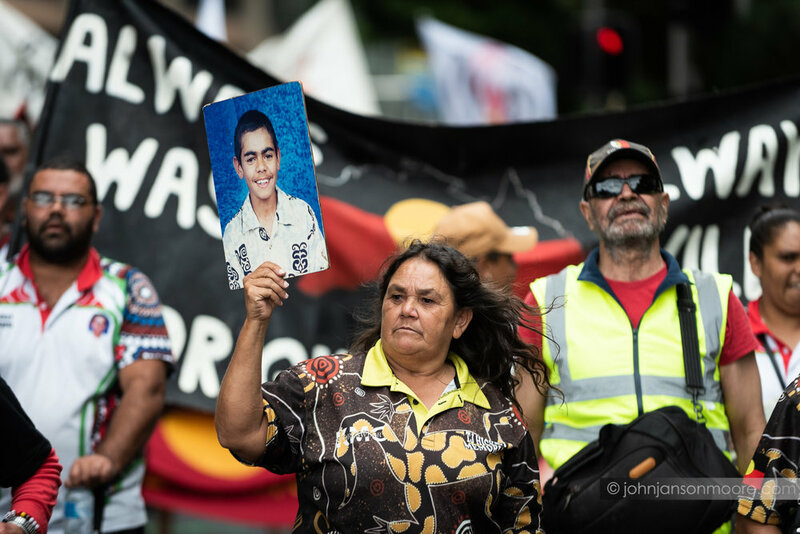 Family and supporters claim T.J.’s death was a direct result of police actions, despite an internal inquiry and coroner’s report clearing them of any responsibility. 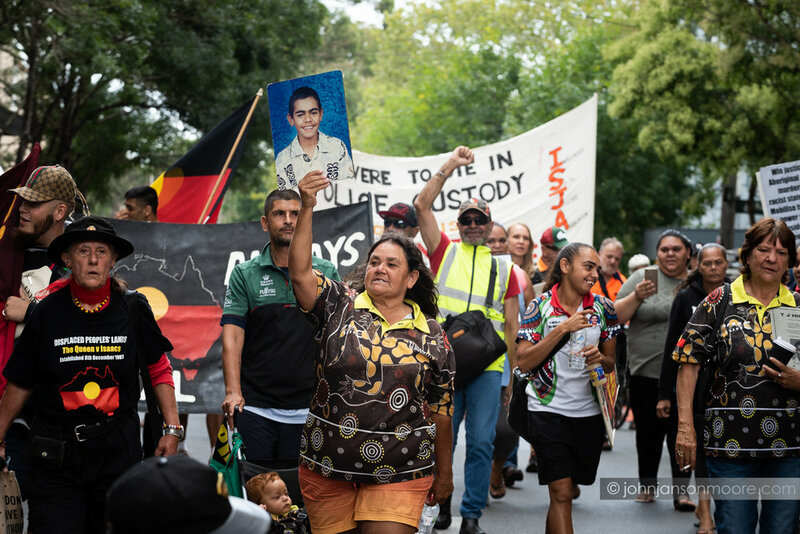 A small but passionate crowd of men, women and children gathered at the site of T.J. Hickey’s death in Waterloo, where speeches were given. 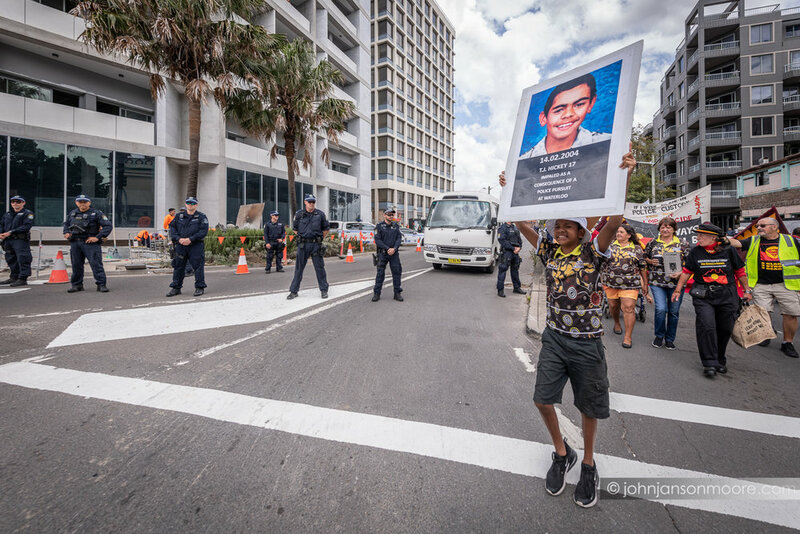 The protesters shouted “They say accident, we say murder” as they turned and marched to Parliament House in the presence of an overwhelming police force, including riot squad members. 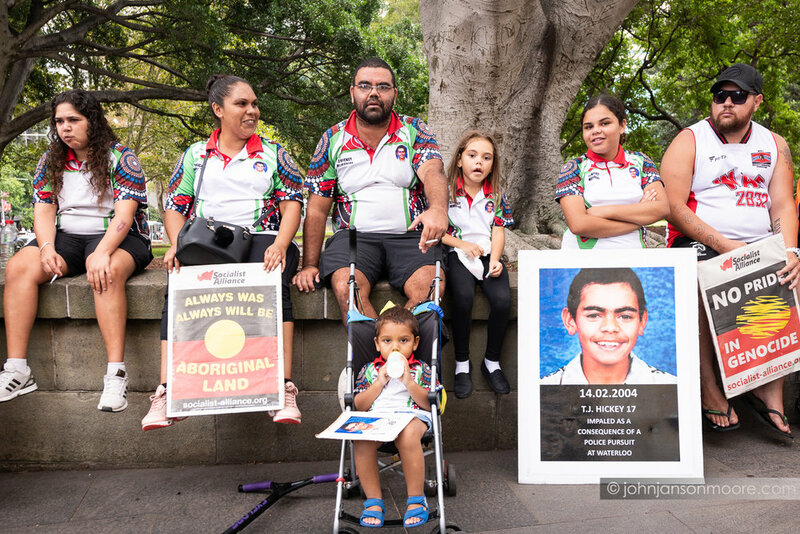 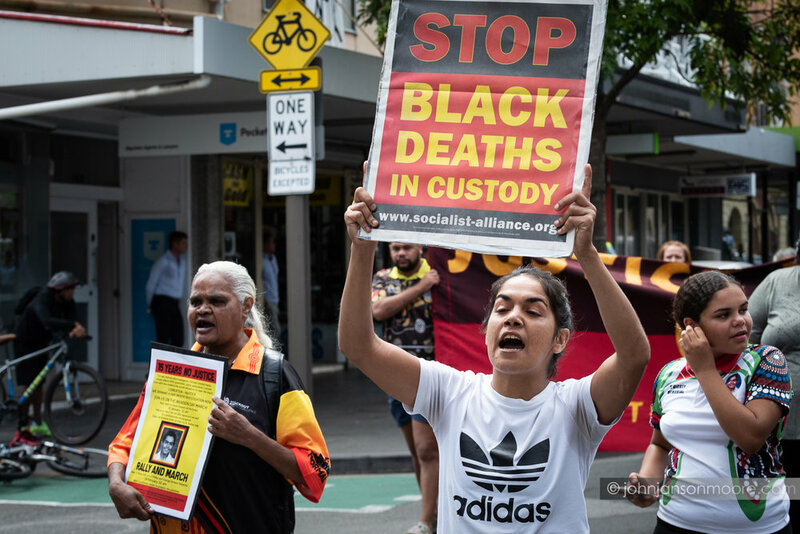 At Parliament House, members of ISJA (Indigenous Social Justice Association) and the mother of T.J., Gail Hickey, presented Greens parliamentarians, Jenny Leong and David Shoebridge, with 12,000 signatures on a petition demanding an independent inquiry into the case.